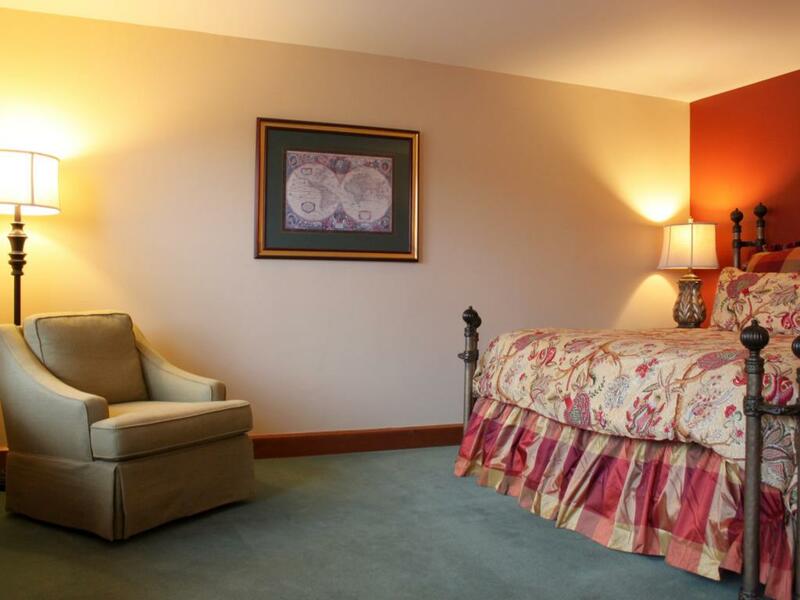 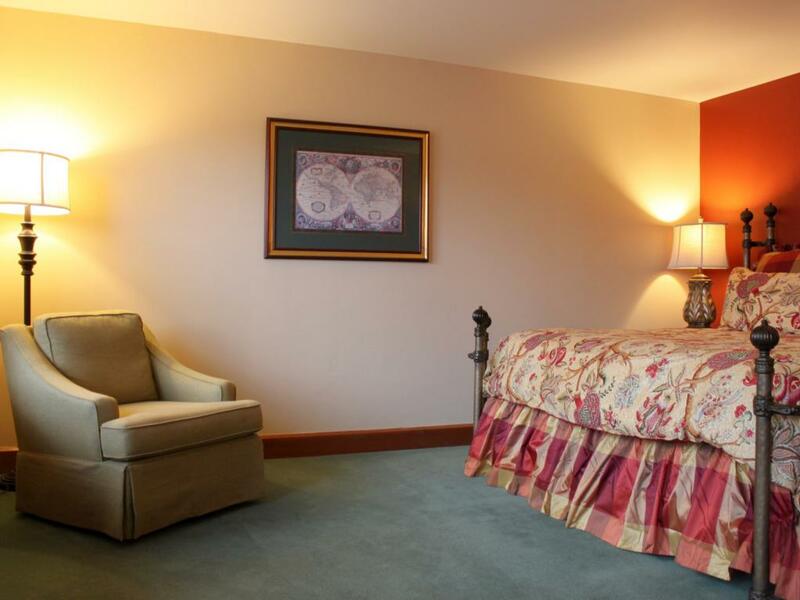 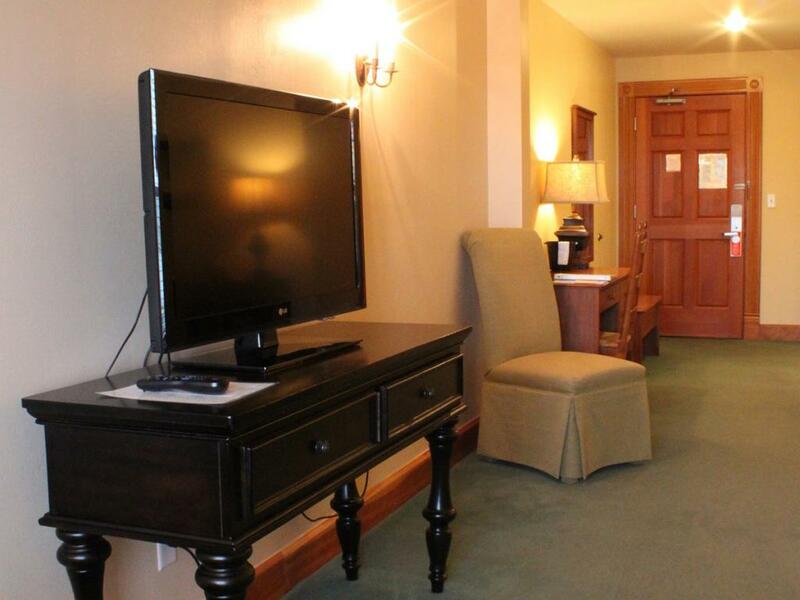 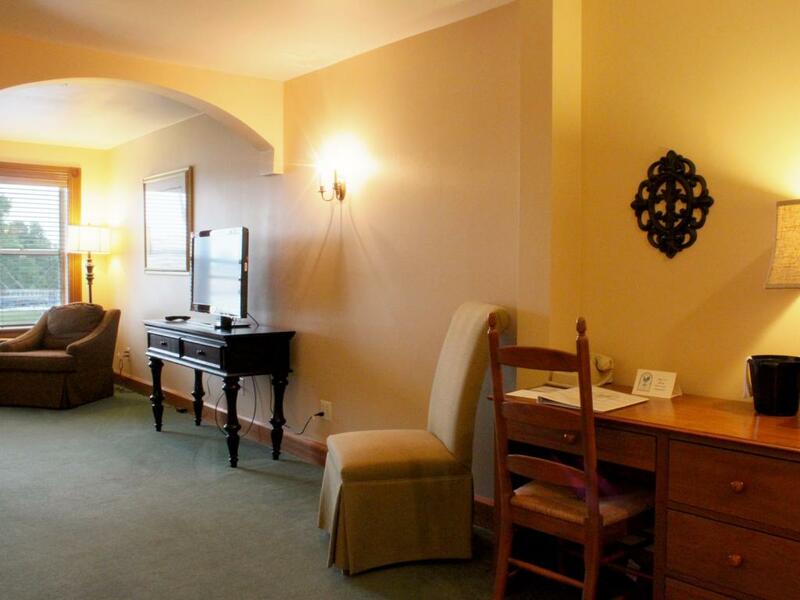 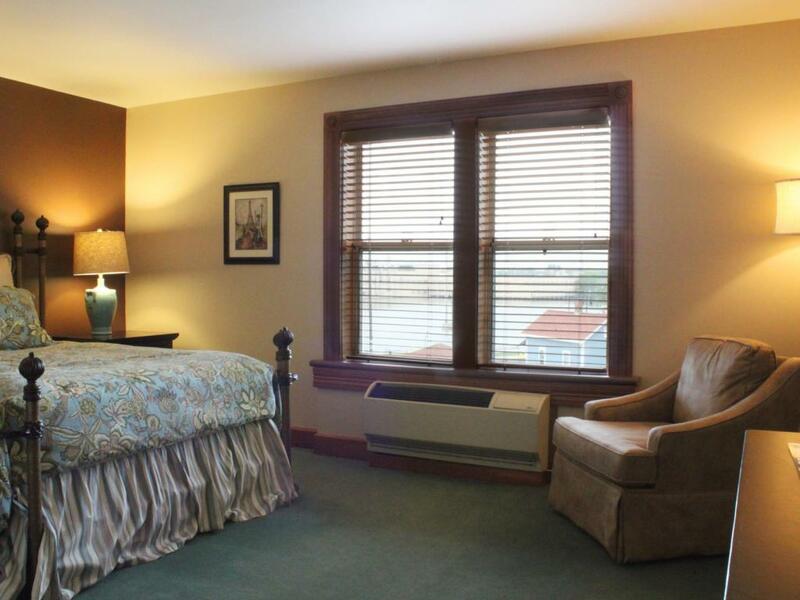 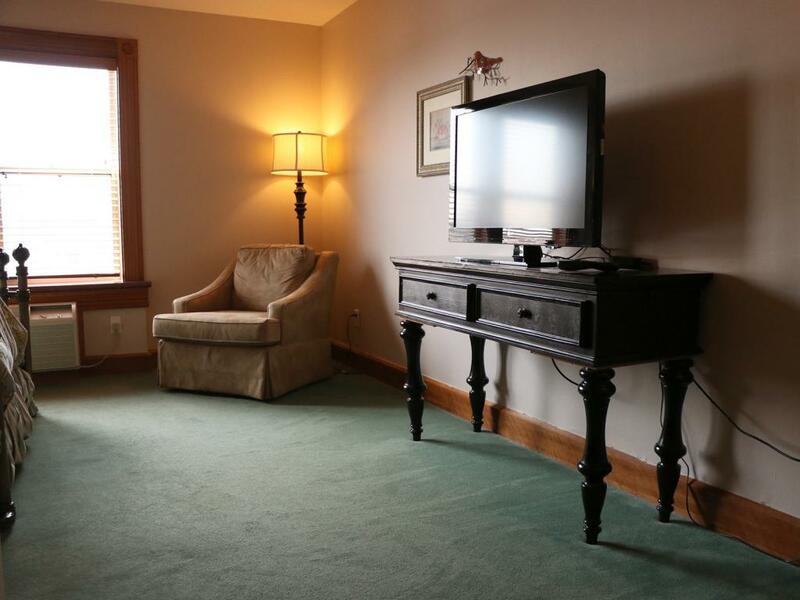 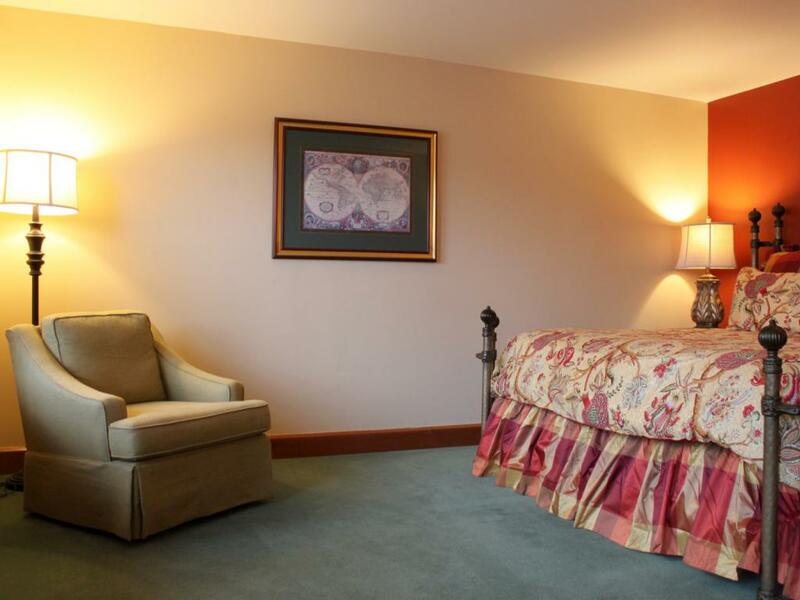 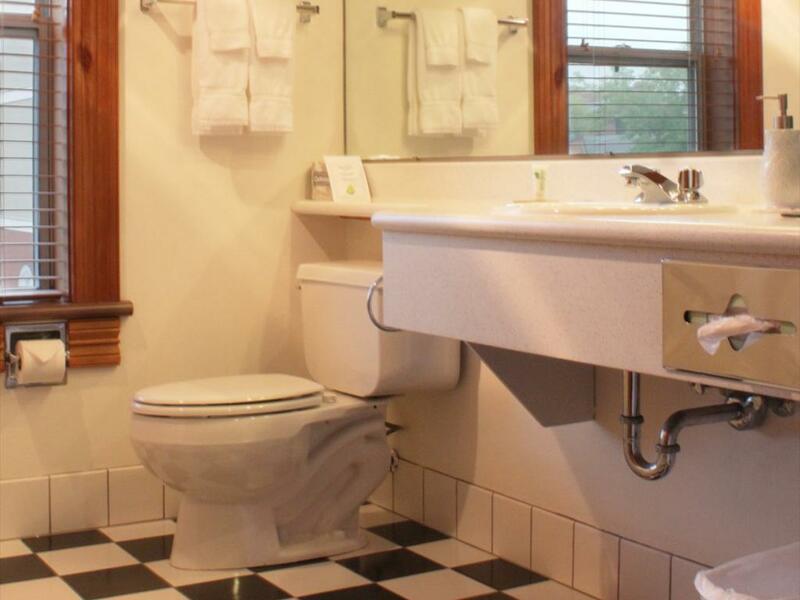 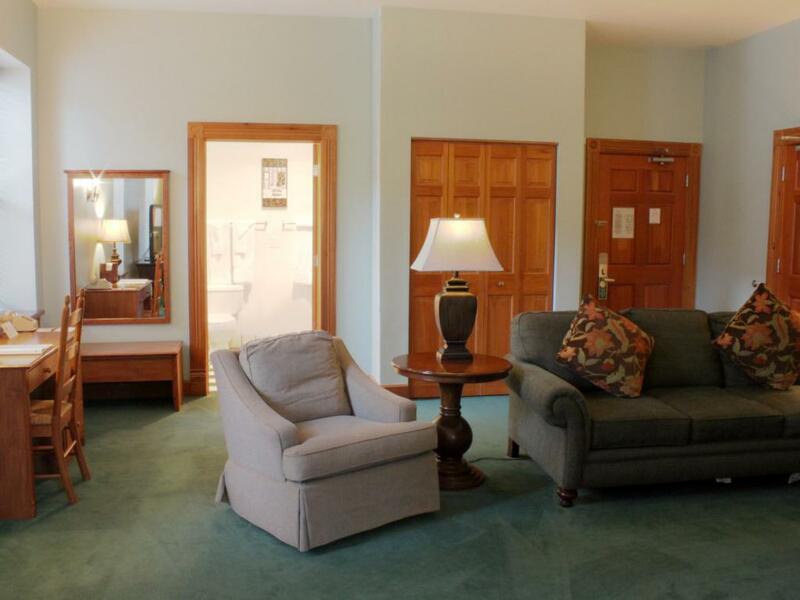 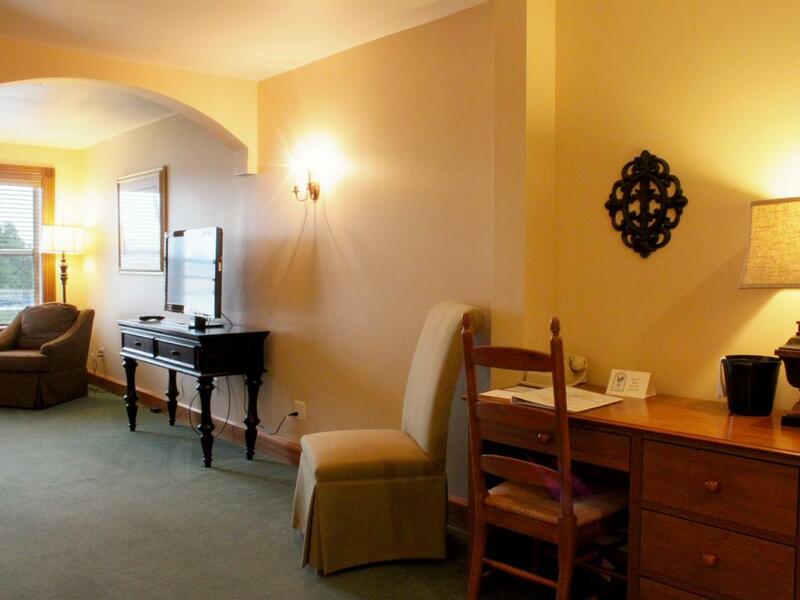 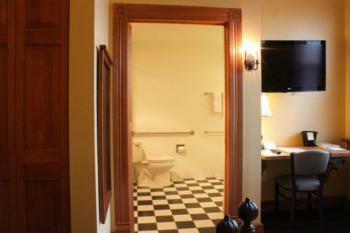 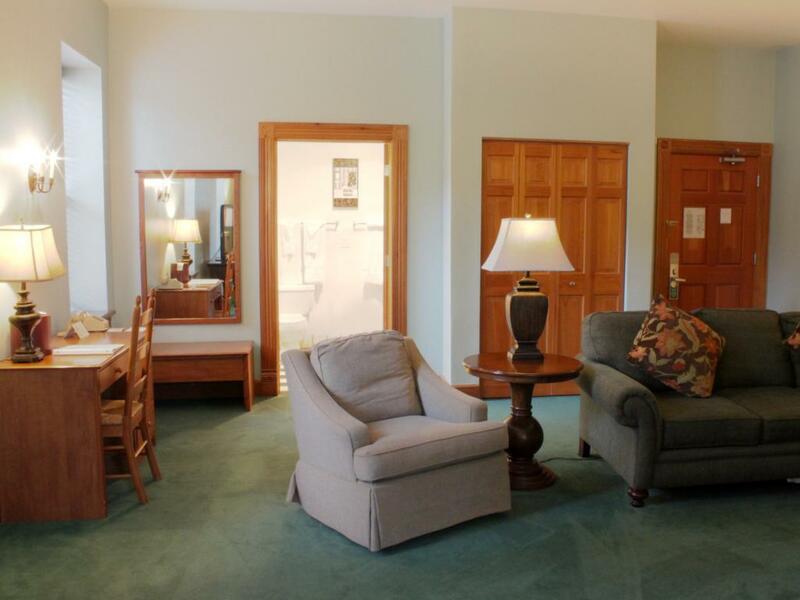 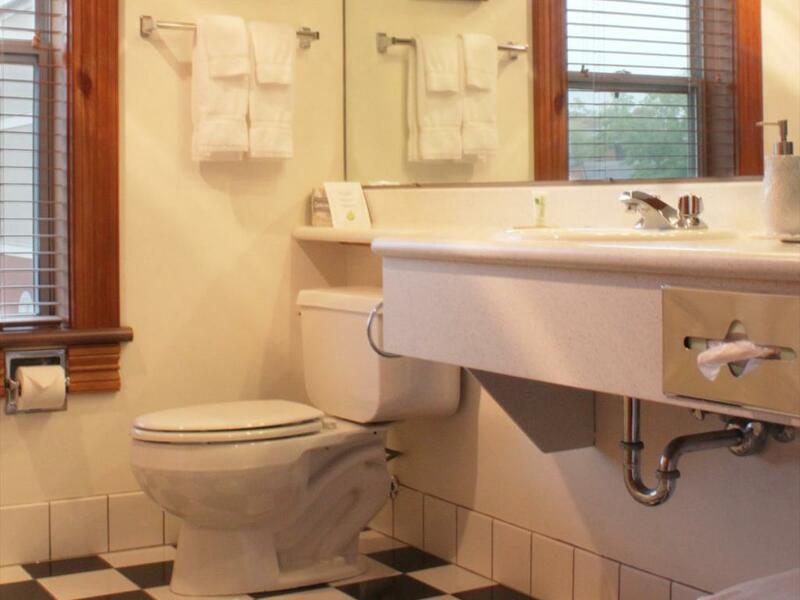 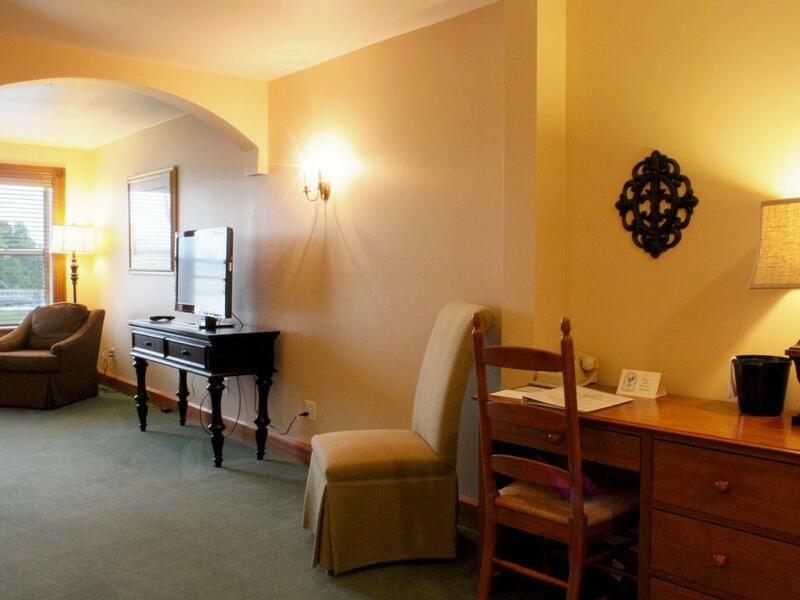 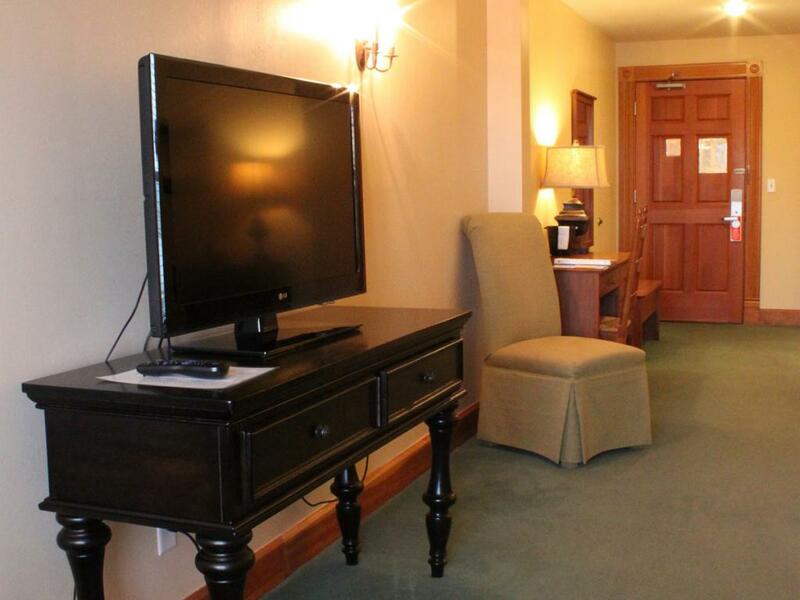 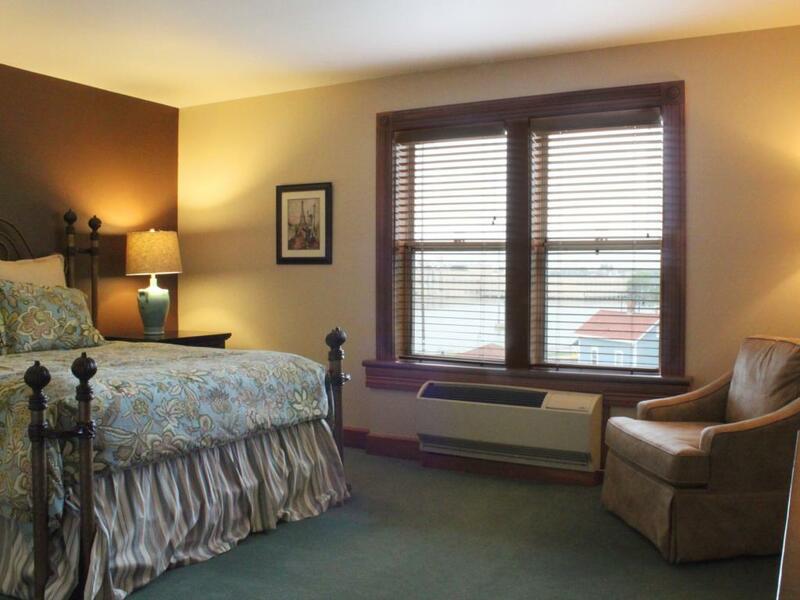 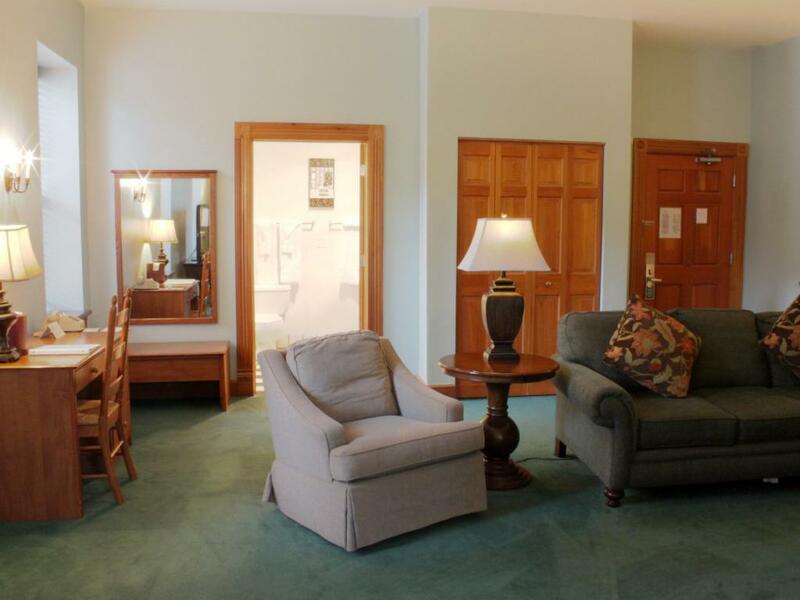 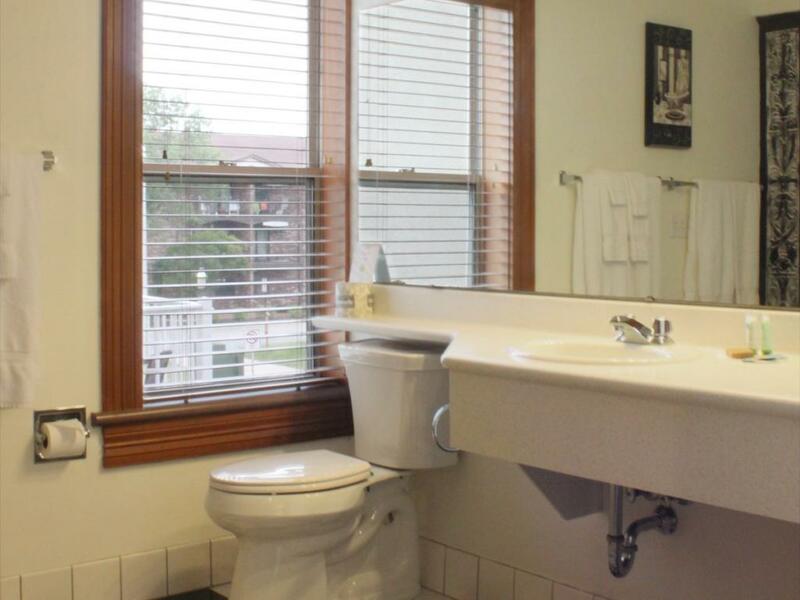 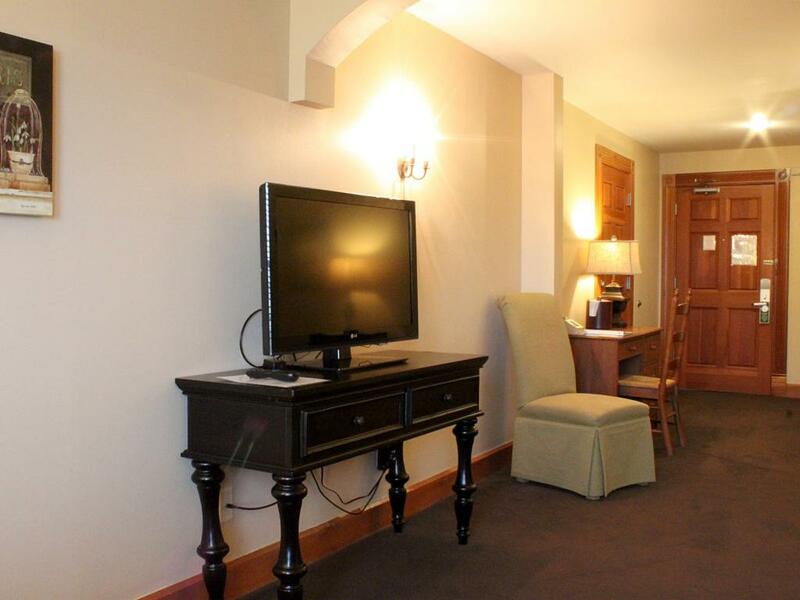 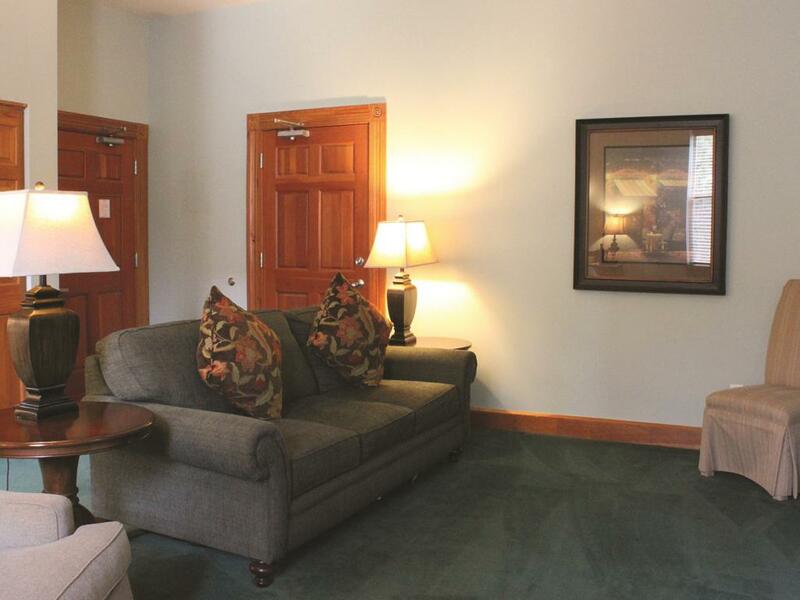 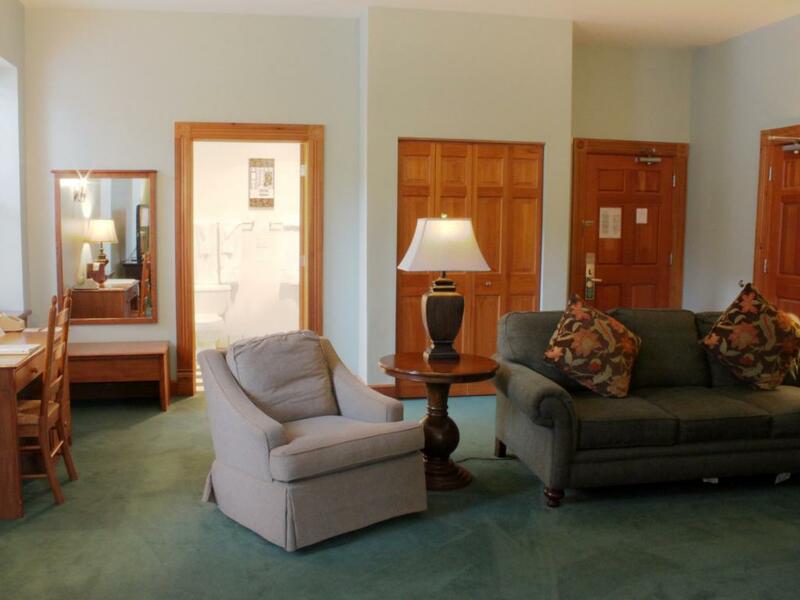 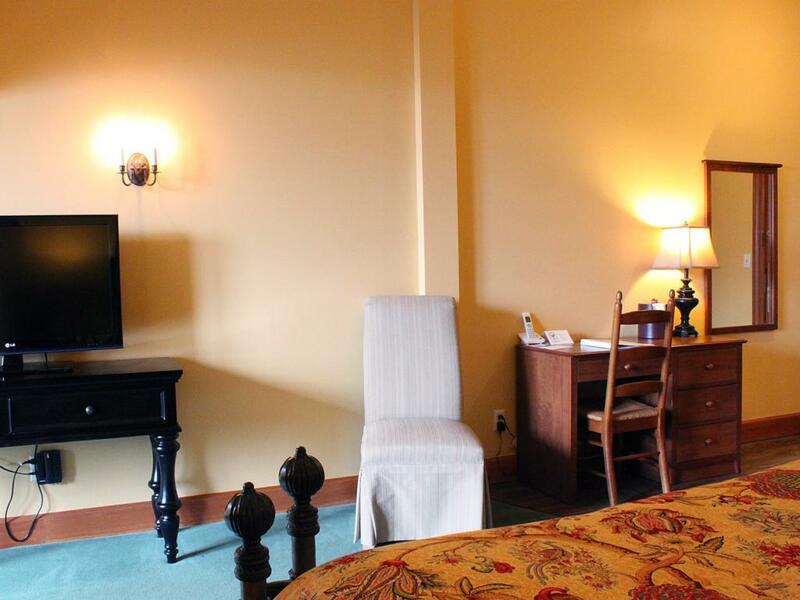 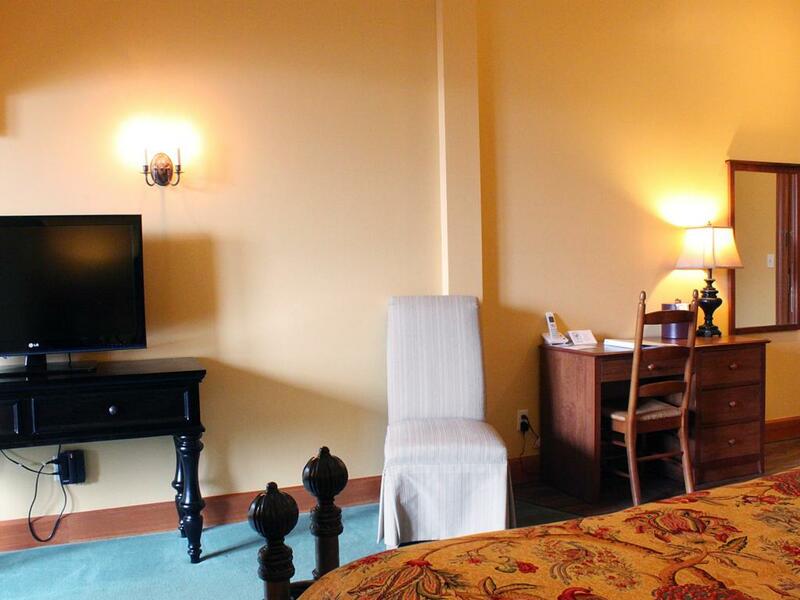 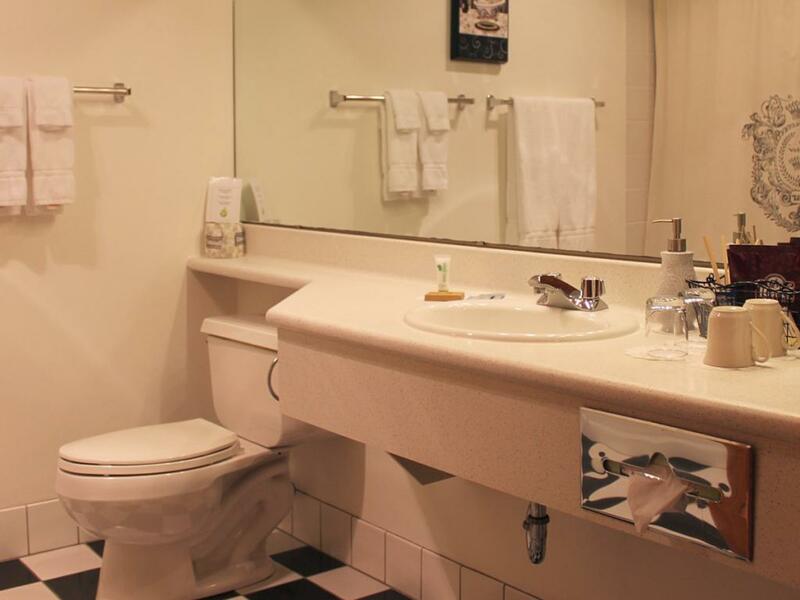 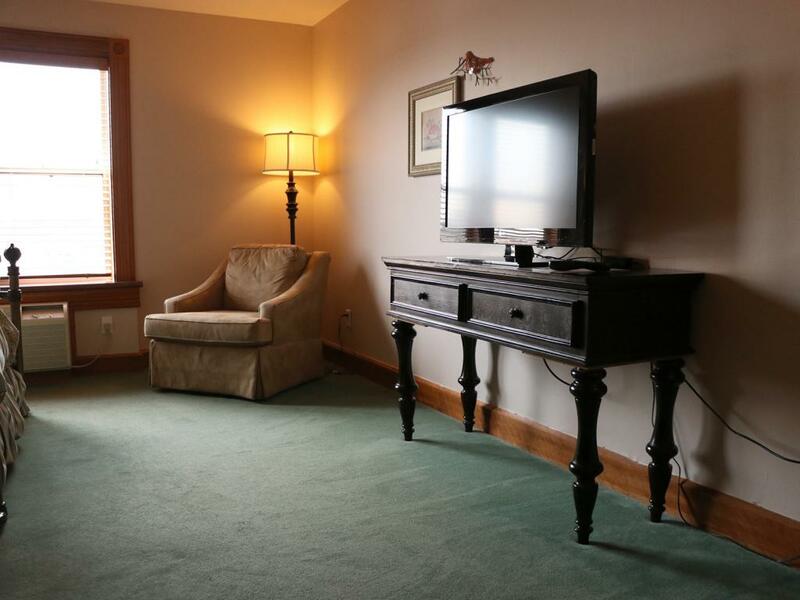 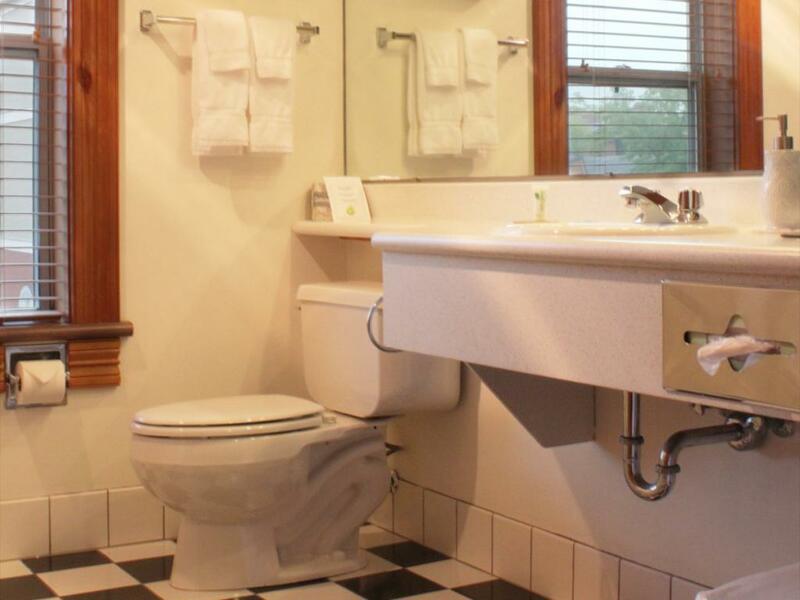 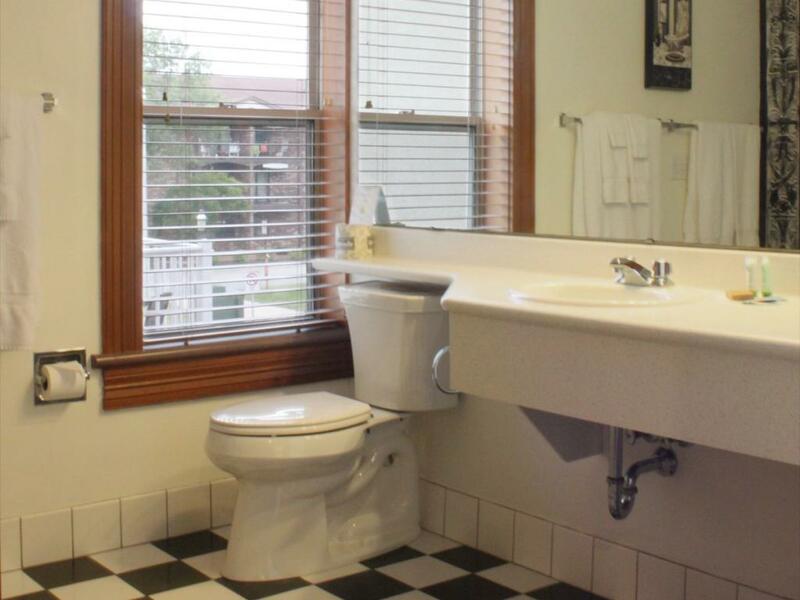 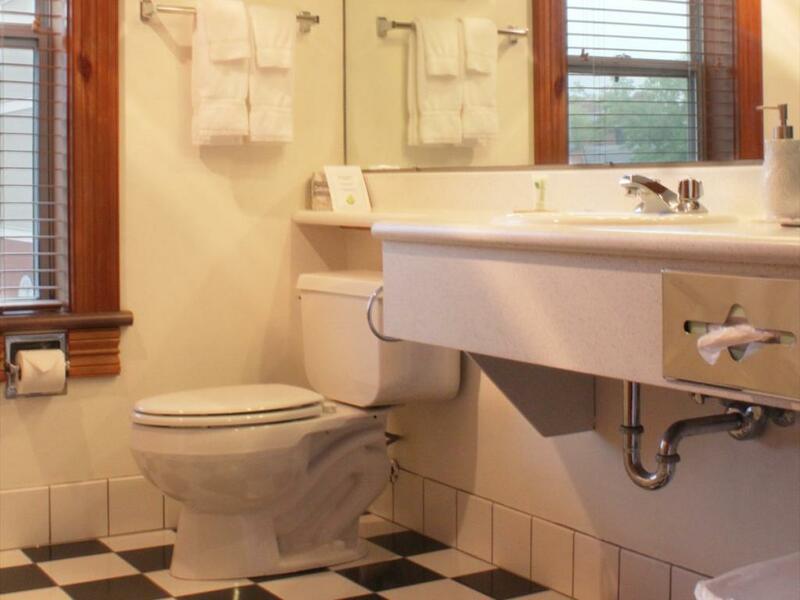 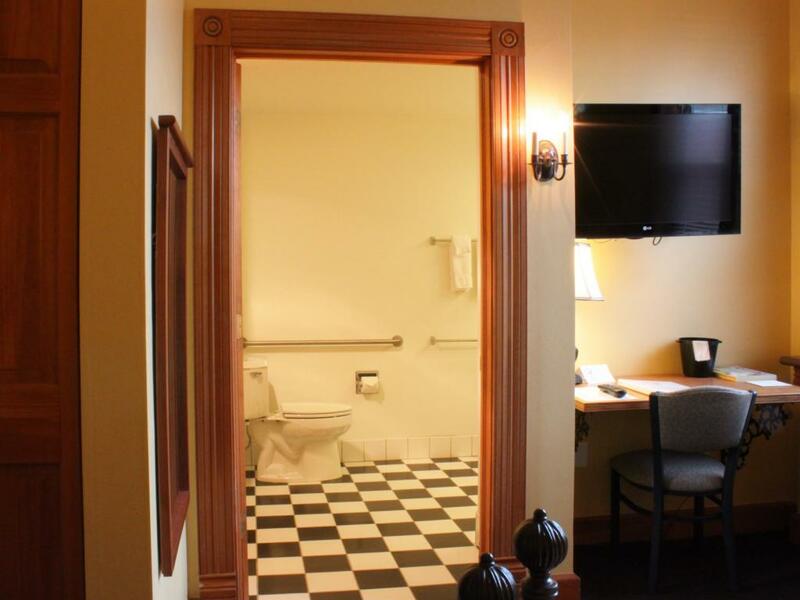 King Suite: Features river view, double whirlpool bath, king bed, sitting area and workspace. 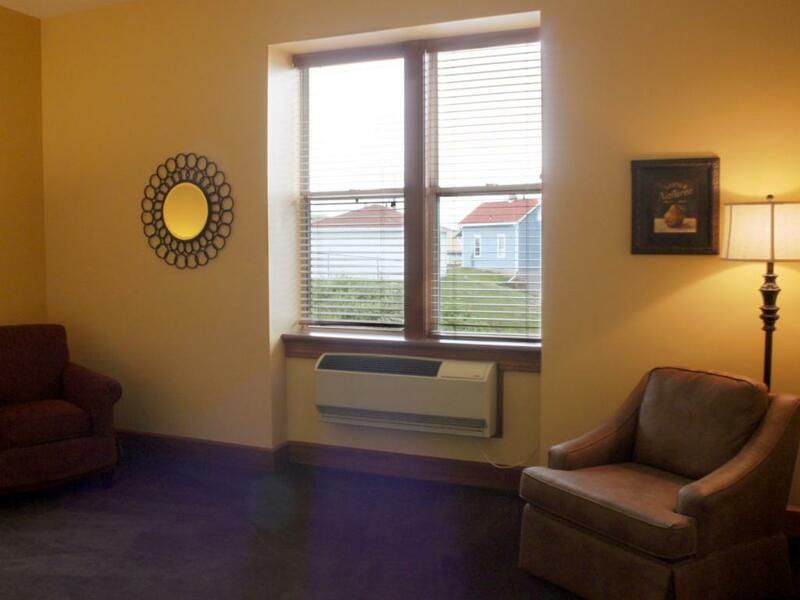 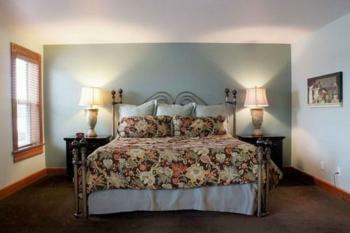 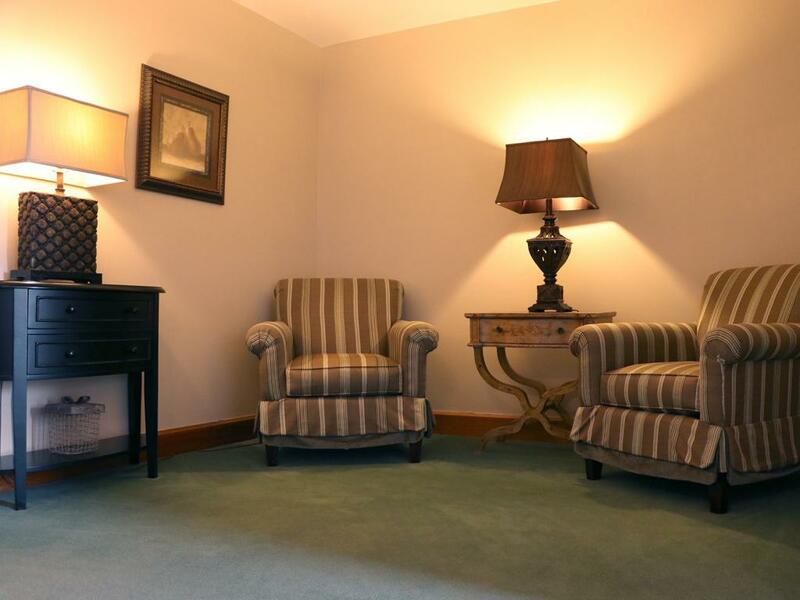 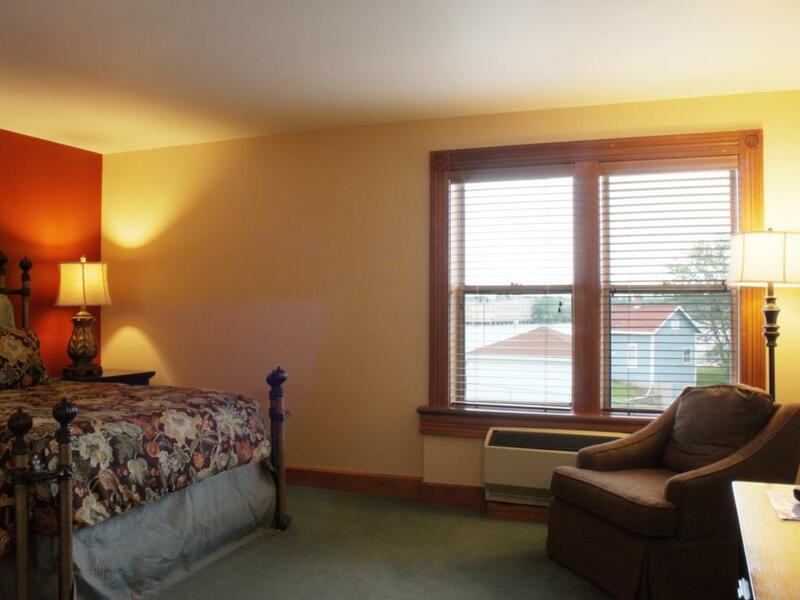 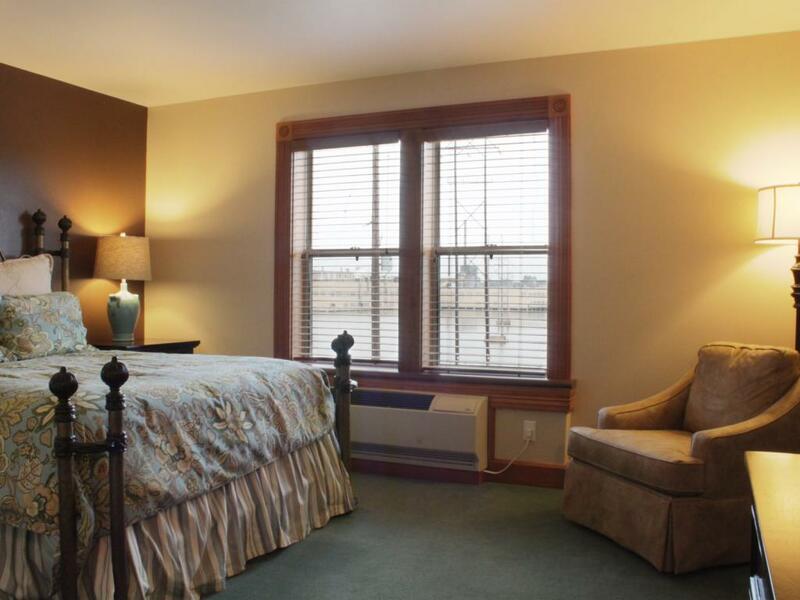 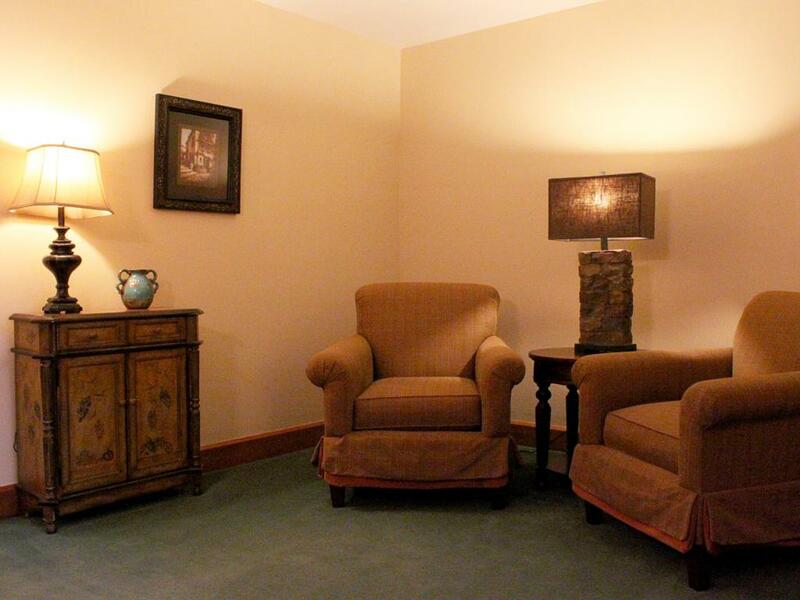 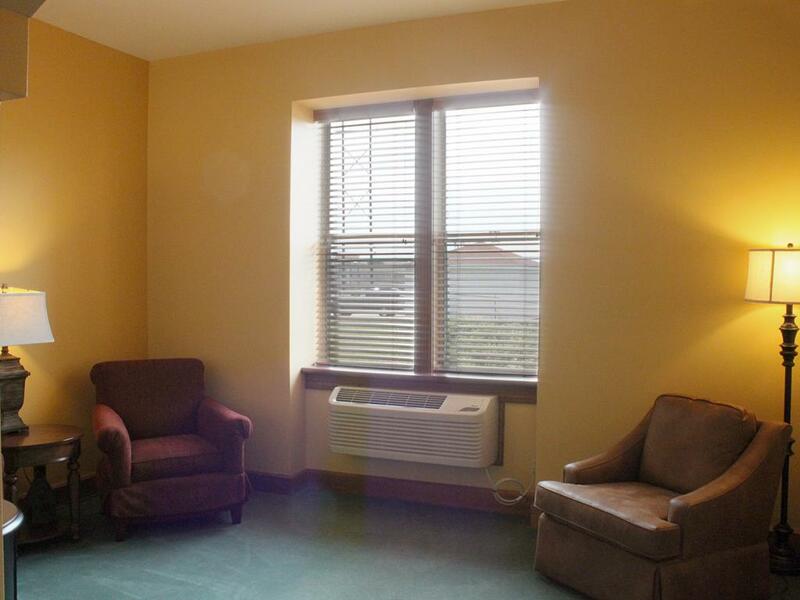 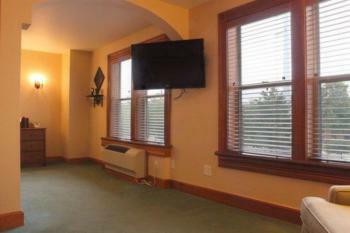 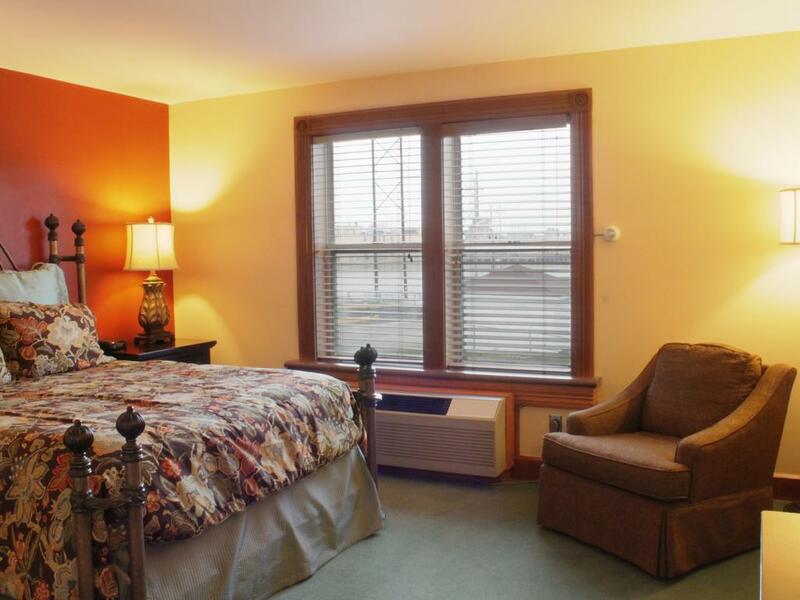 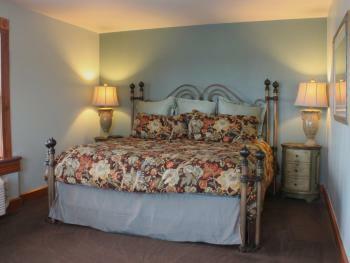 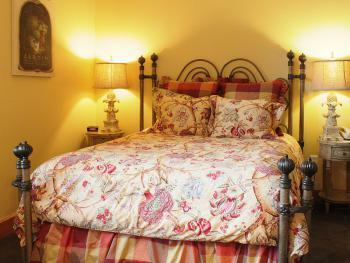 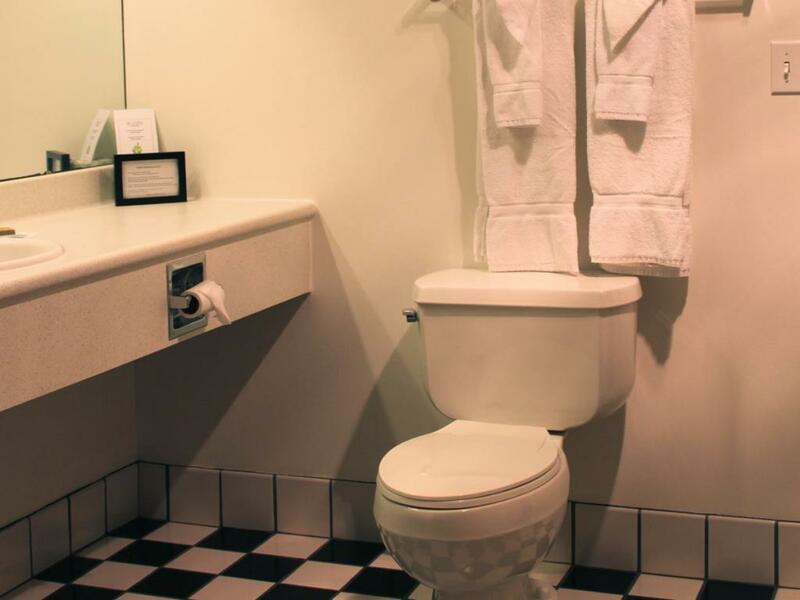 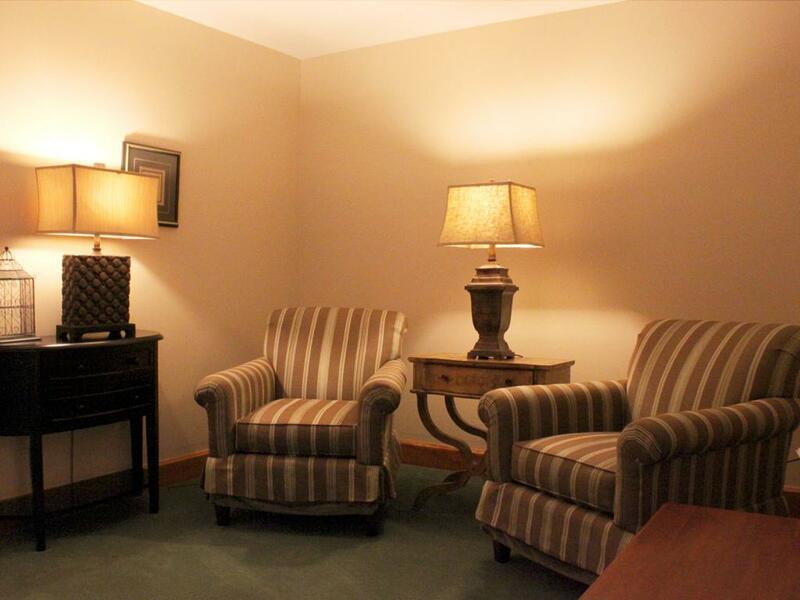 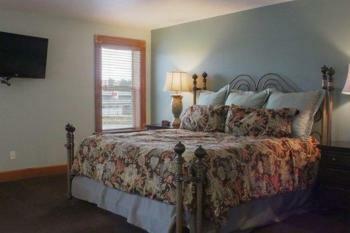 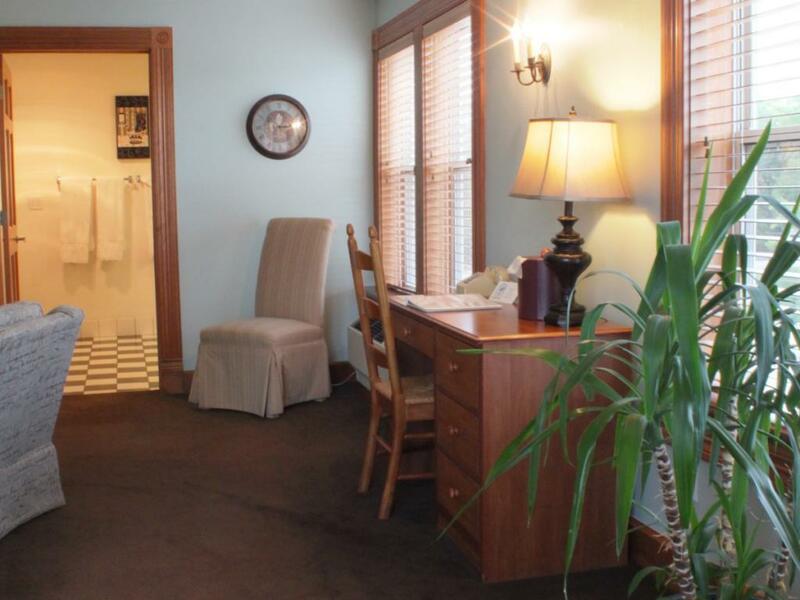 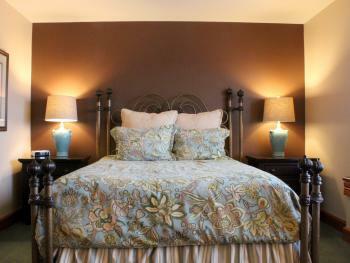 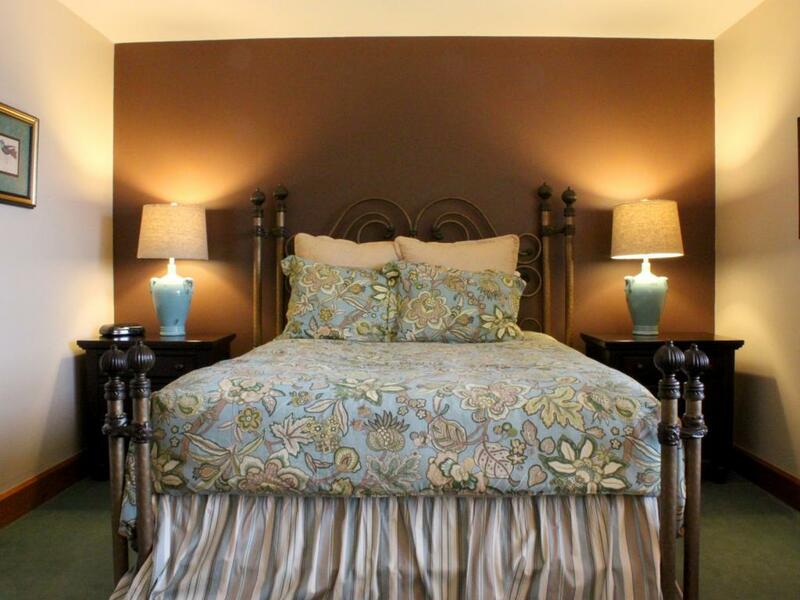 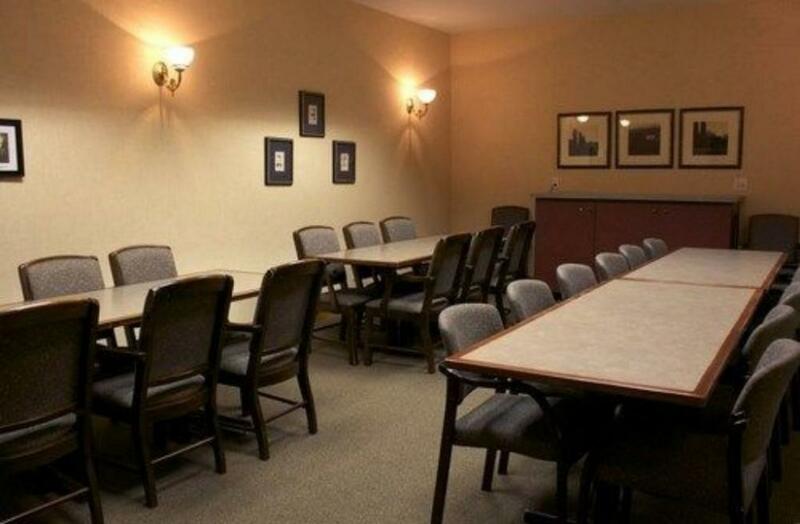 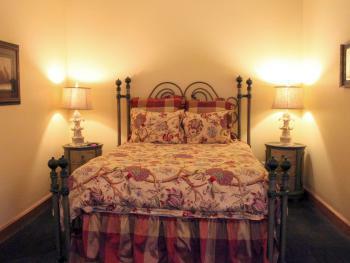 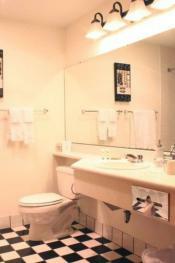 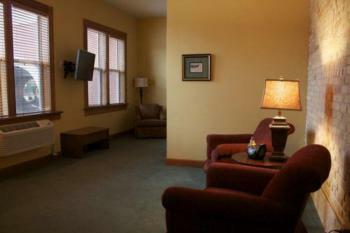 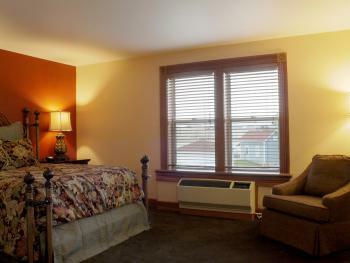 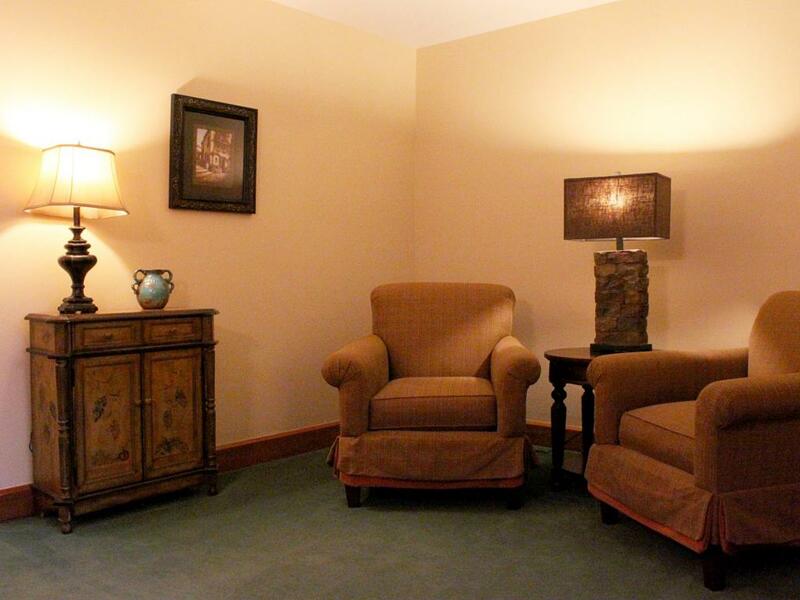 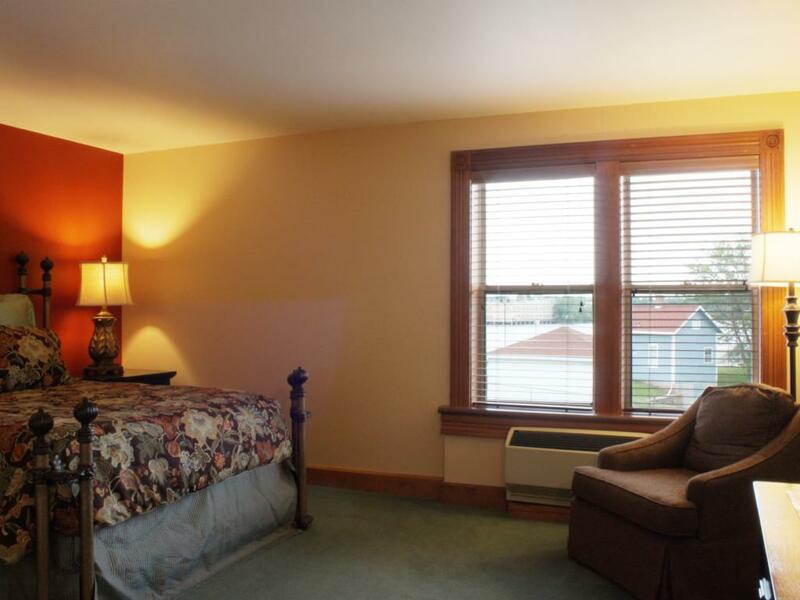 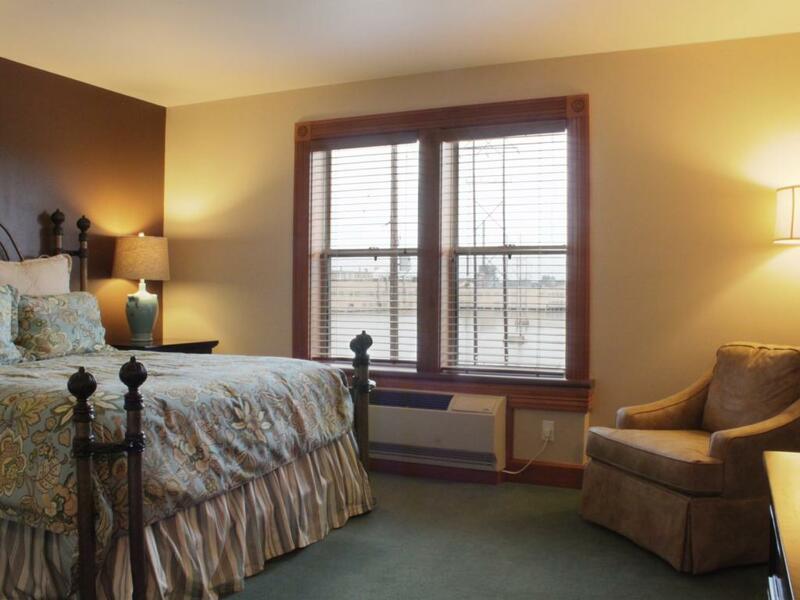 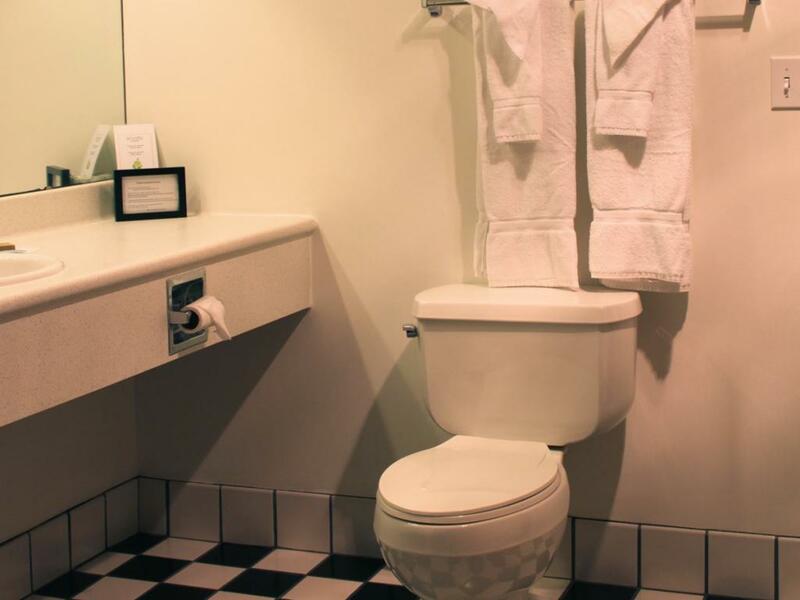 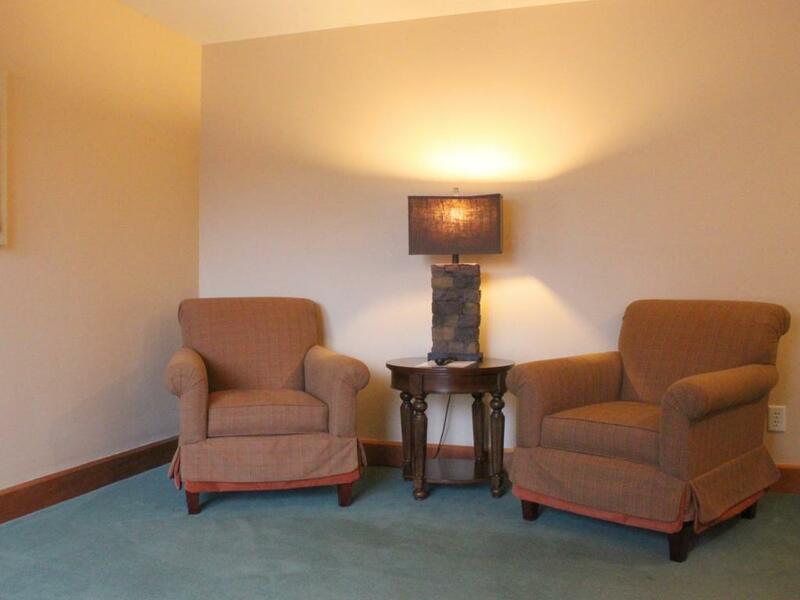 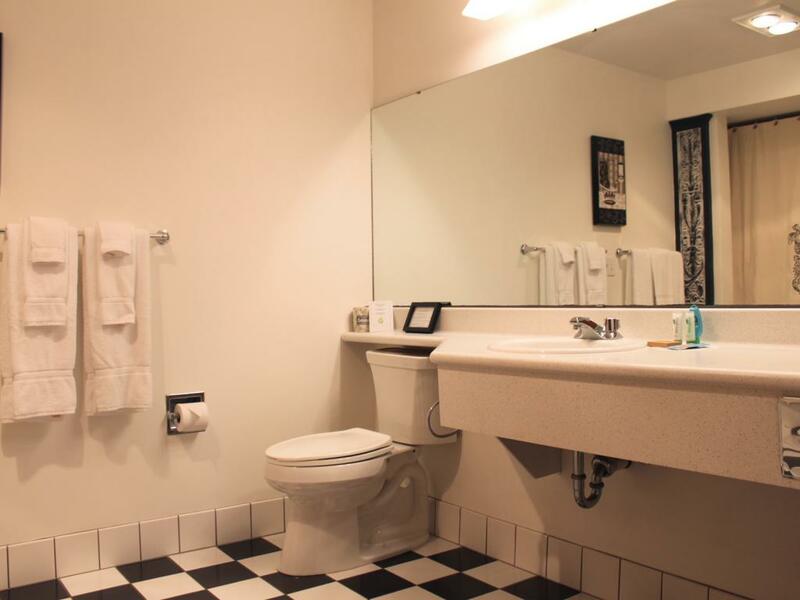 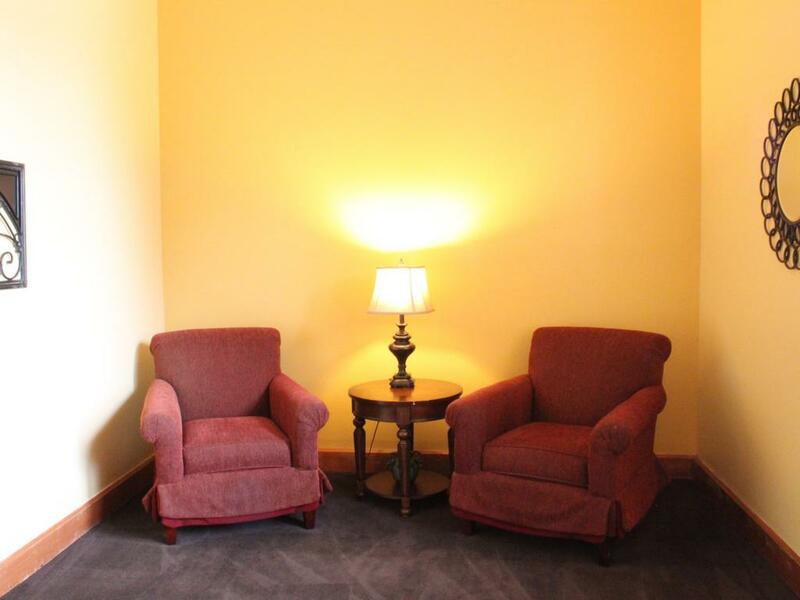 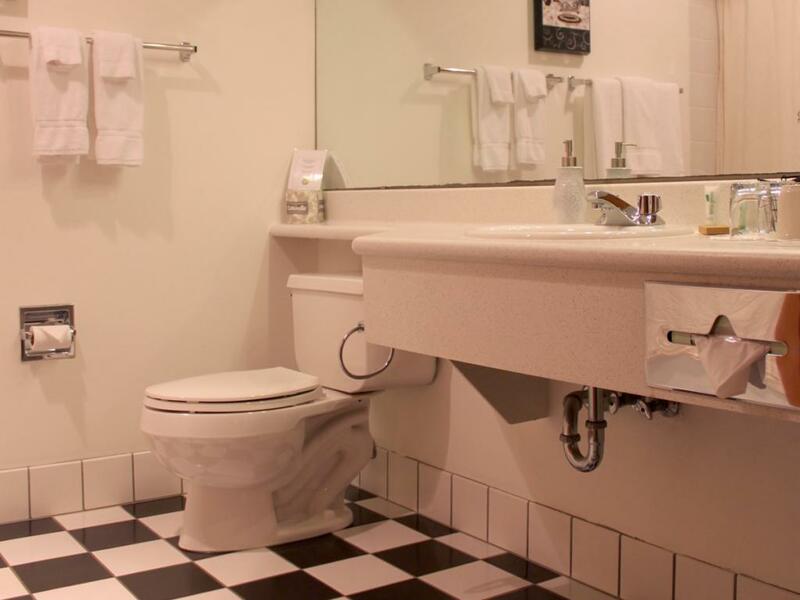 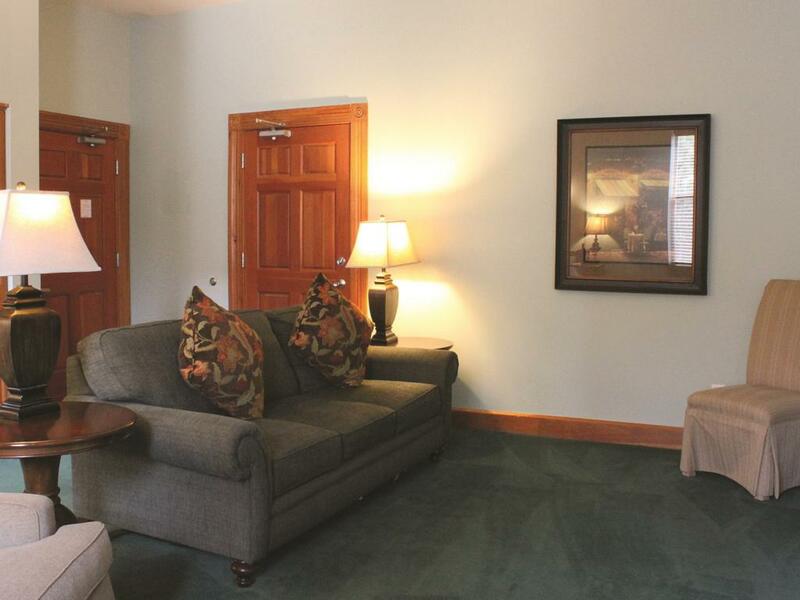 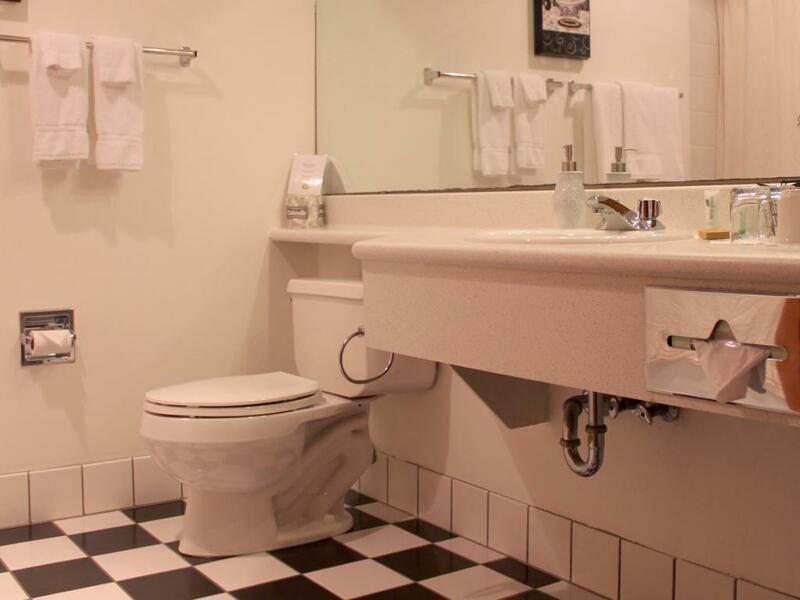 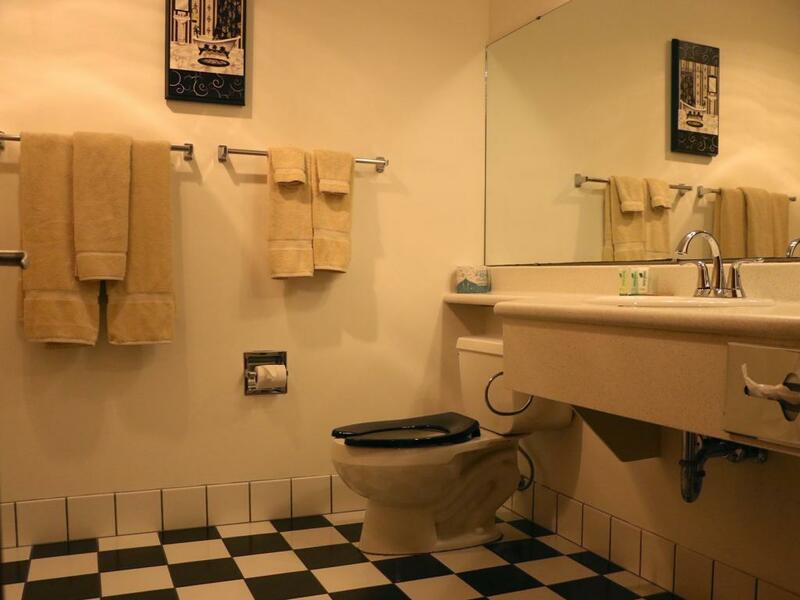 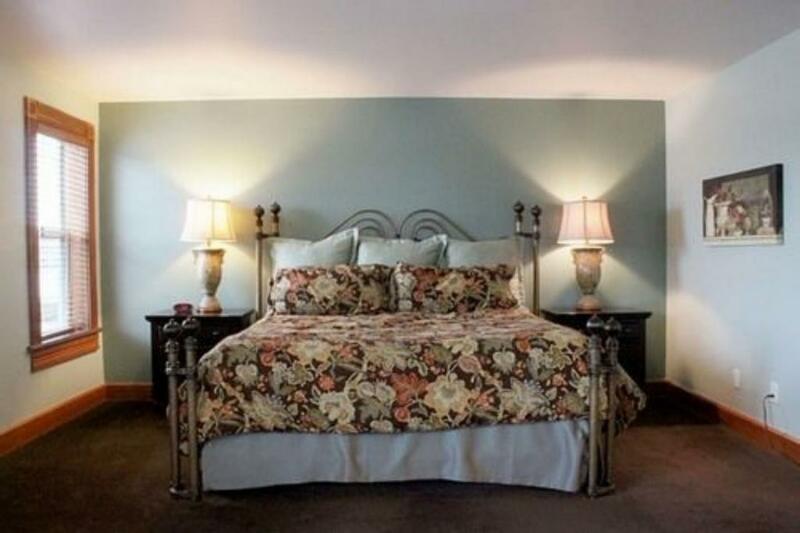 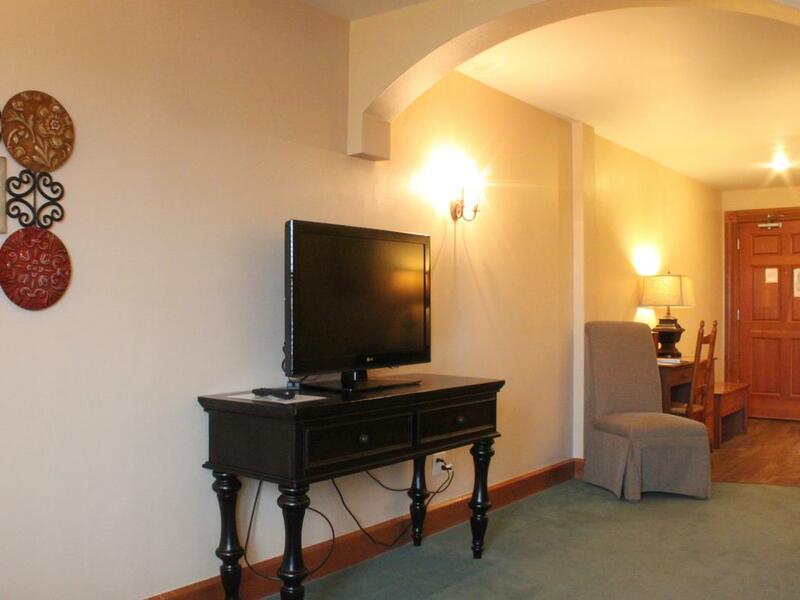 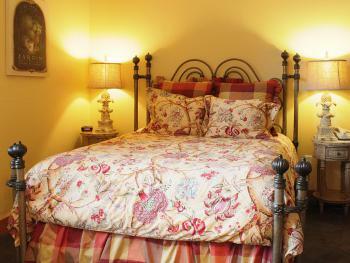 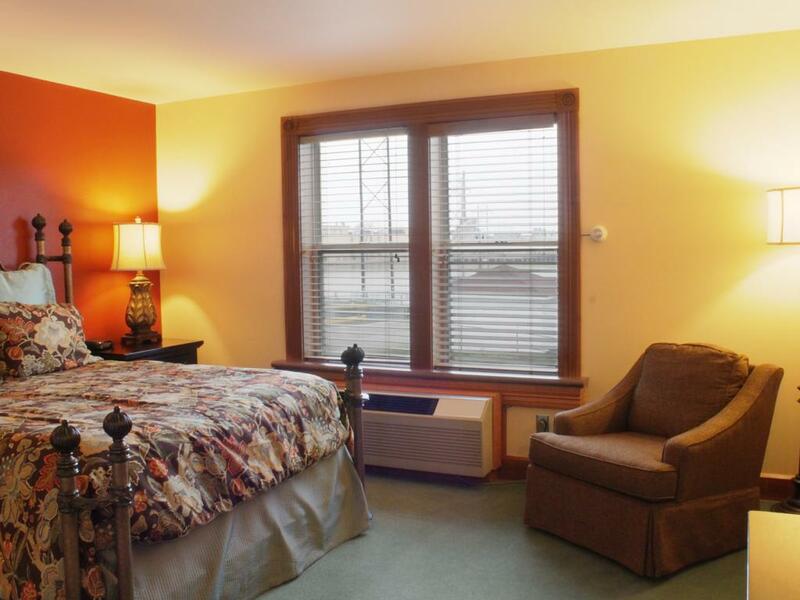 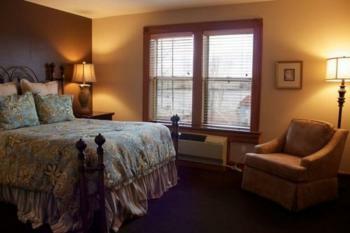 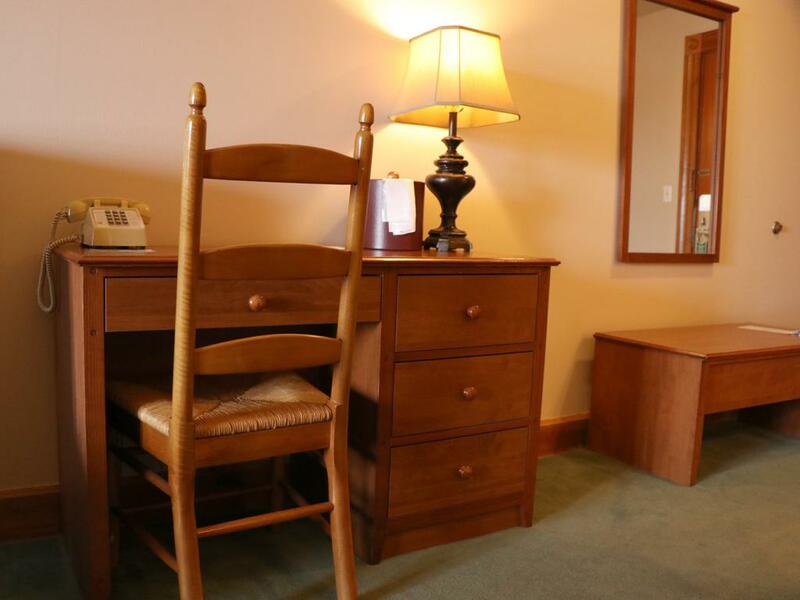 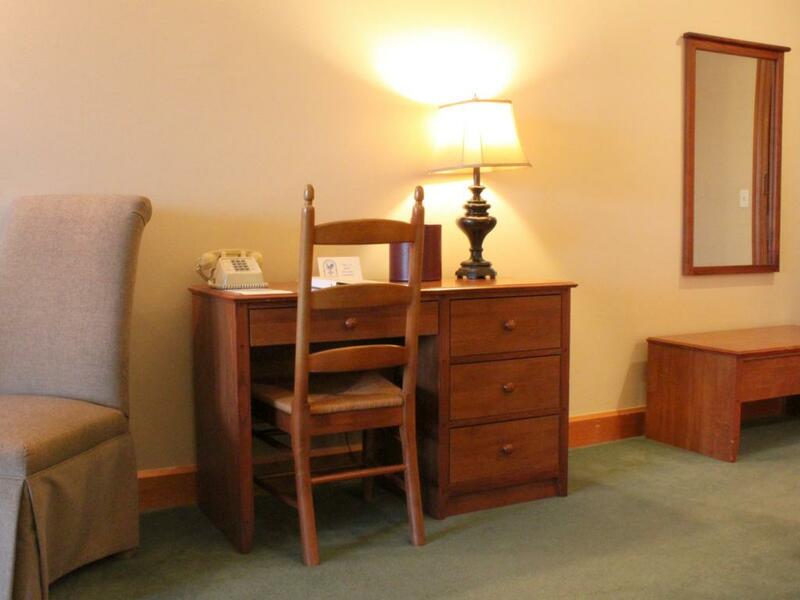 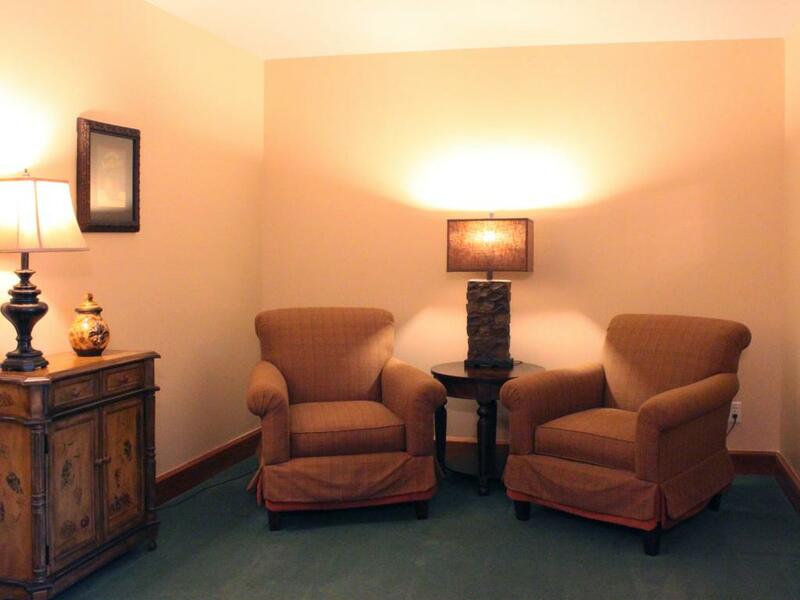 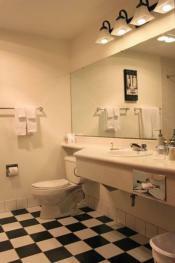 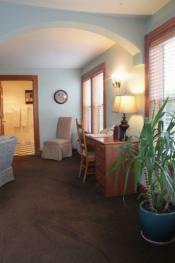 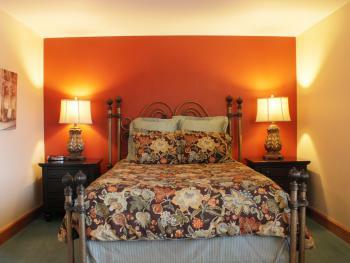 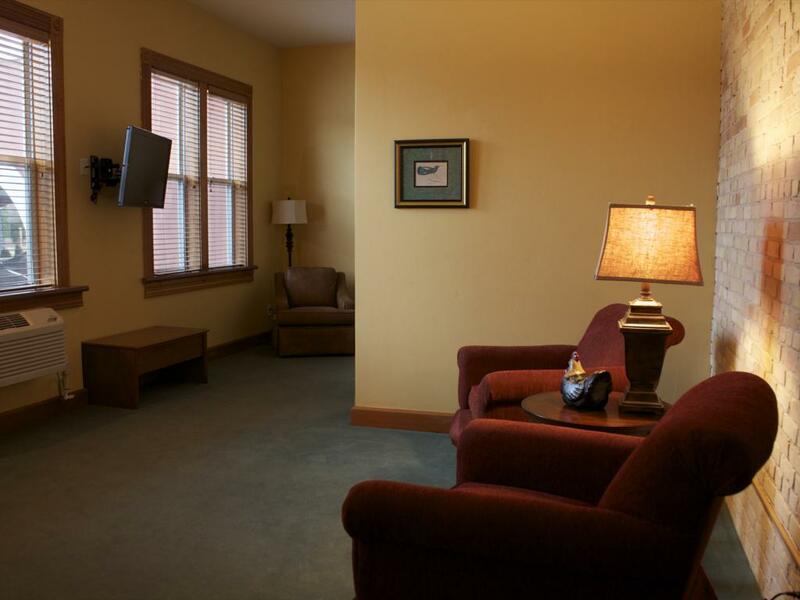 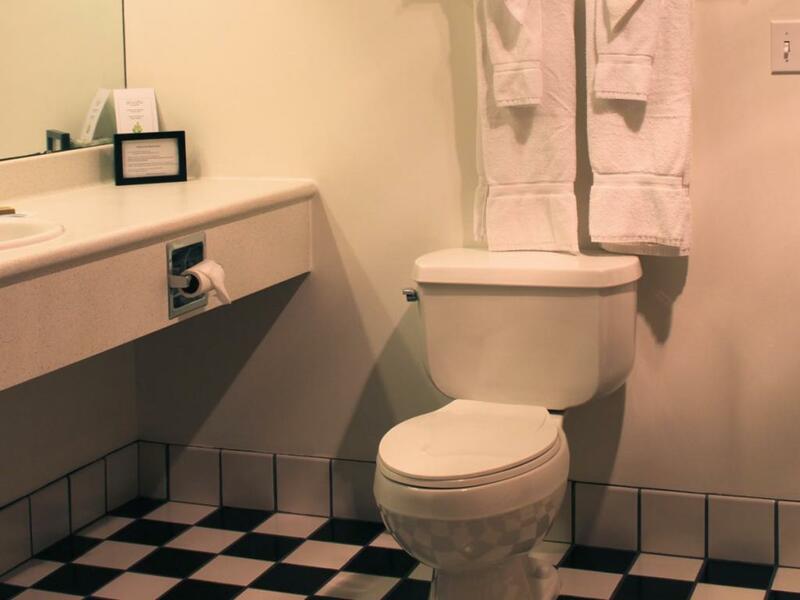 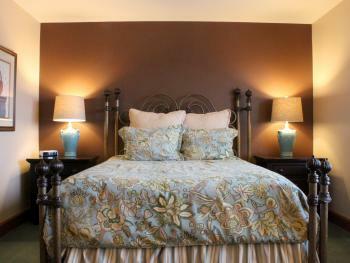 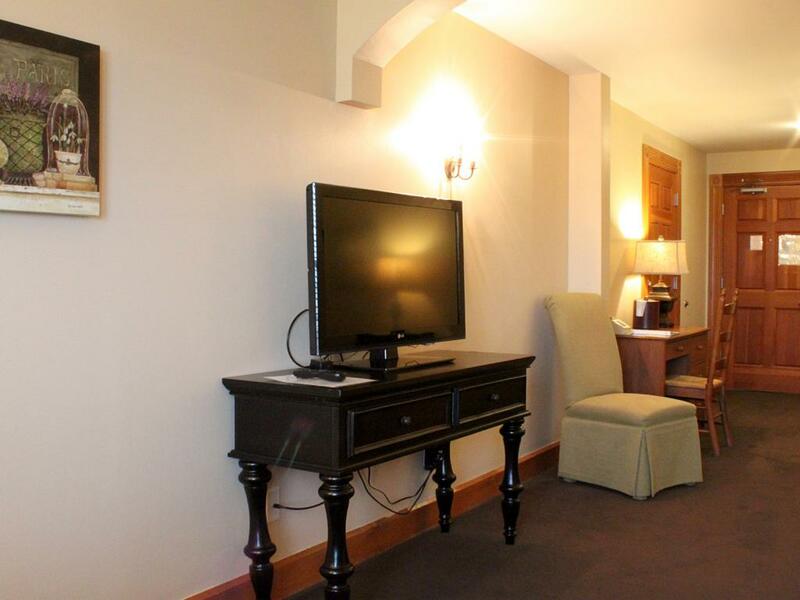 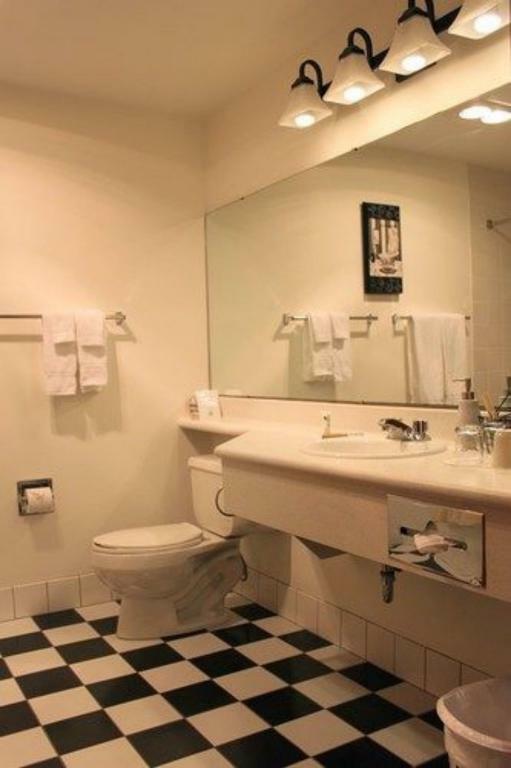 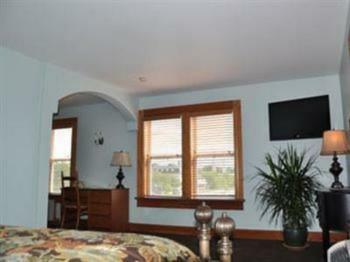 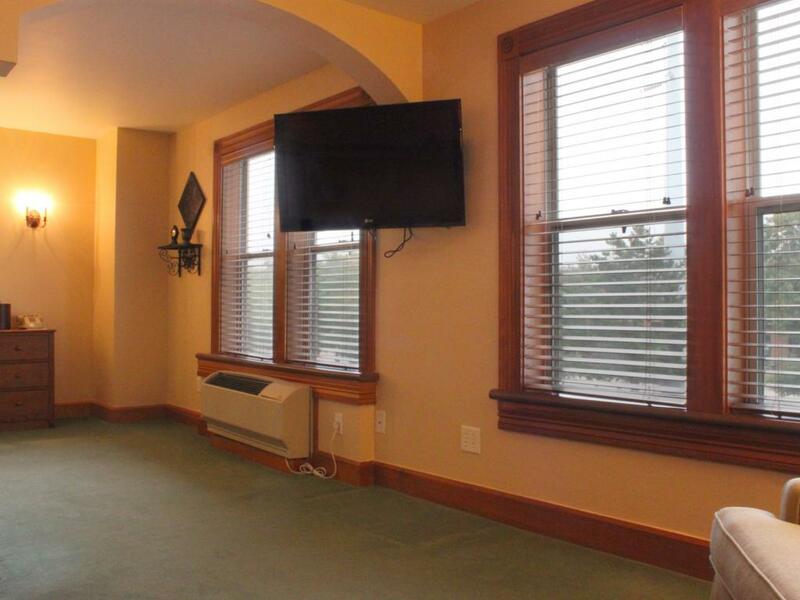 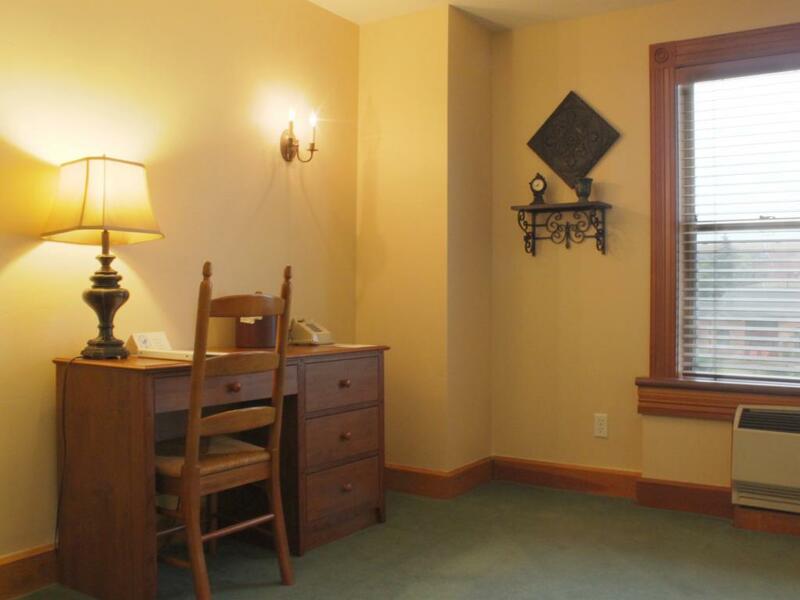 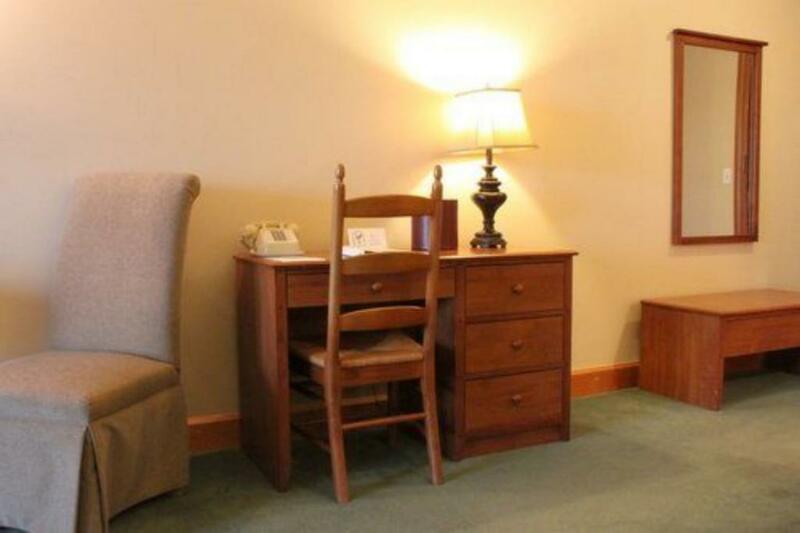 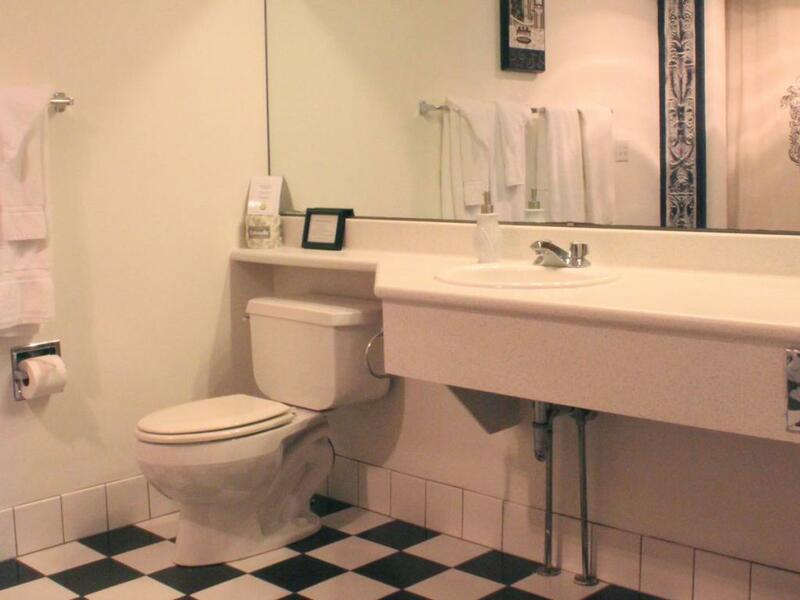 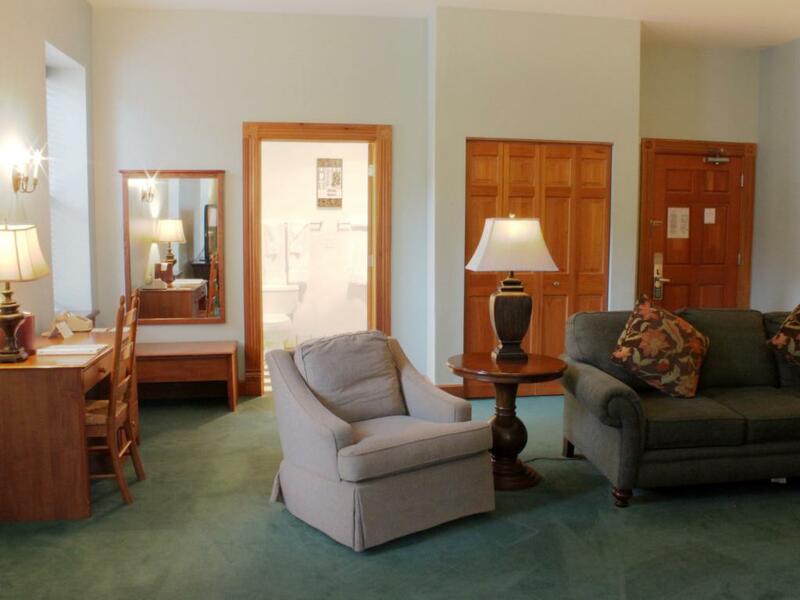 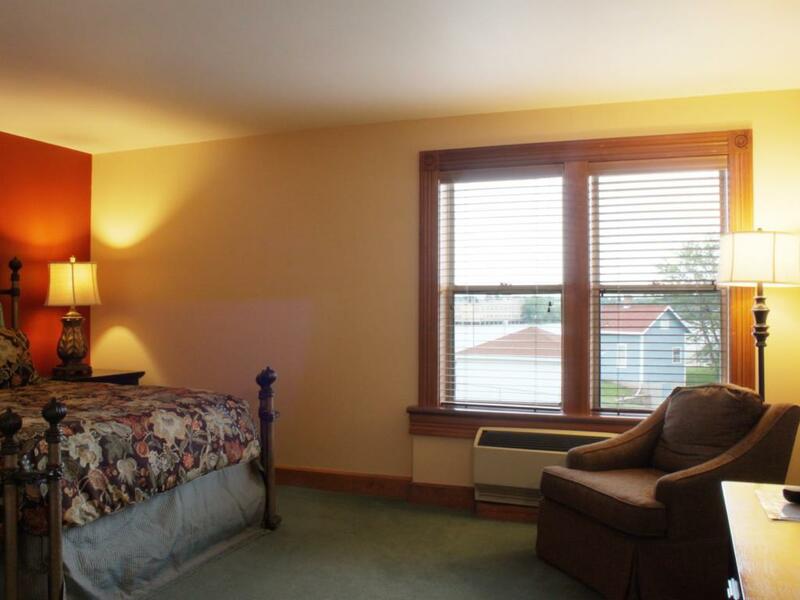 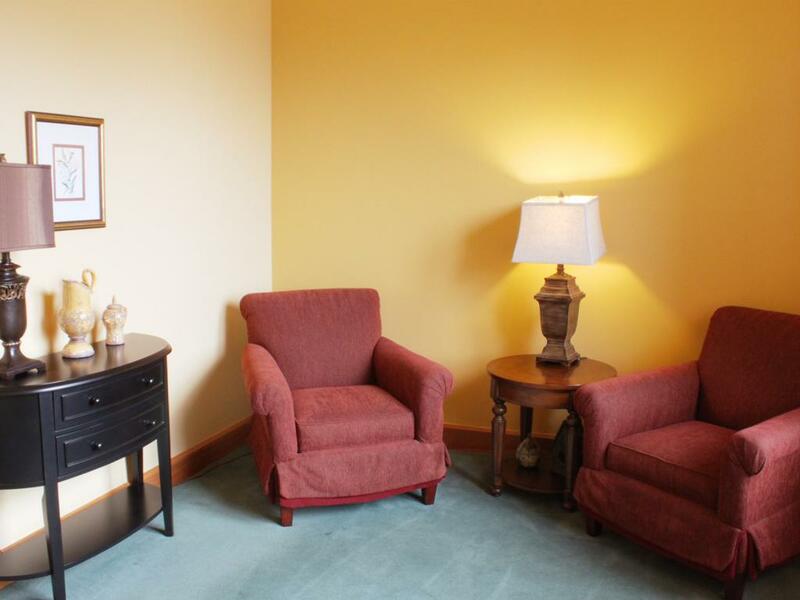 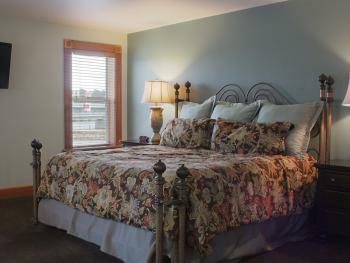 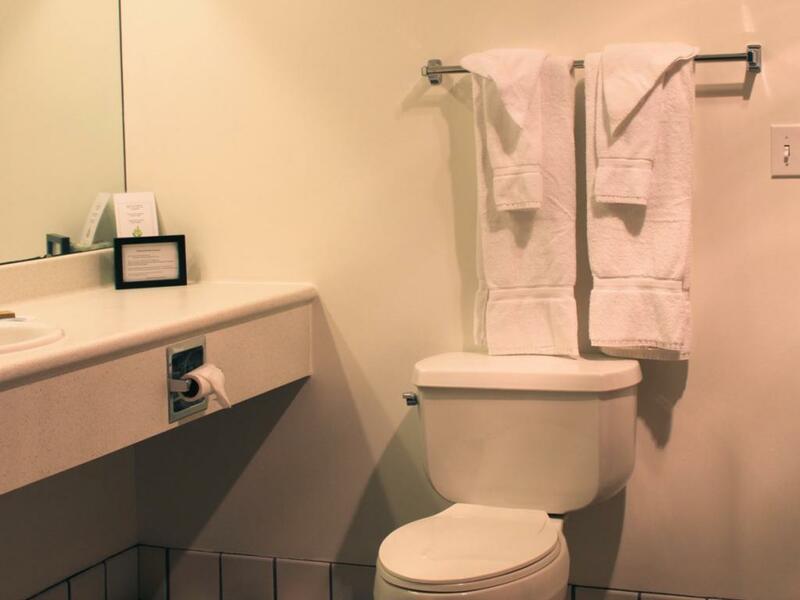 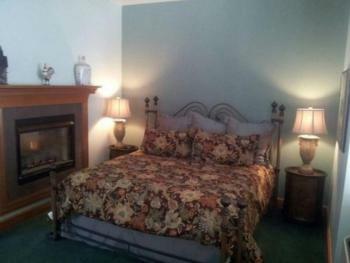 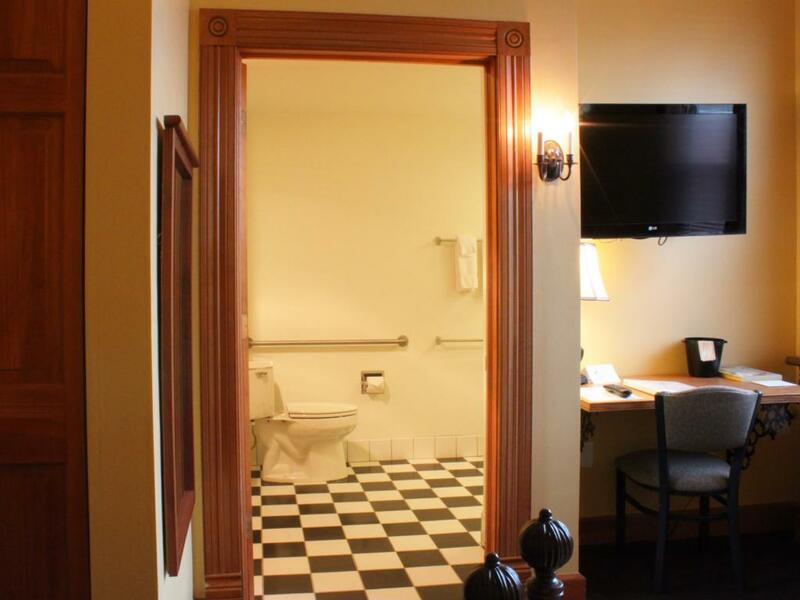 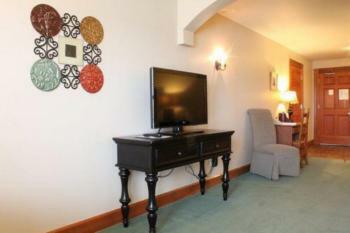 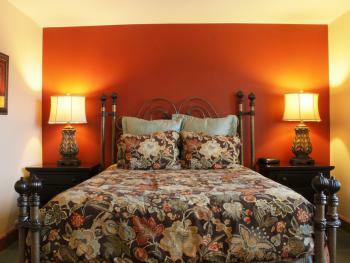 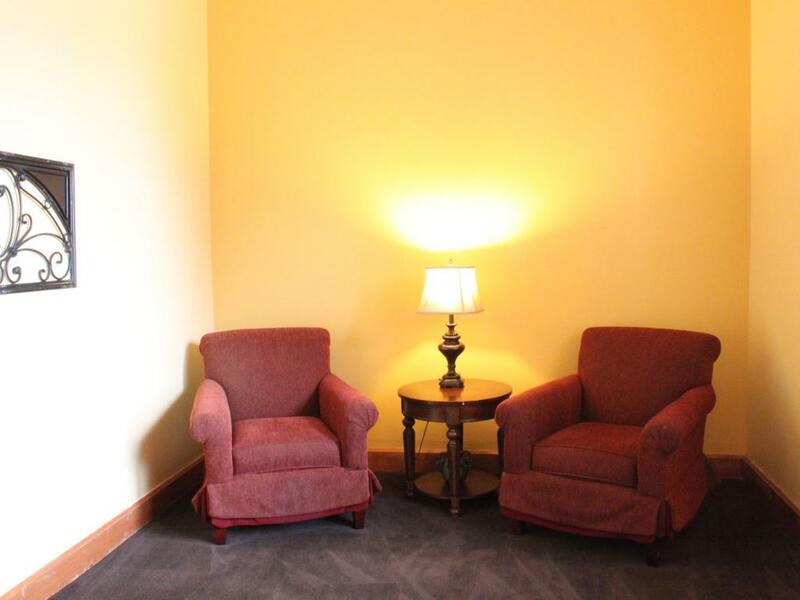 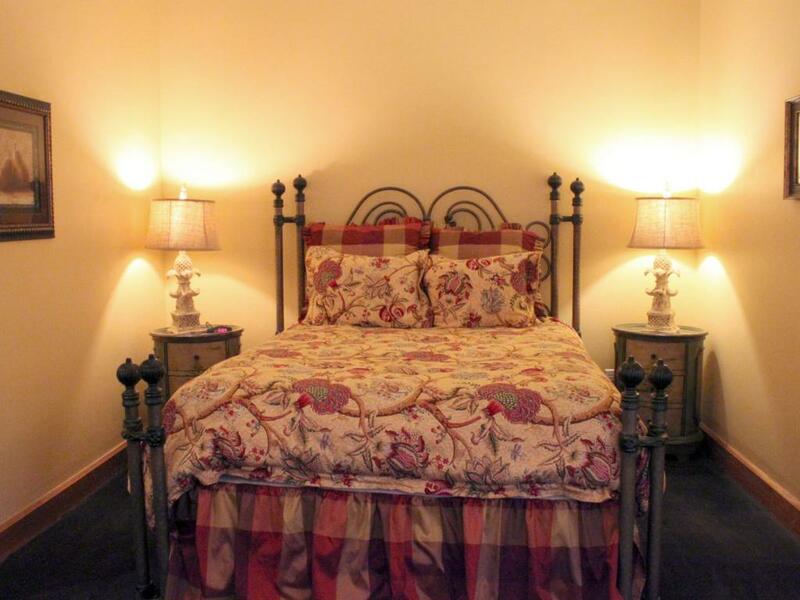 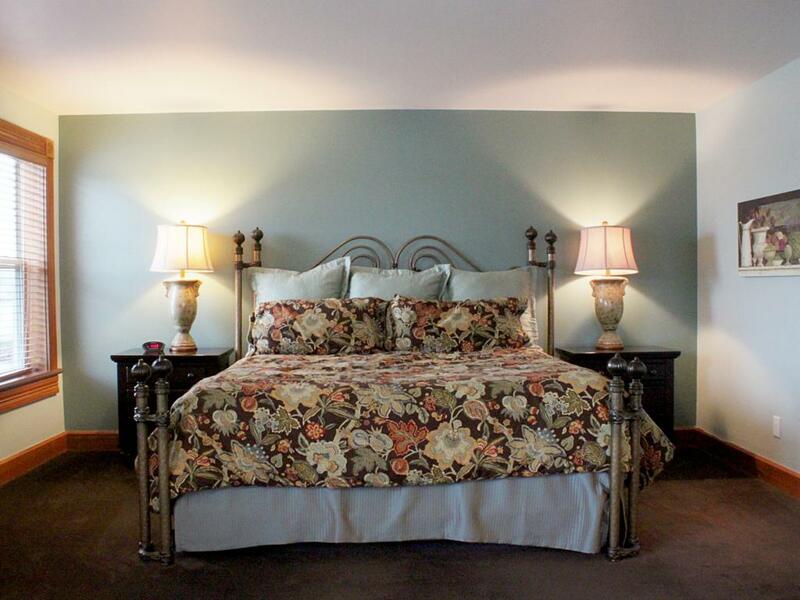 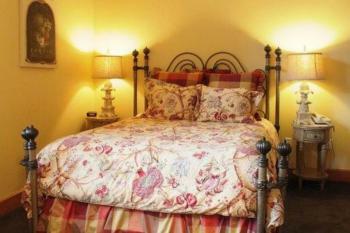 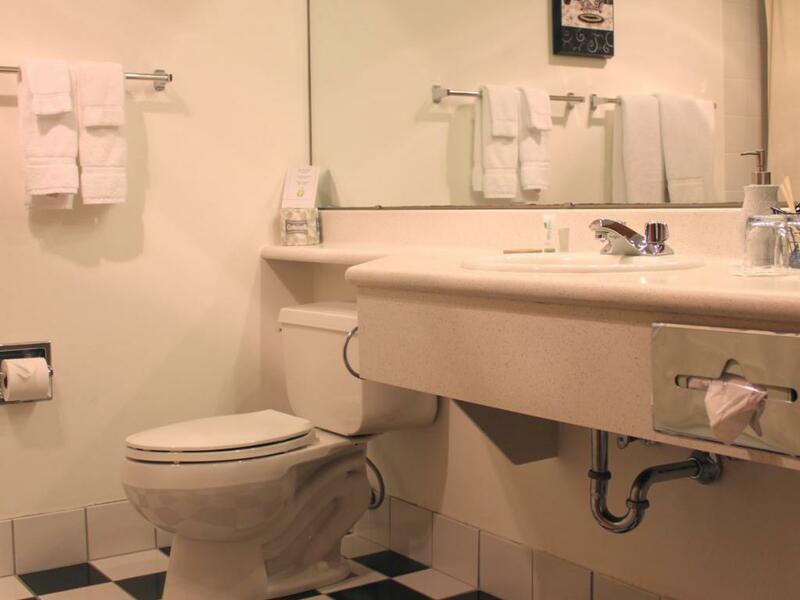 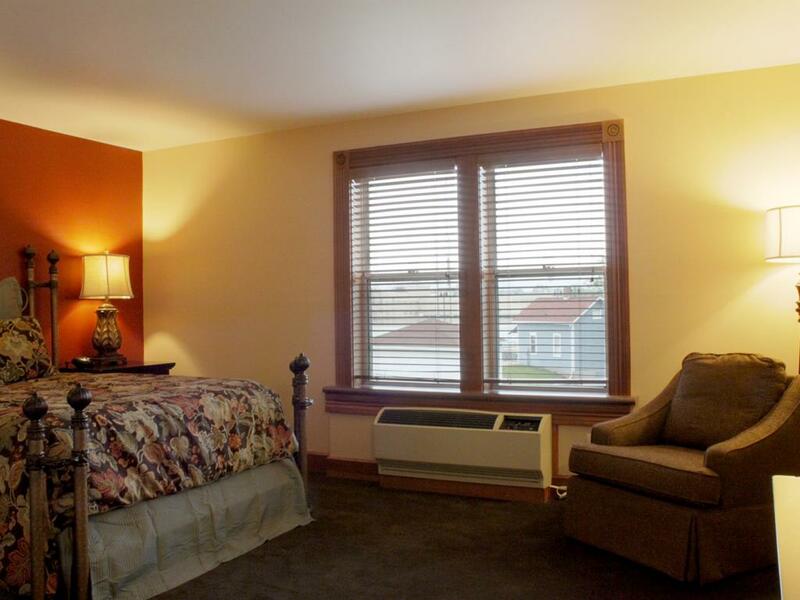 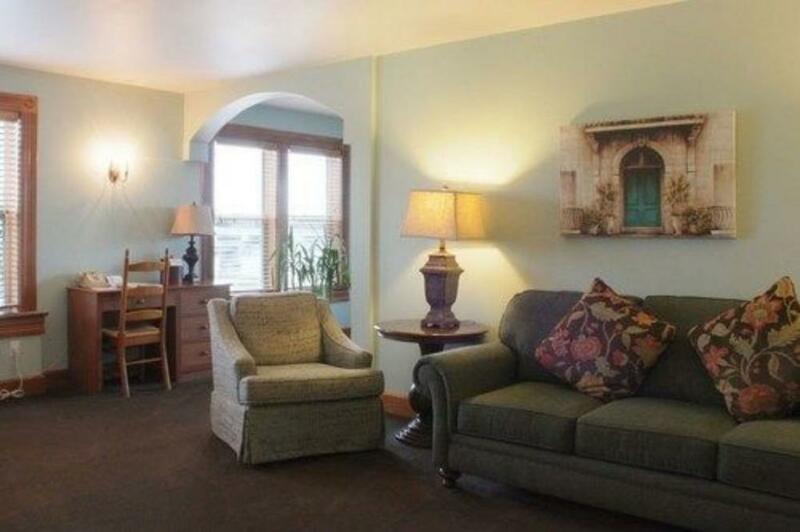 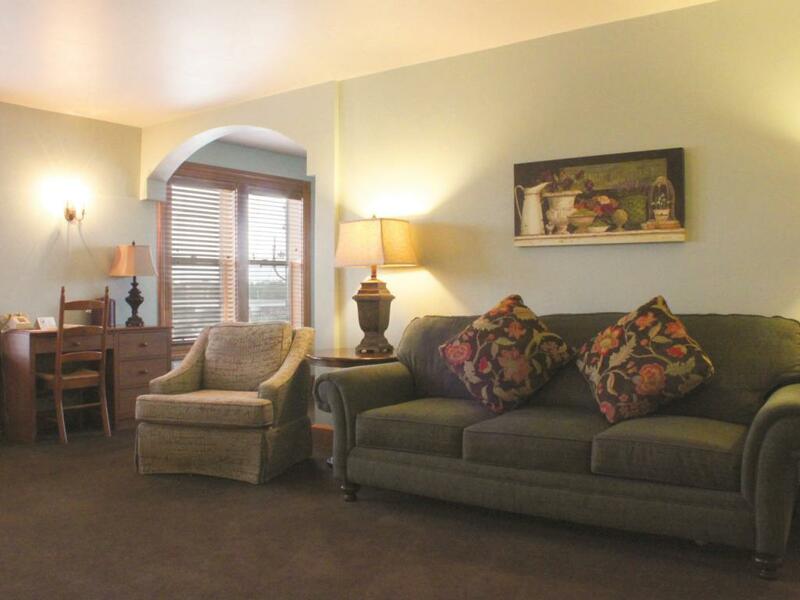 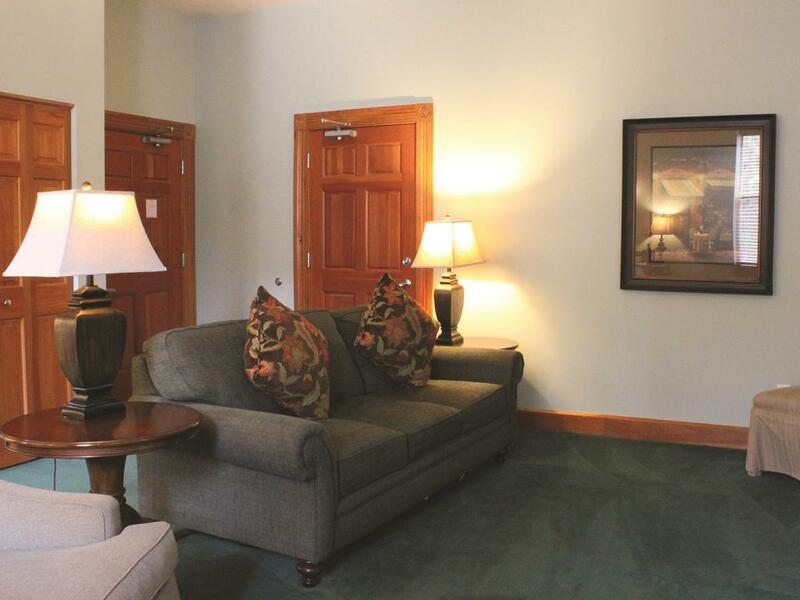 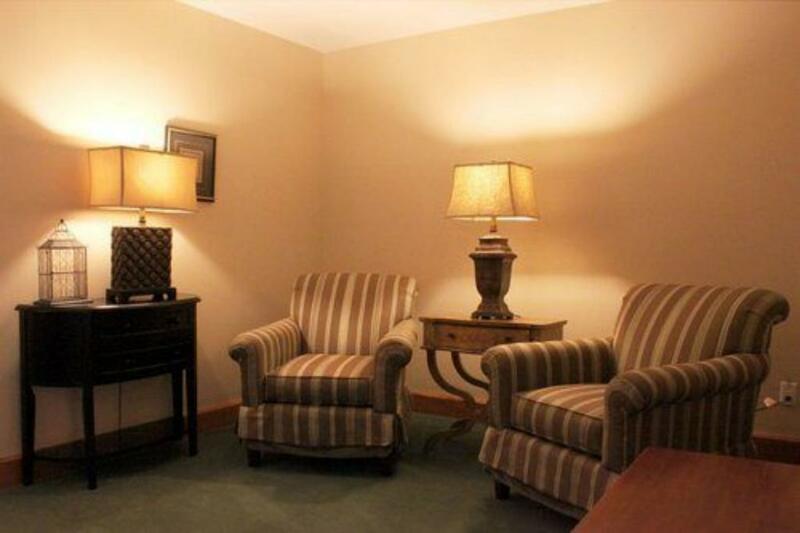 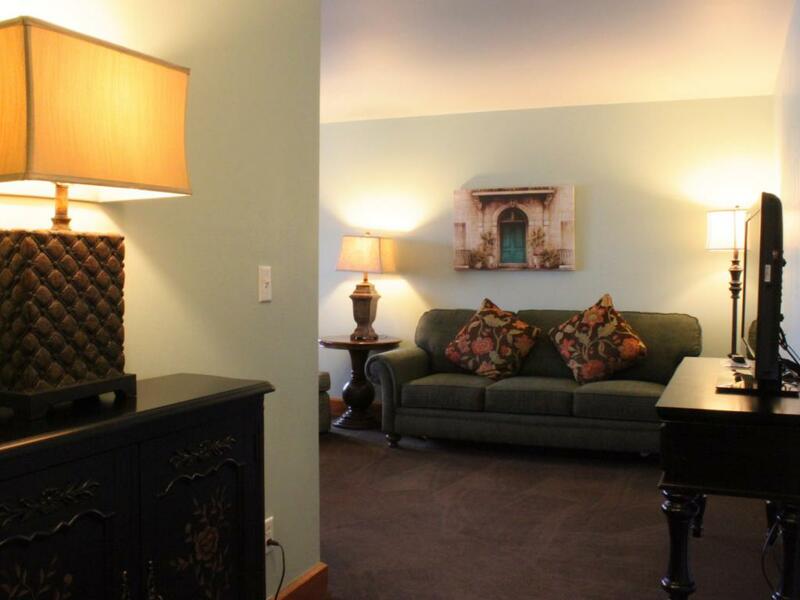 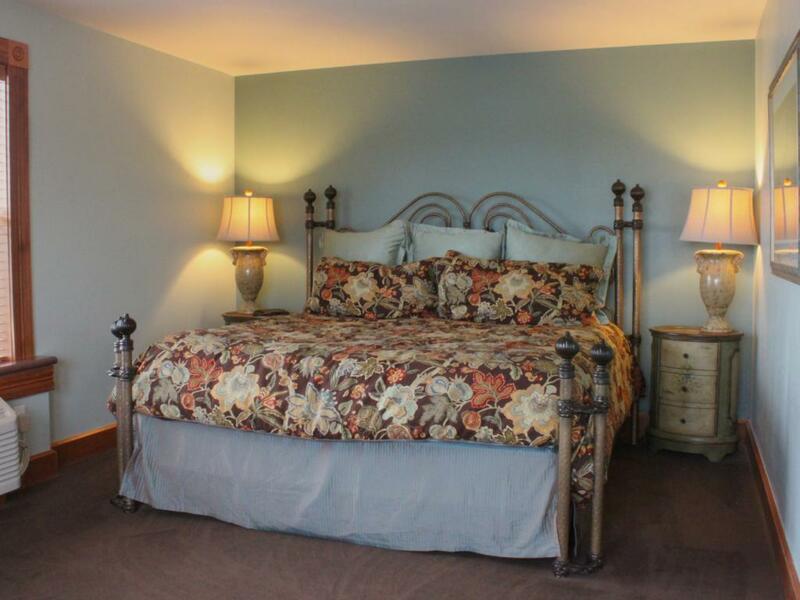 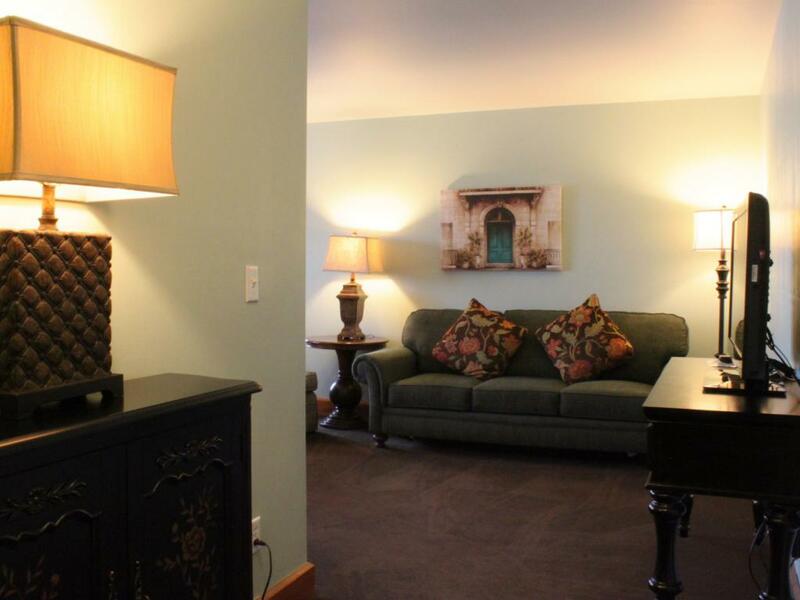 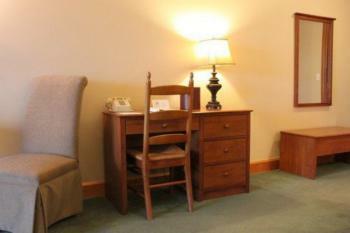 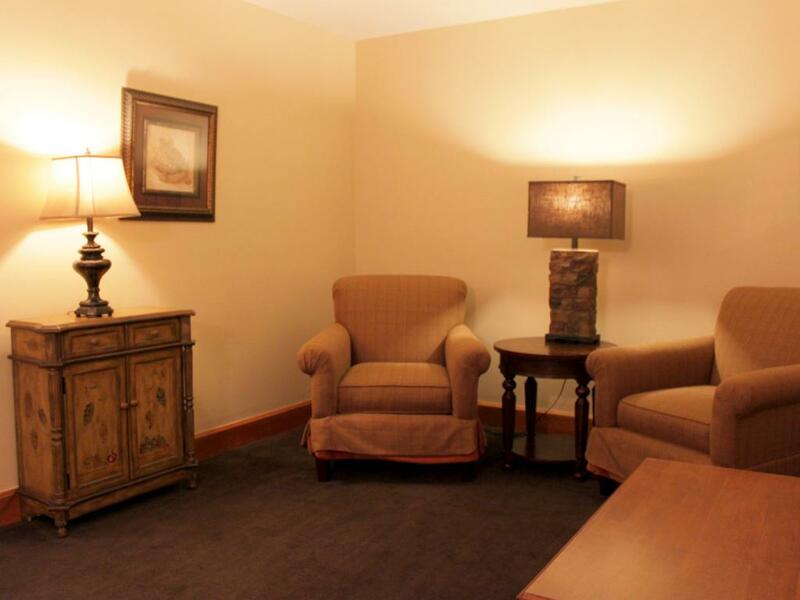 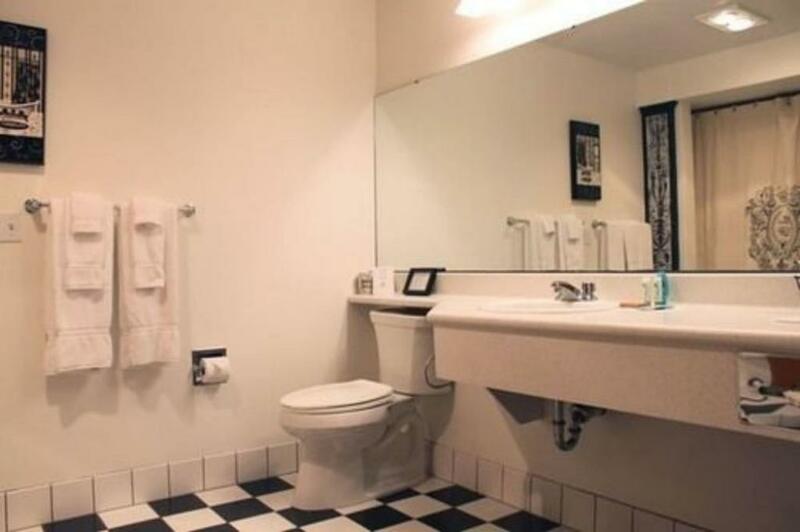 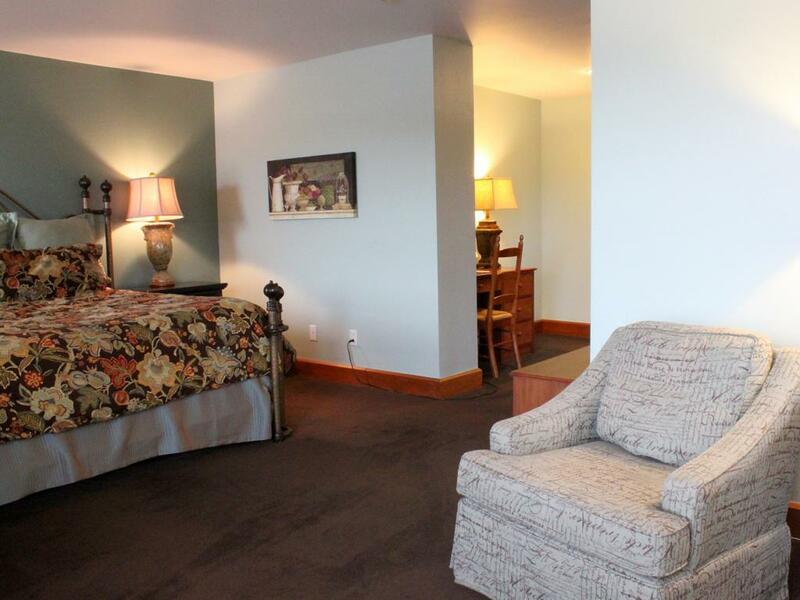 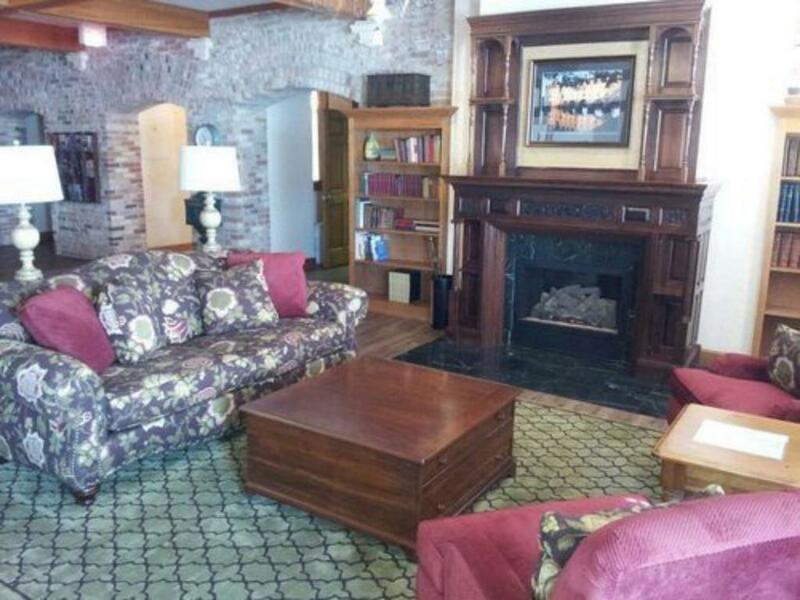 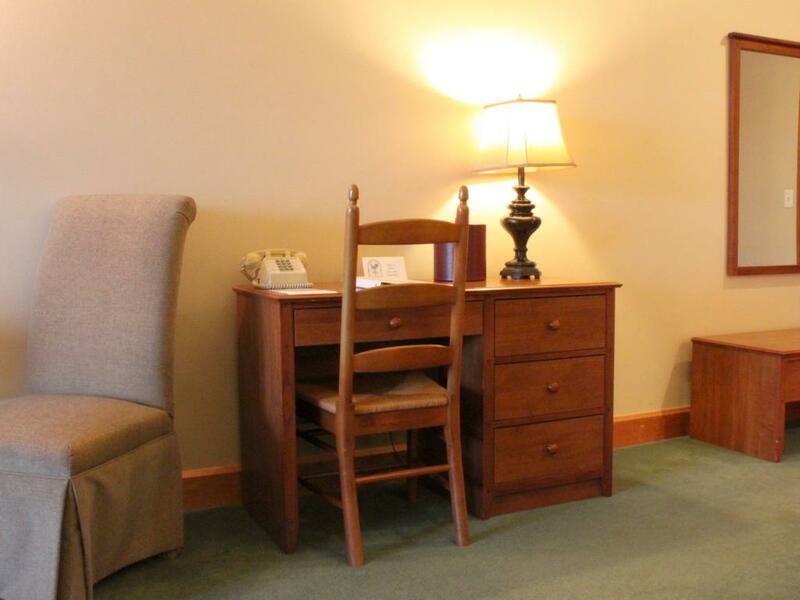 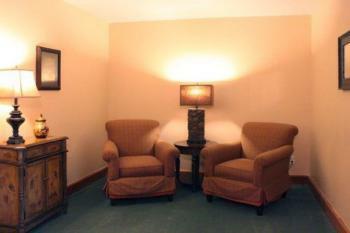 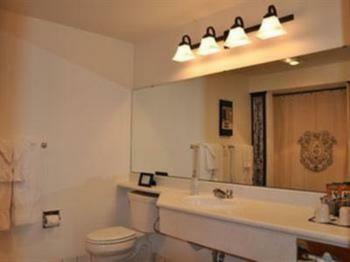 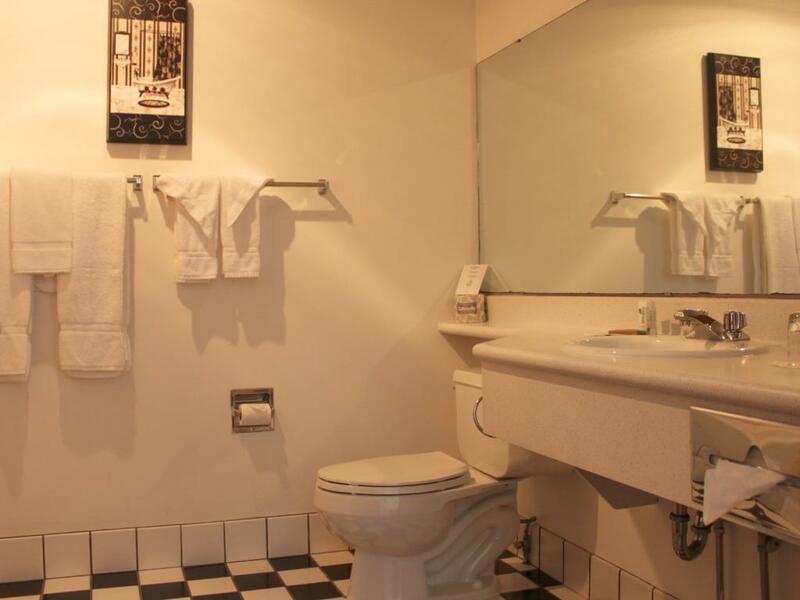 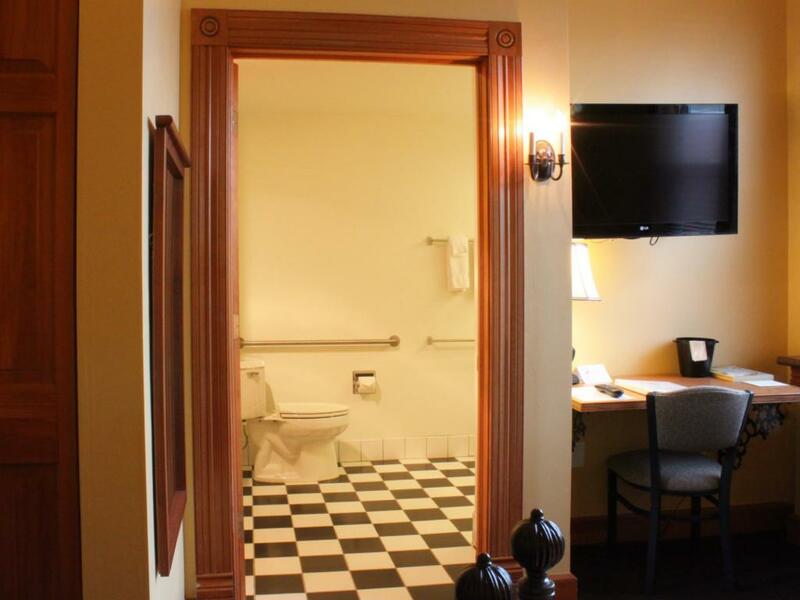 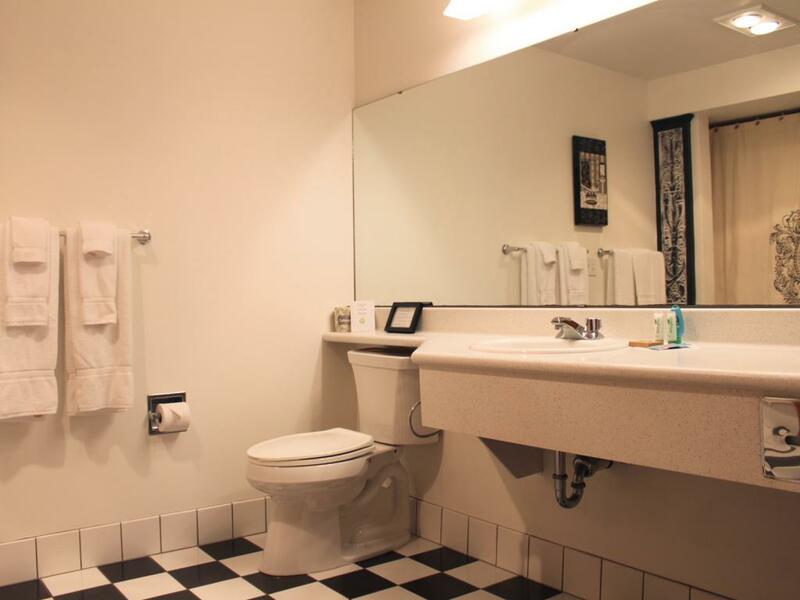 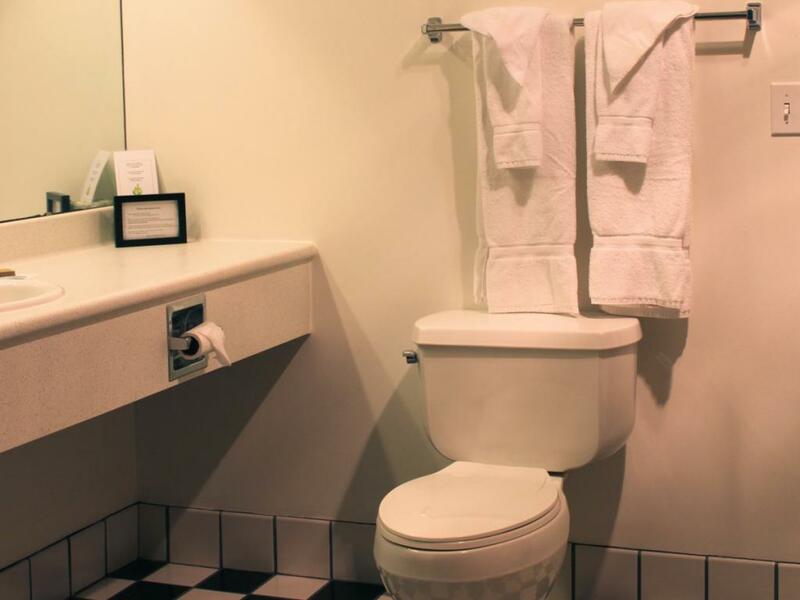 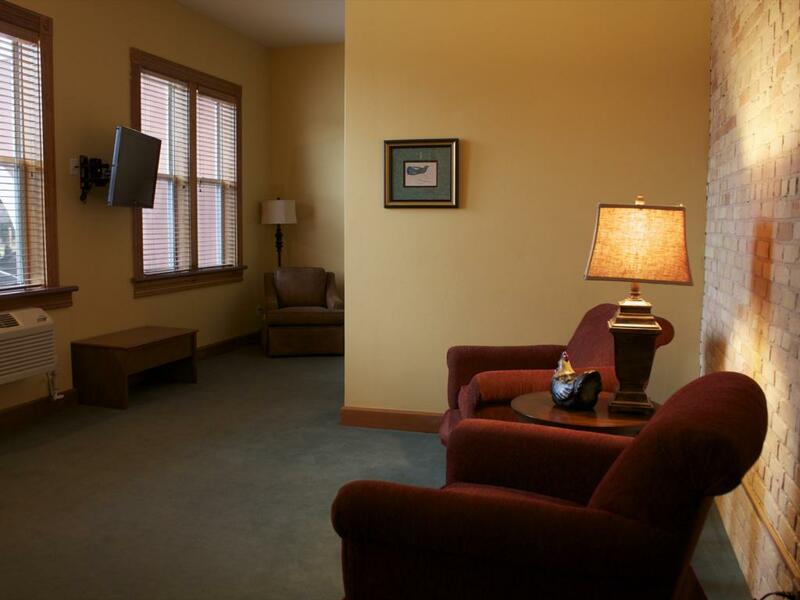 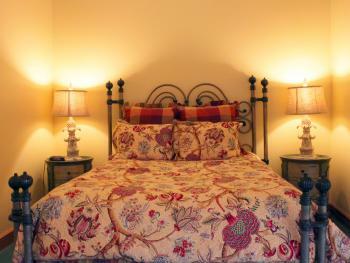 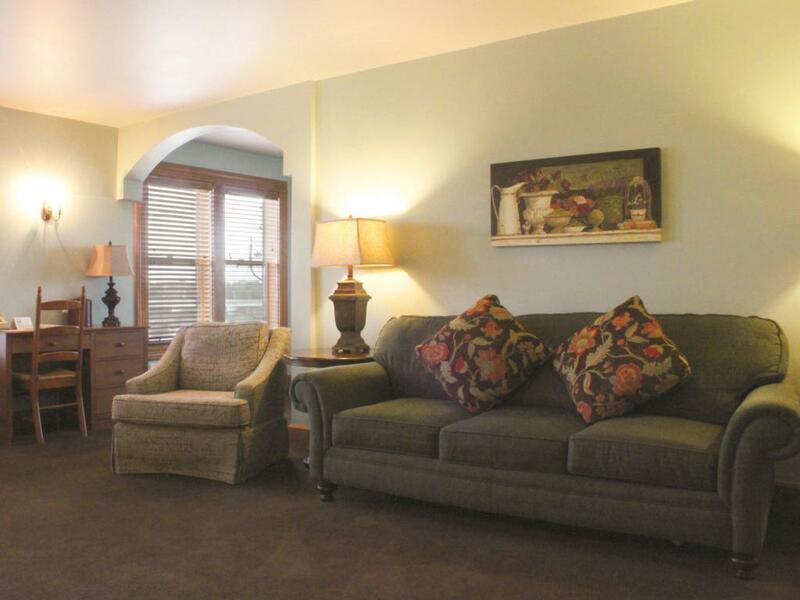 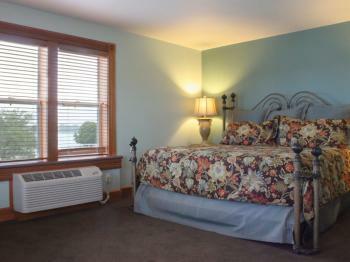 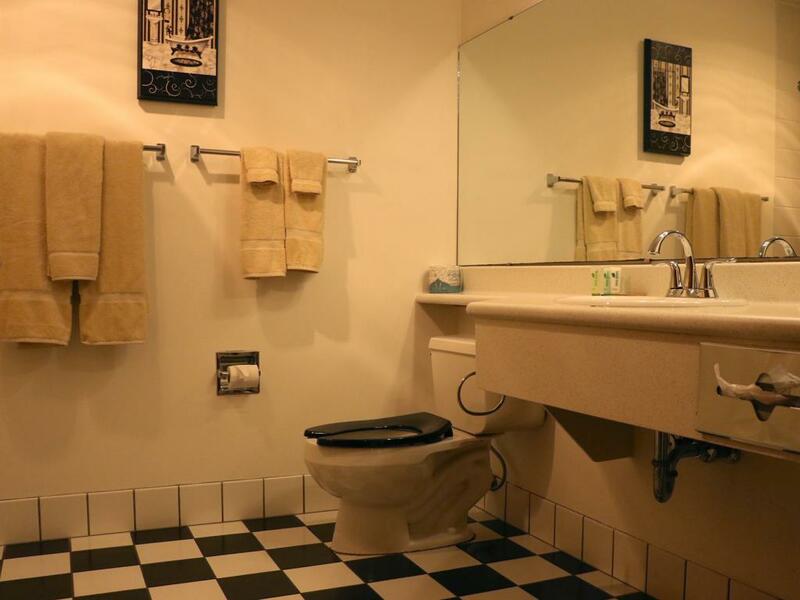 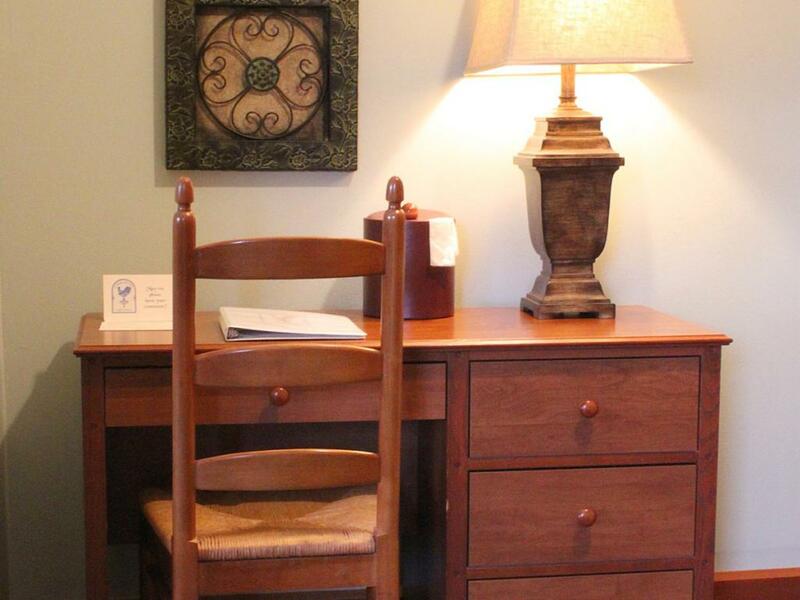 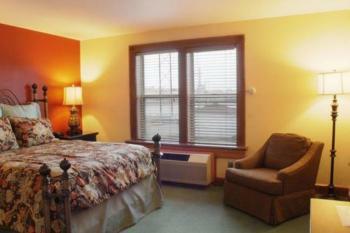 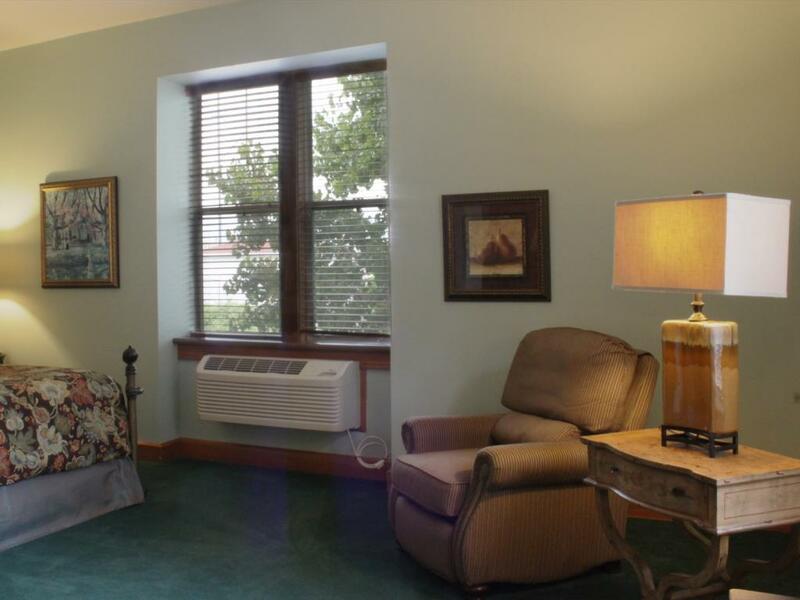 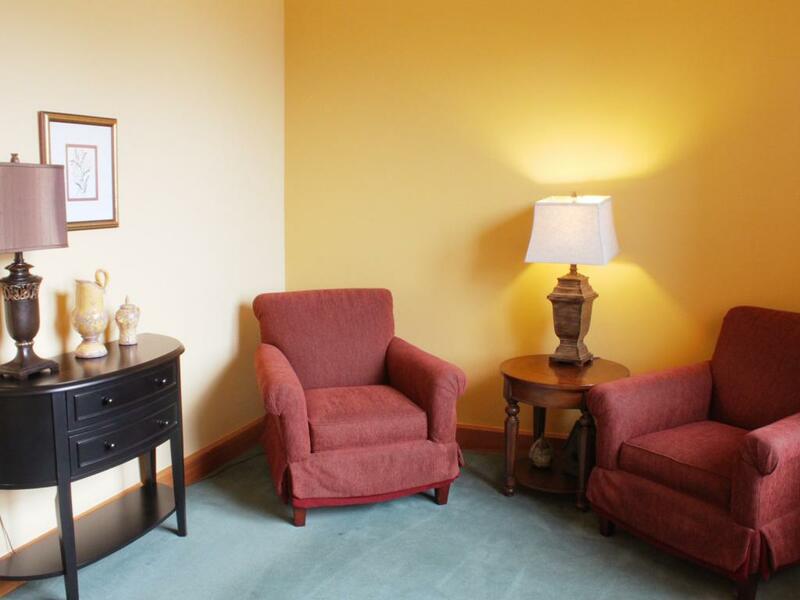 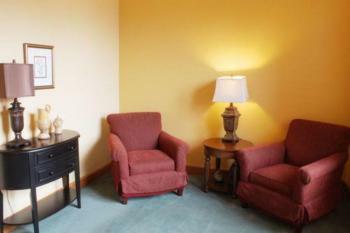 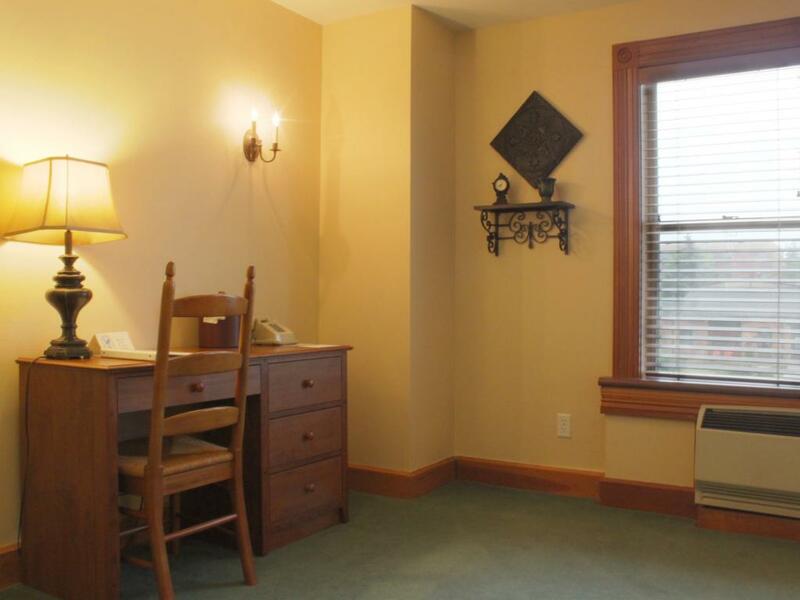 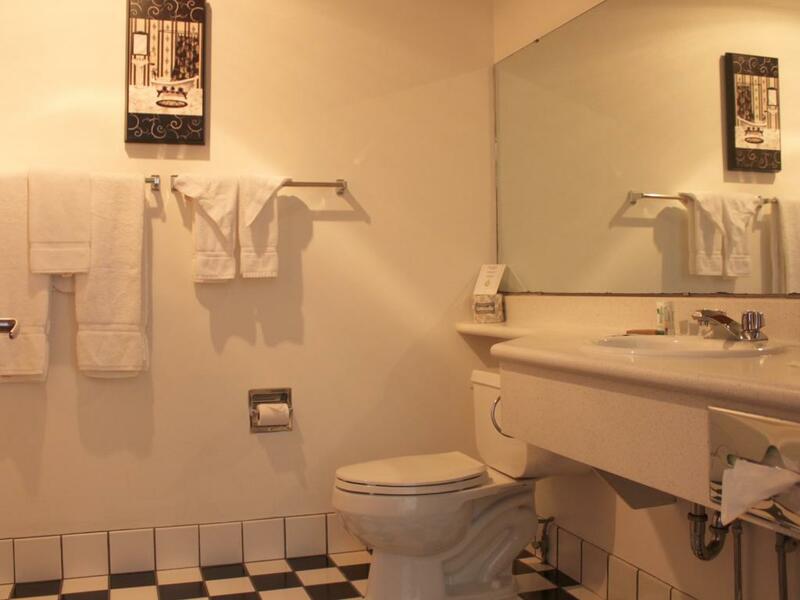 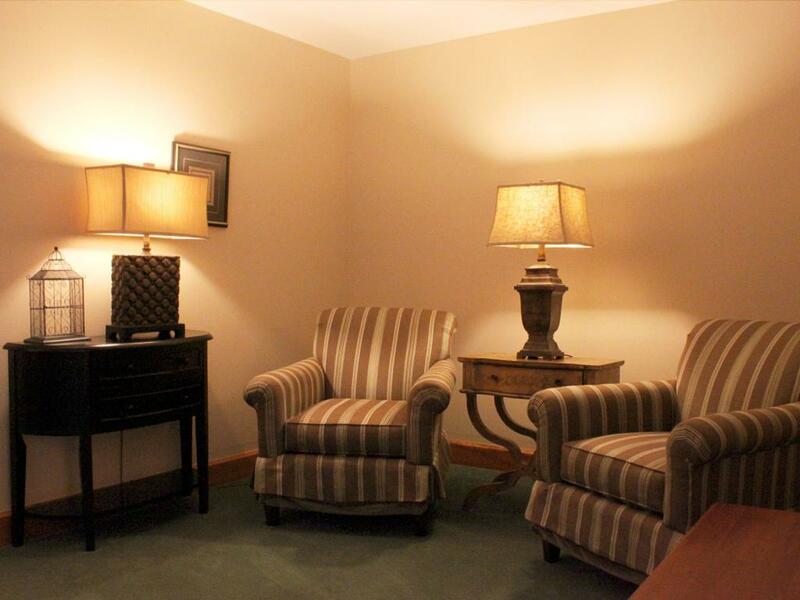 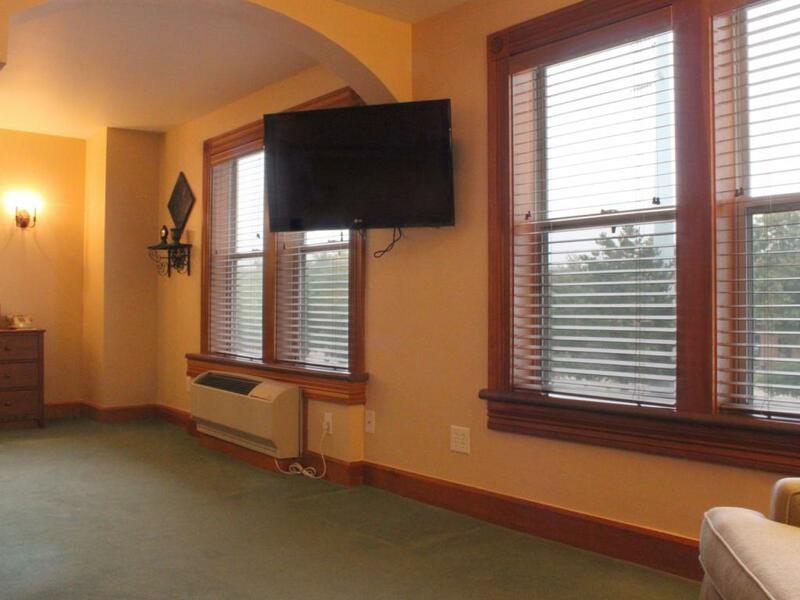 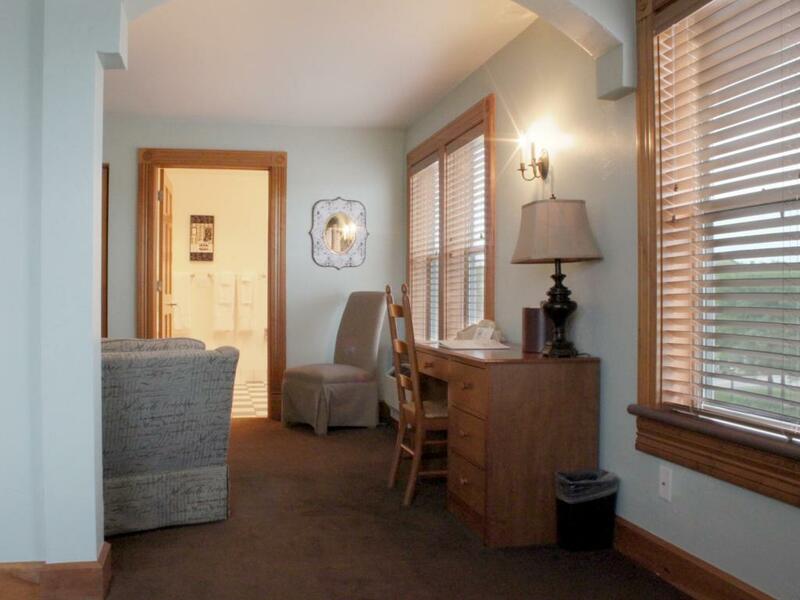 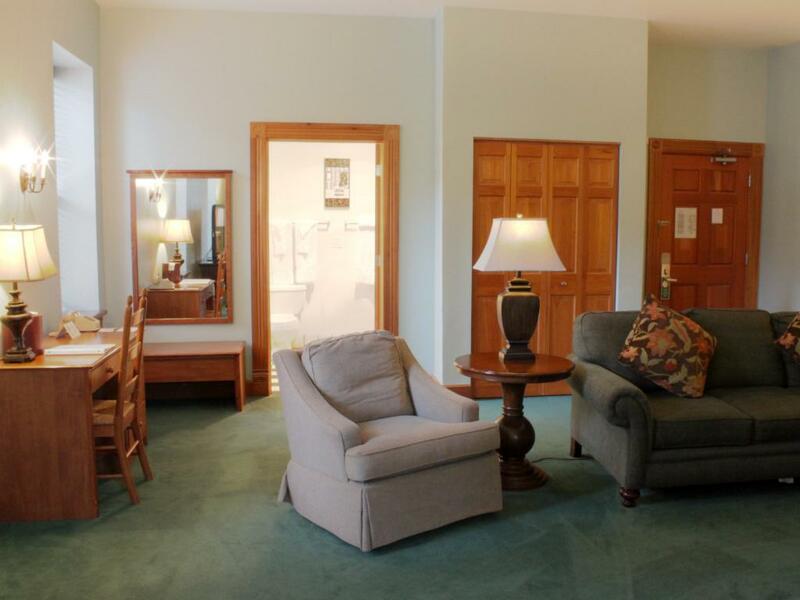 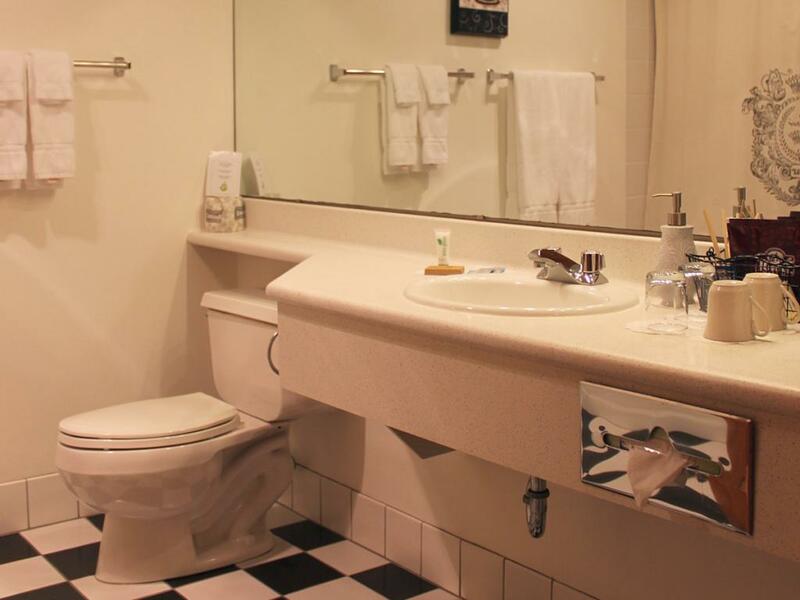 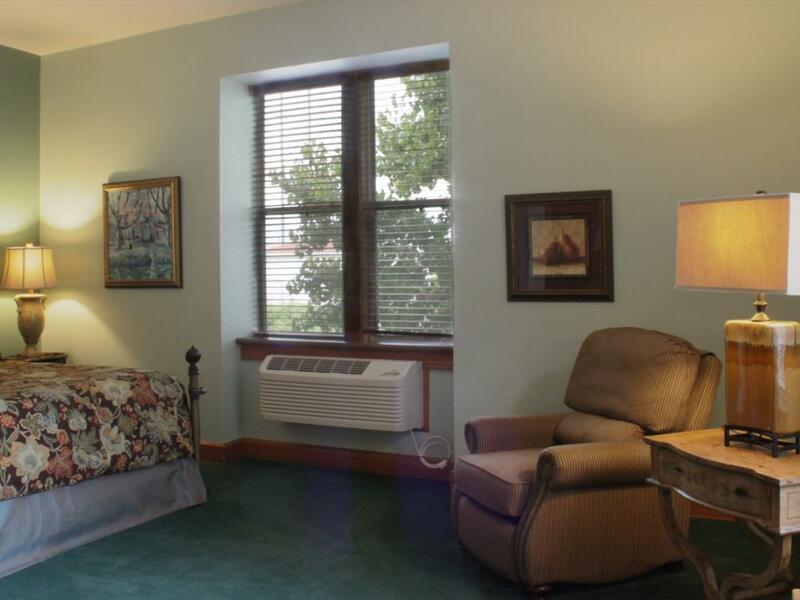 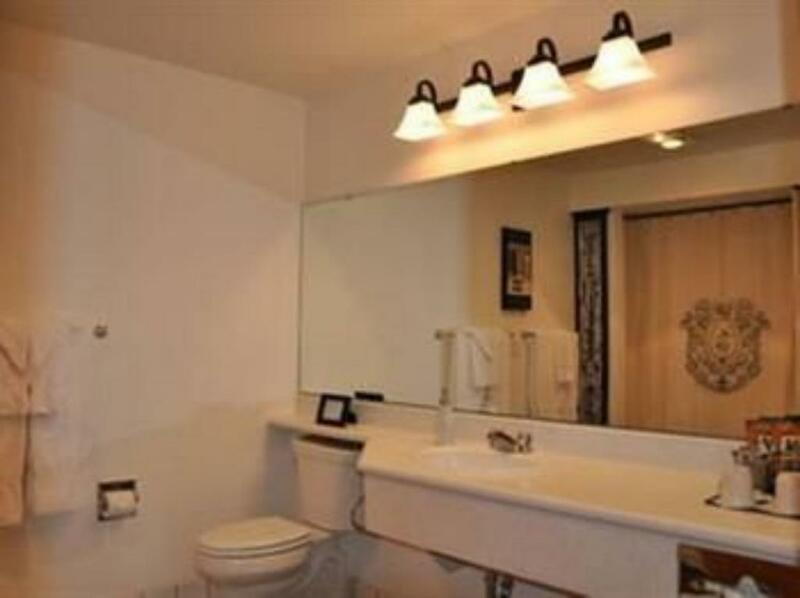 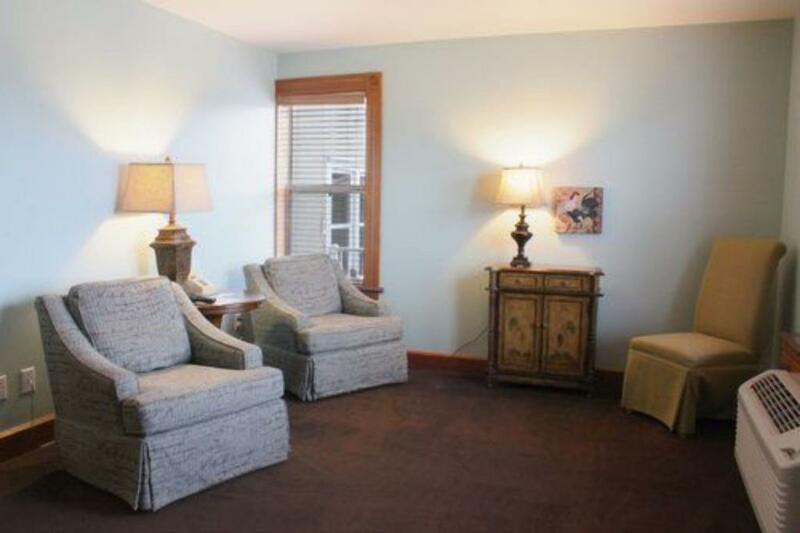 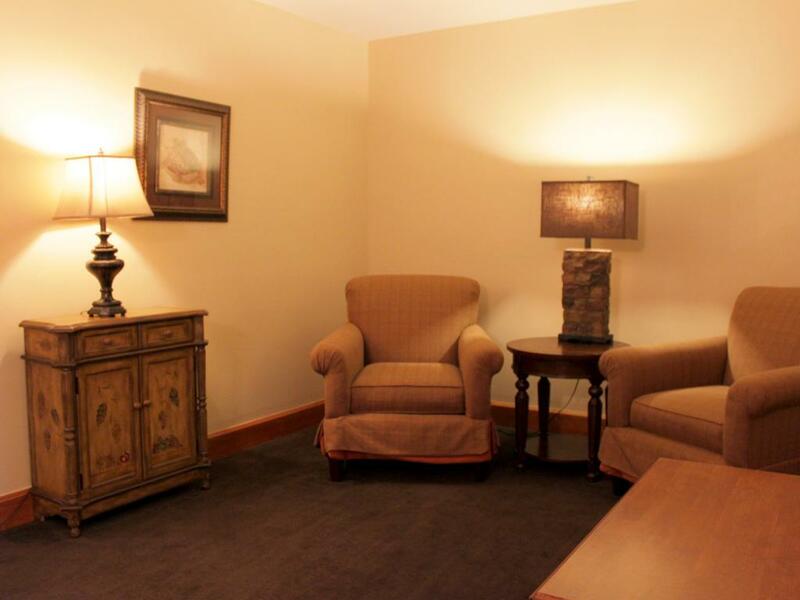 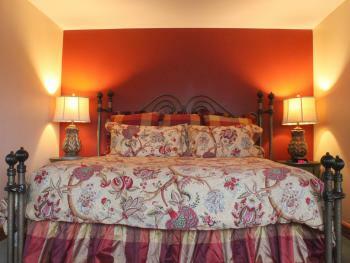 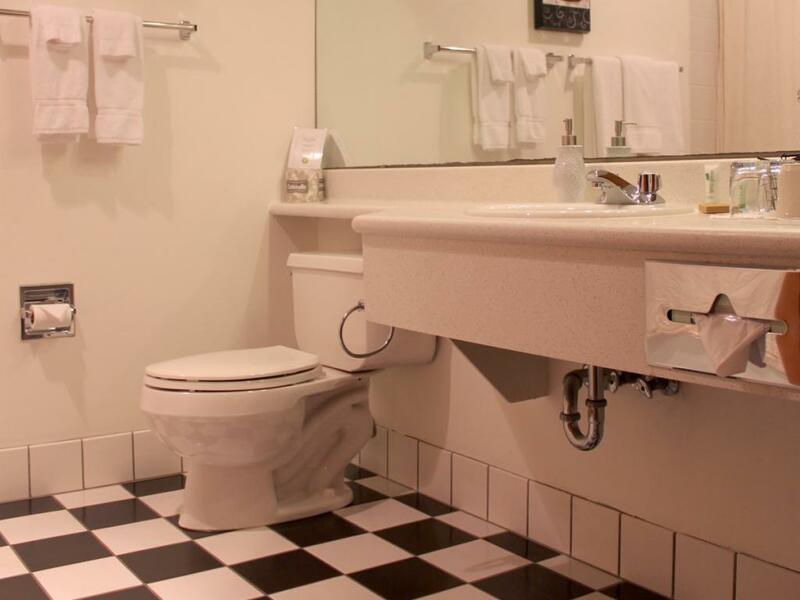 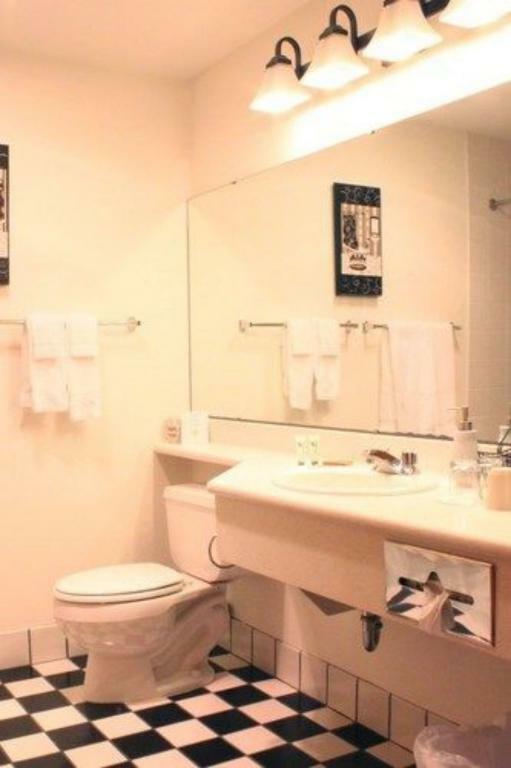 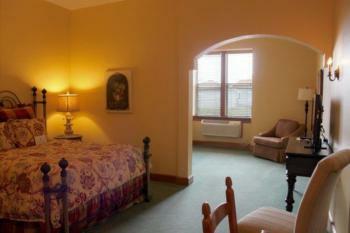 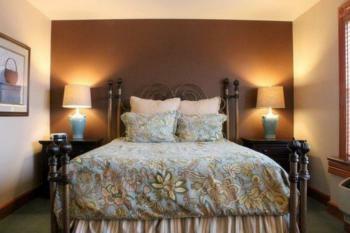 500 sq ft.
King Suite: Features river view, double whirlpool bath, king bed, sofa bed, sitting area and workspace. 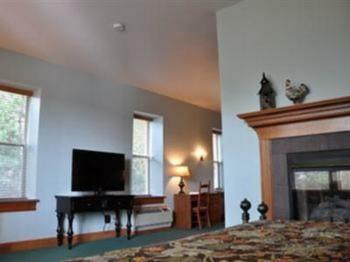 500 sq ft.
Master King Suite: A river view, a king bed,, sitting area with a double fold out sofabed, gas fireplace, double whirlpool bath. 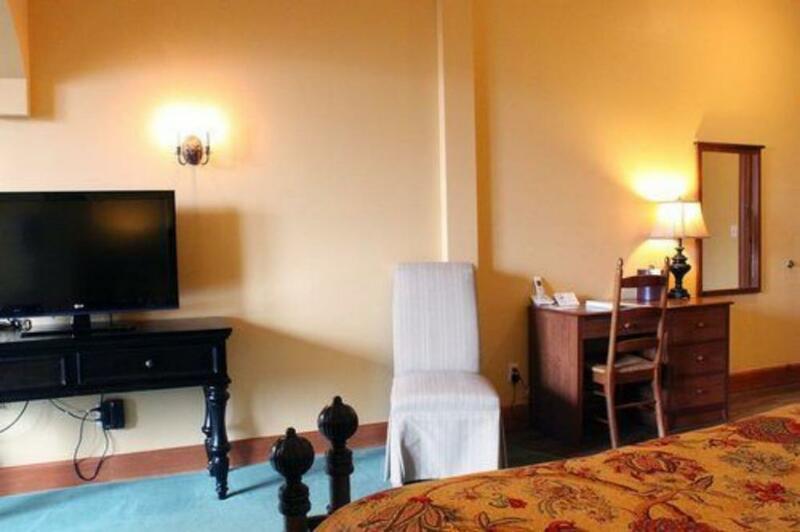 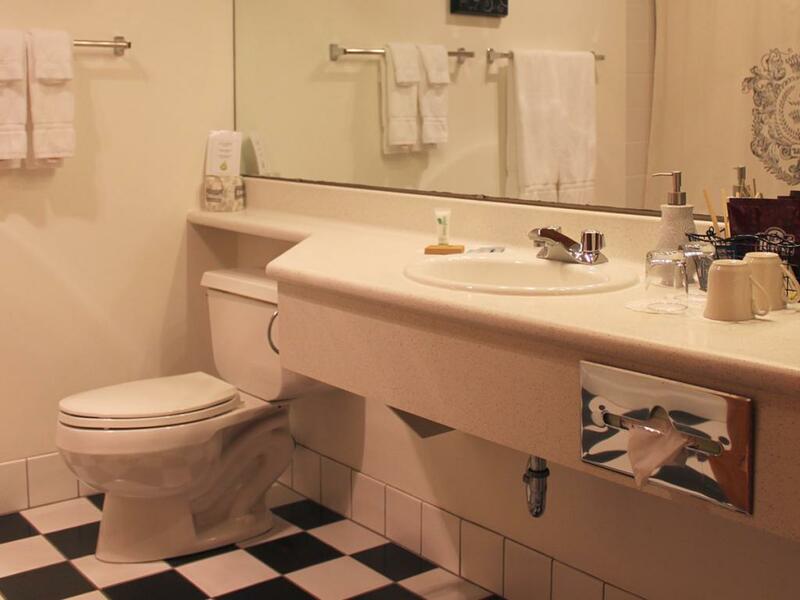 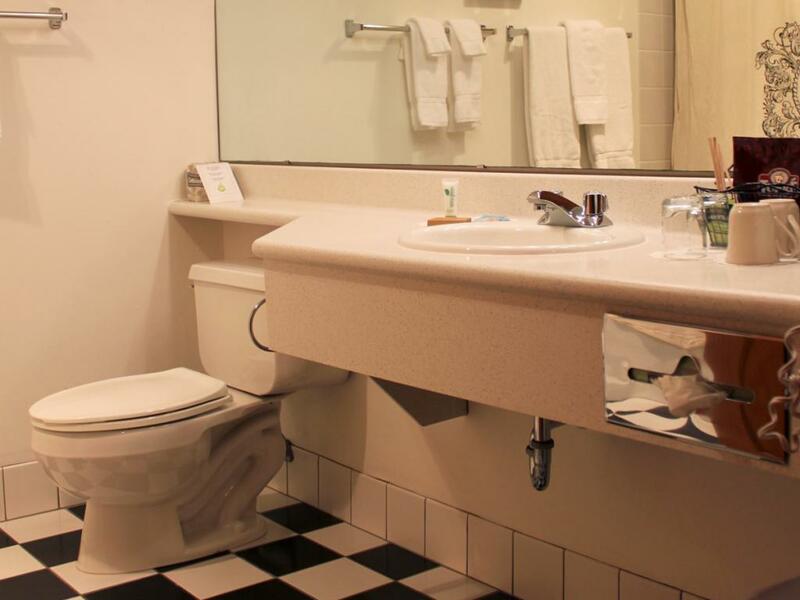 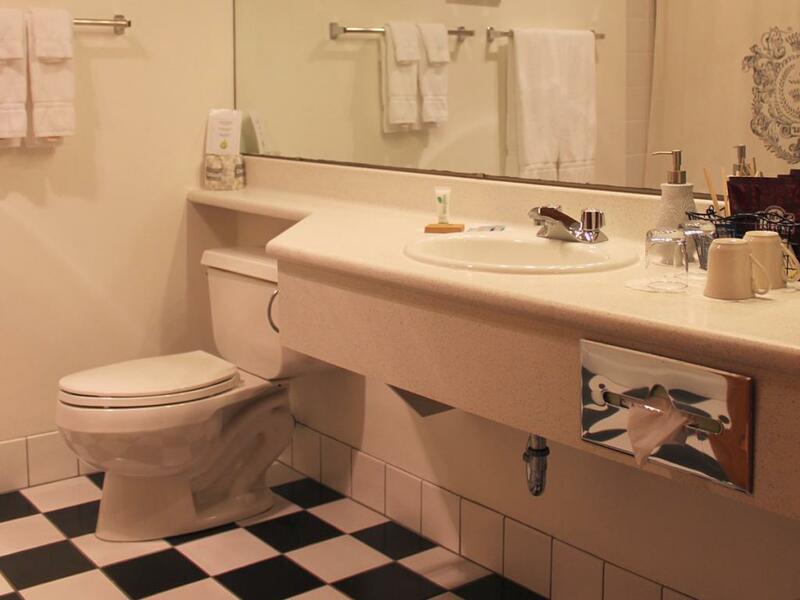 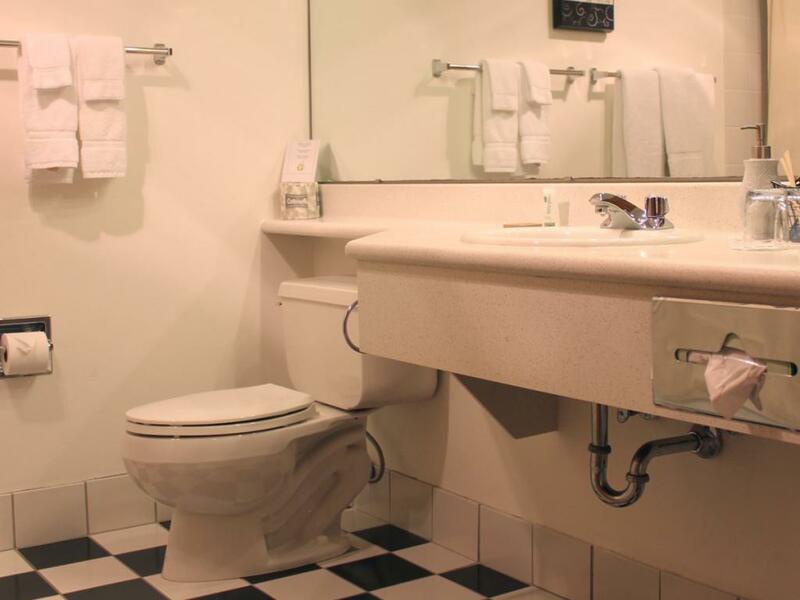 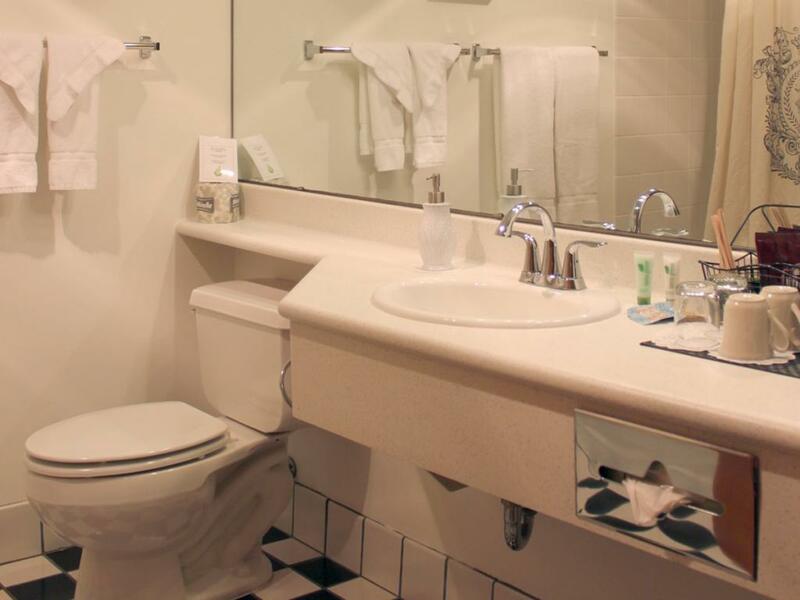 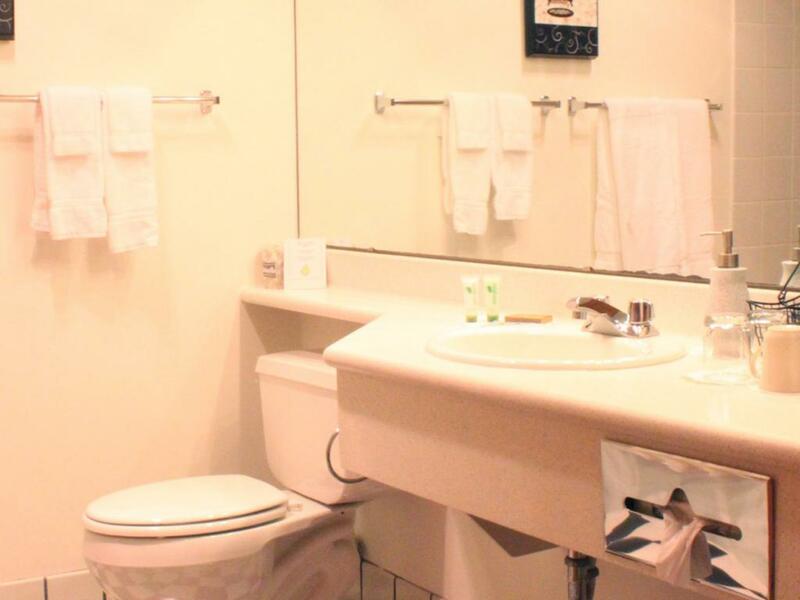 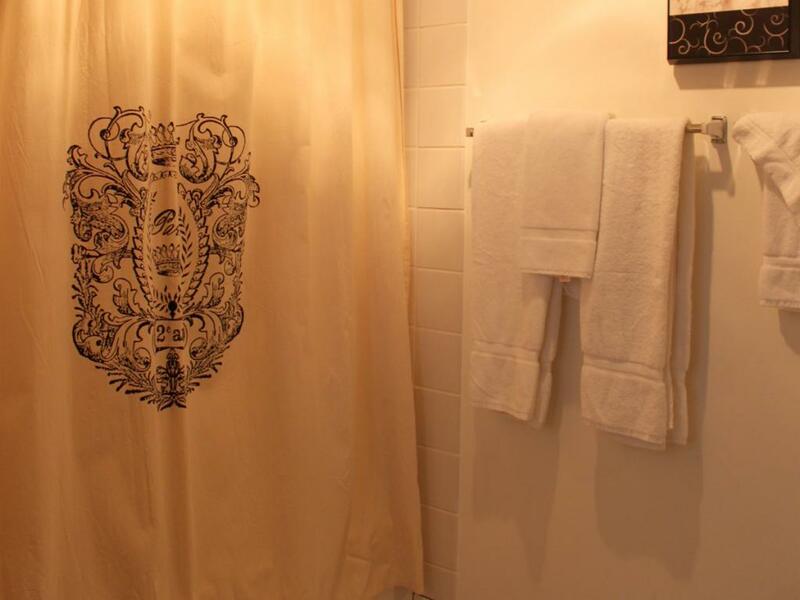 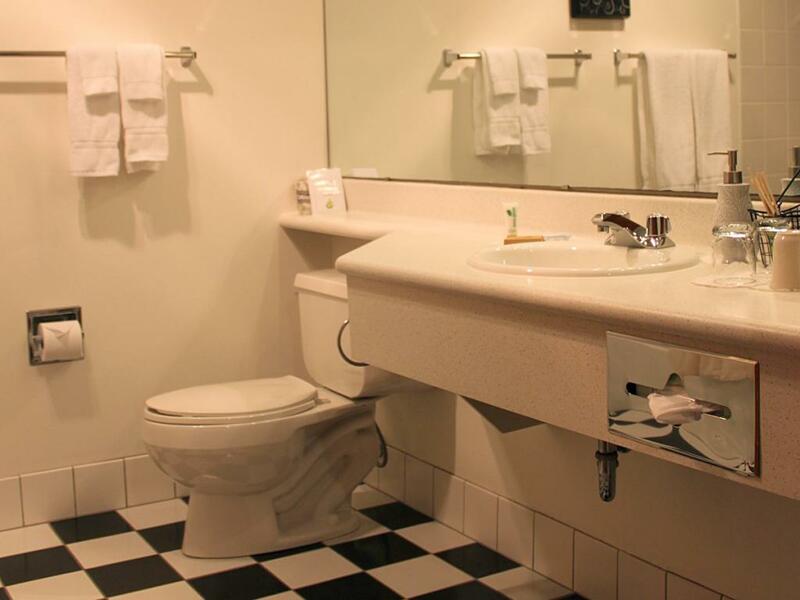 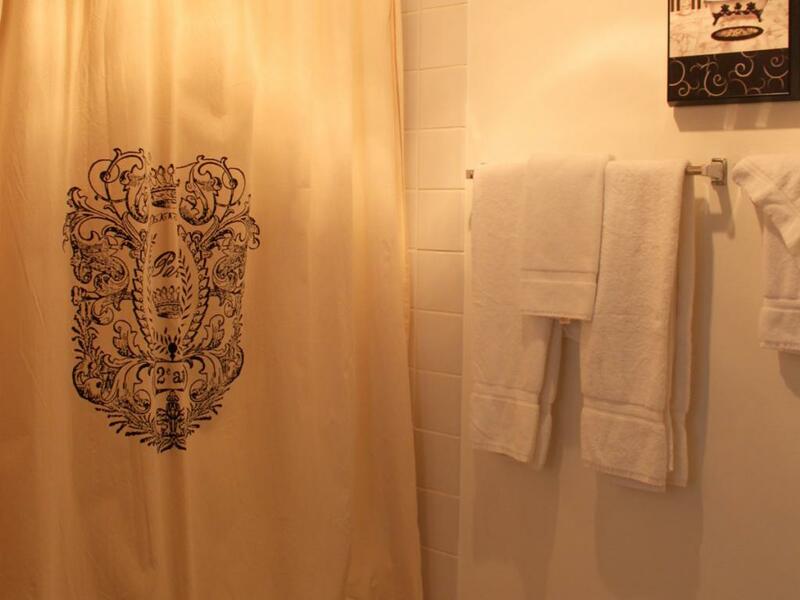 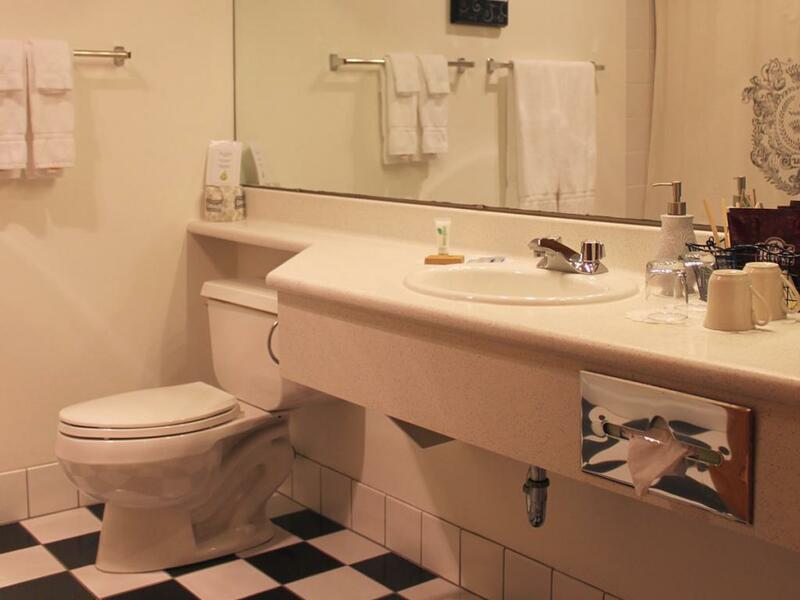 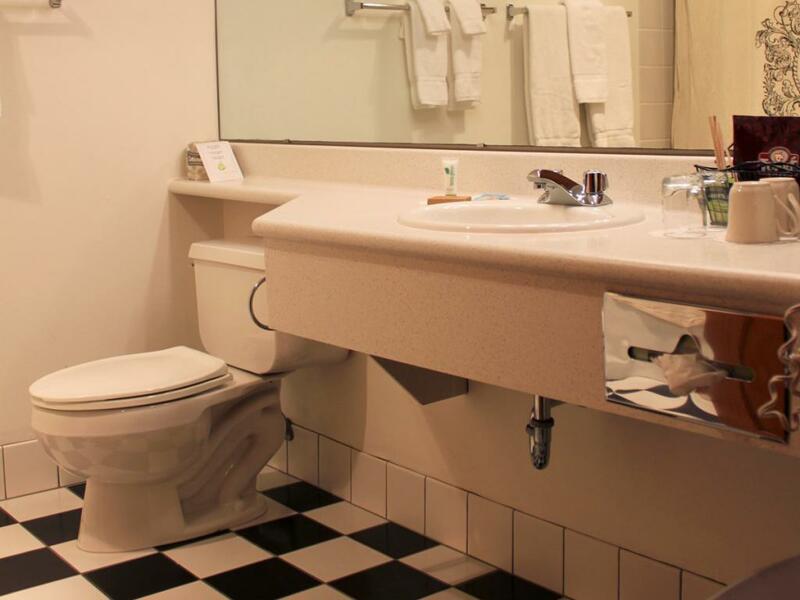 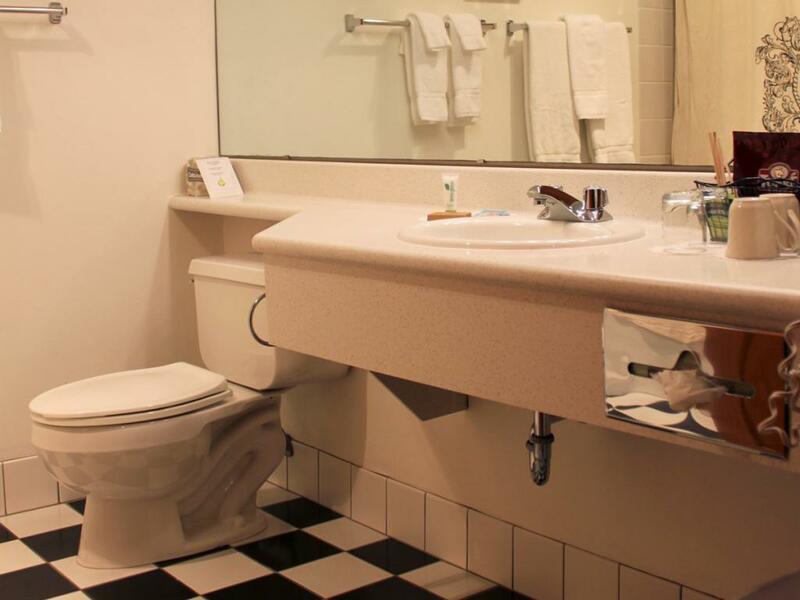 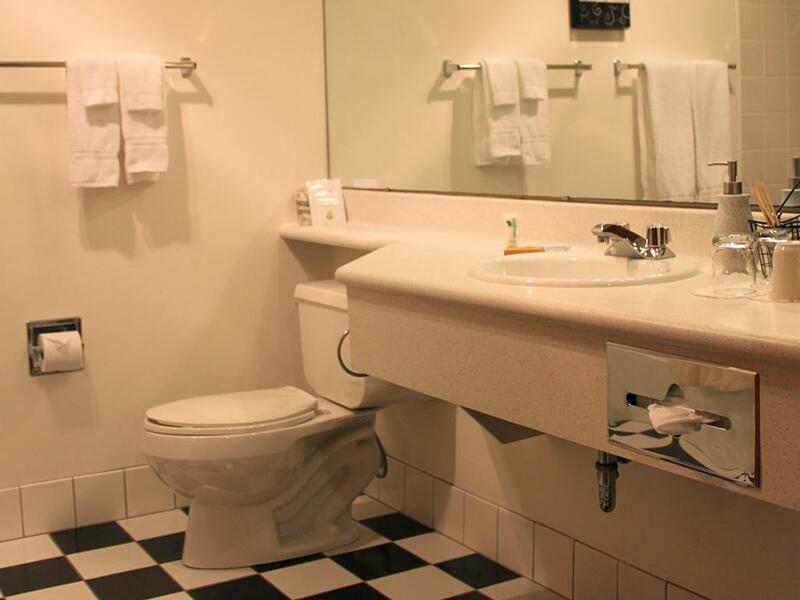 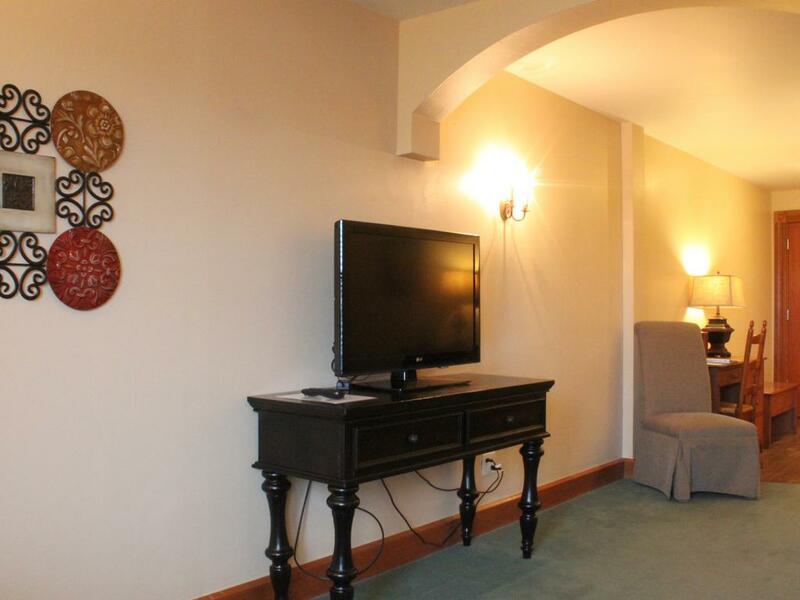 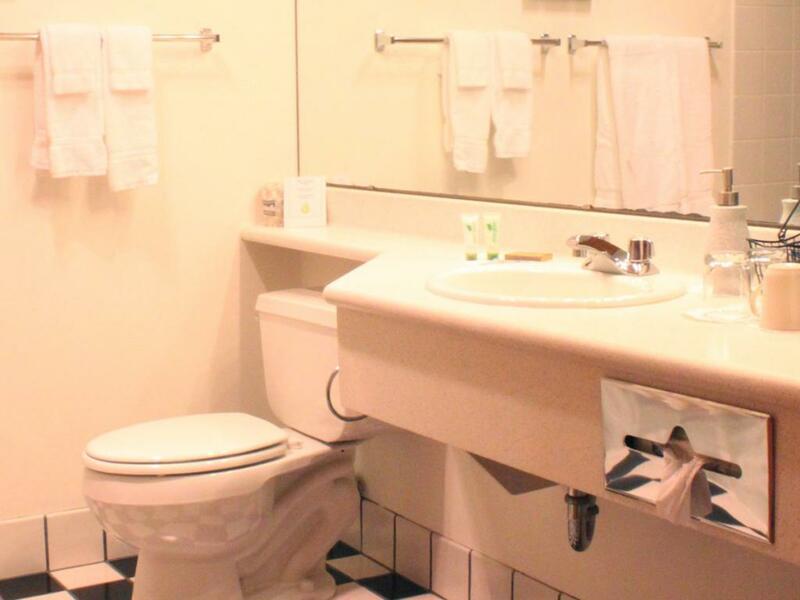 Can adjoin to the deluxe queen rooms 208 and 308. 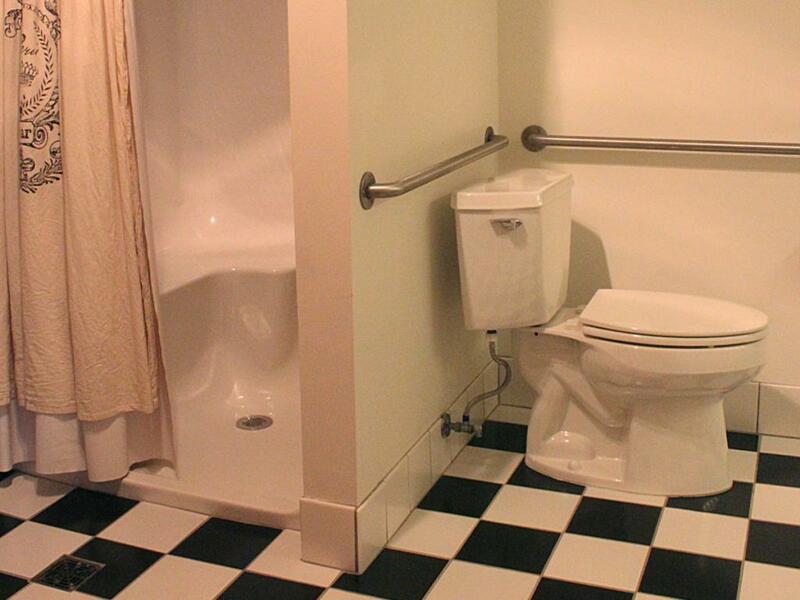 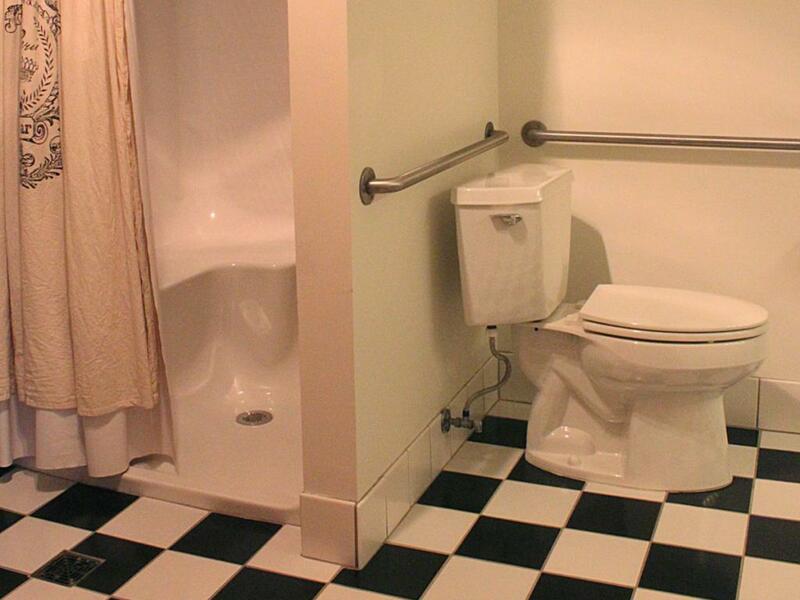 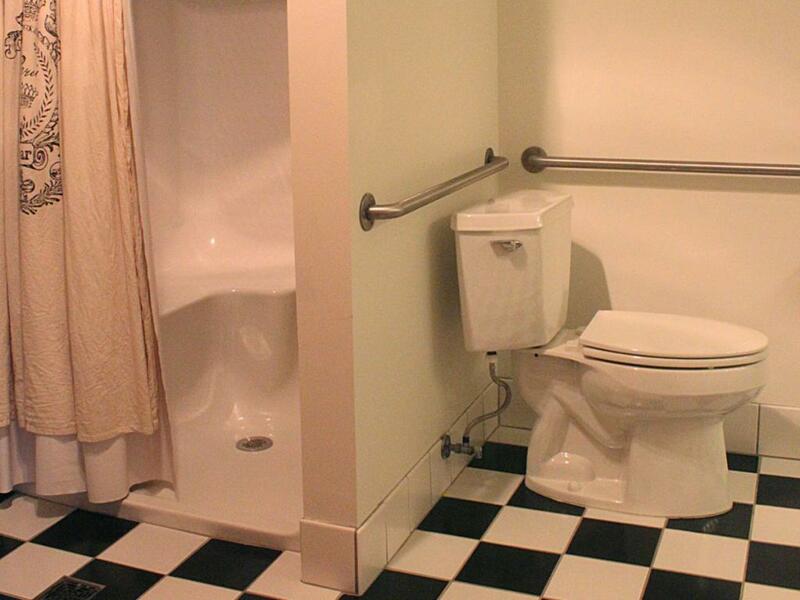 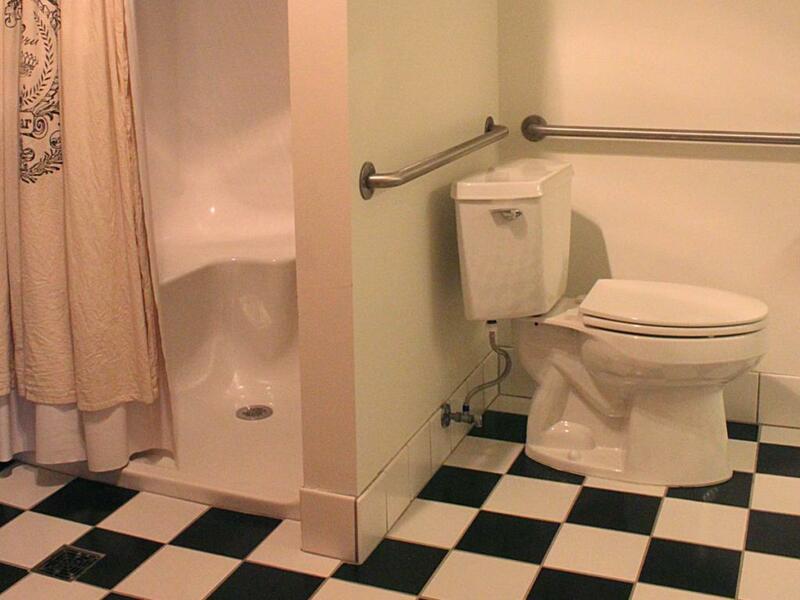 650sq feet. 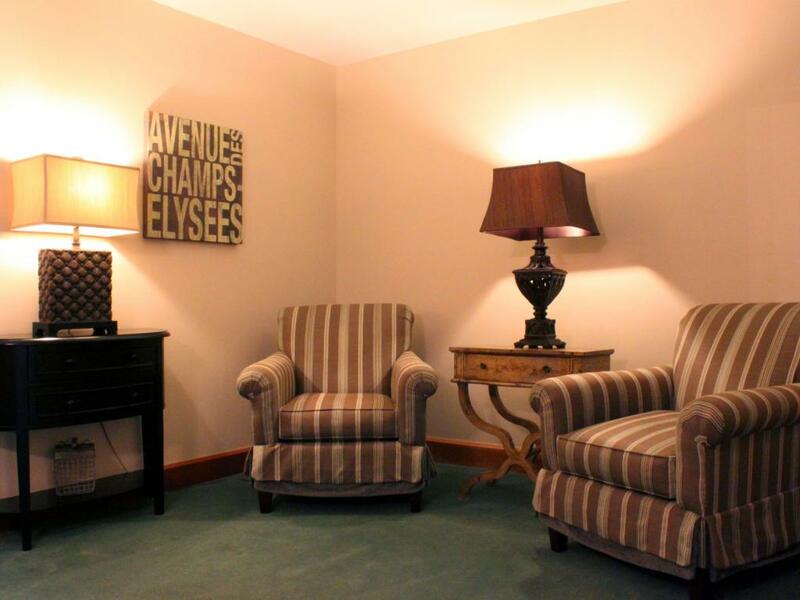 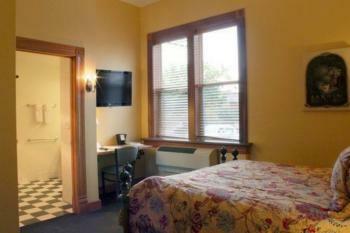 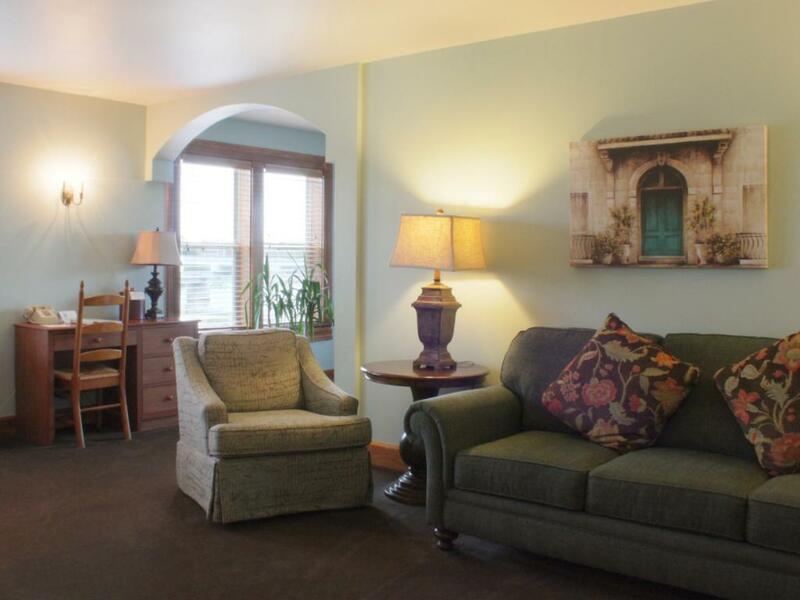 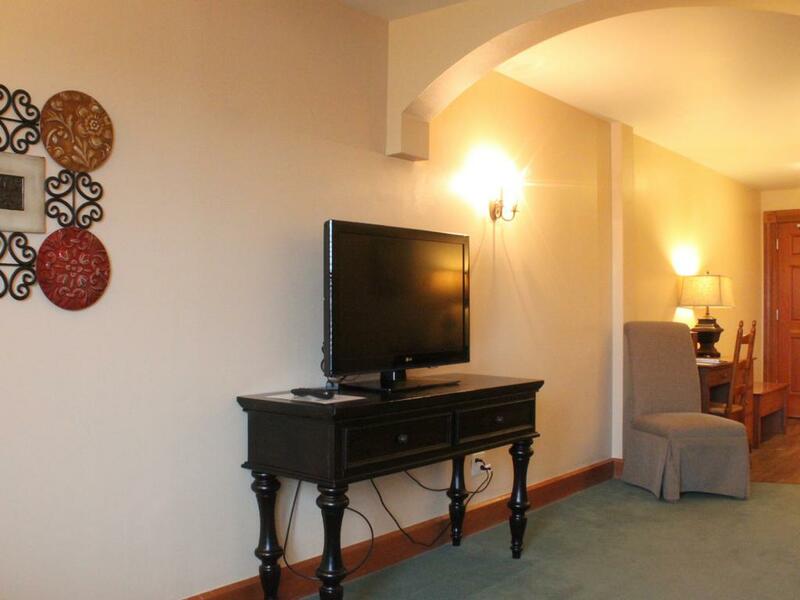 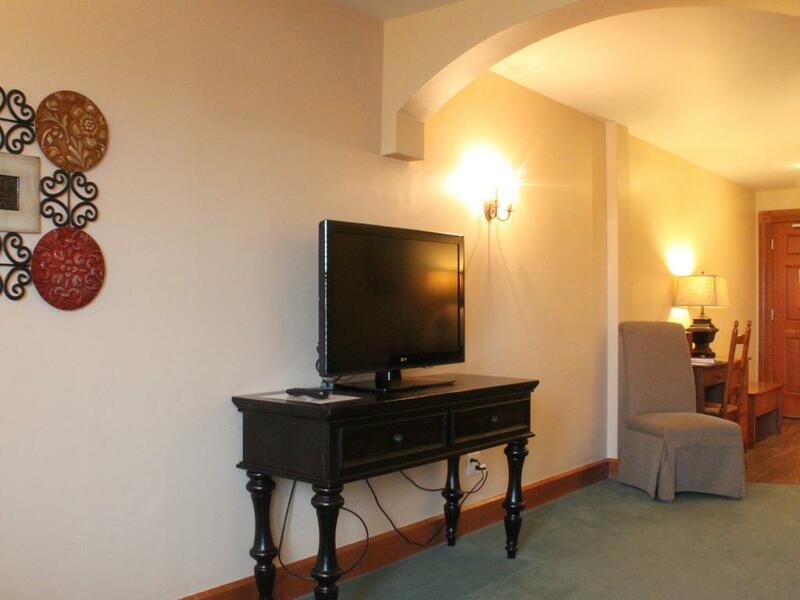 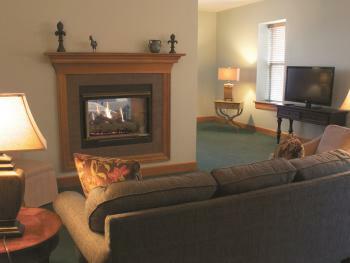 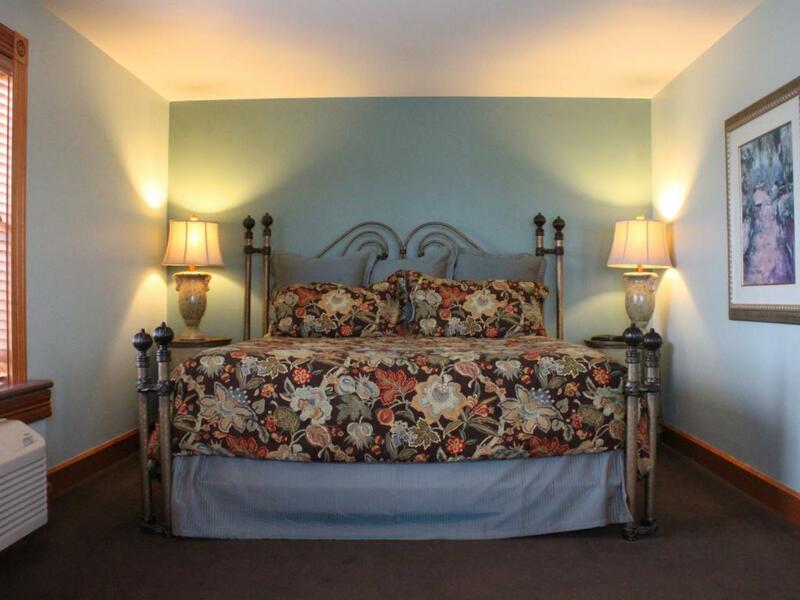 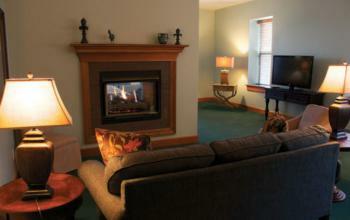 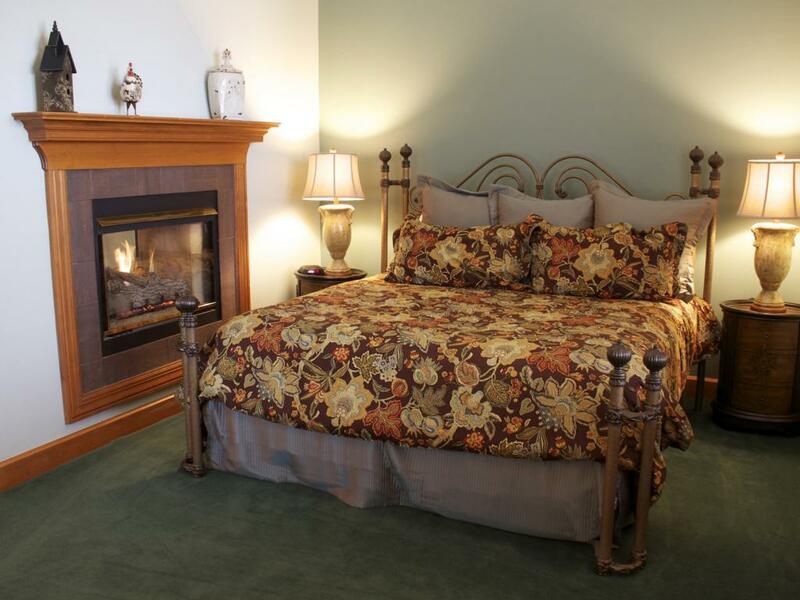 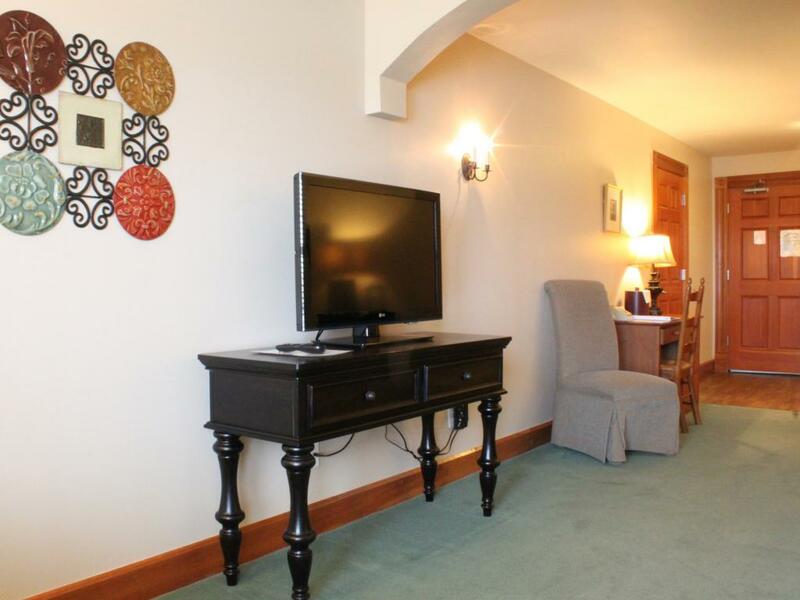 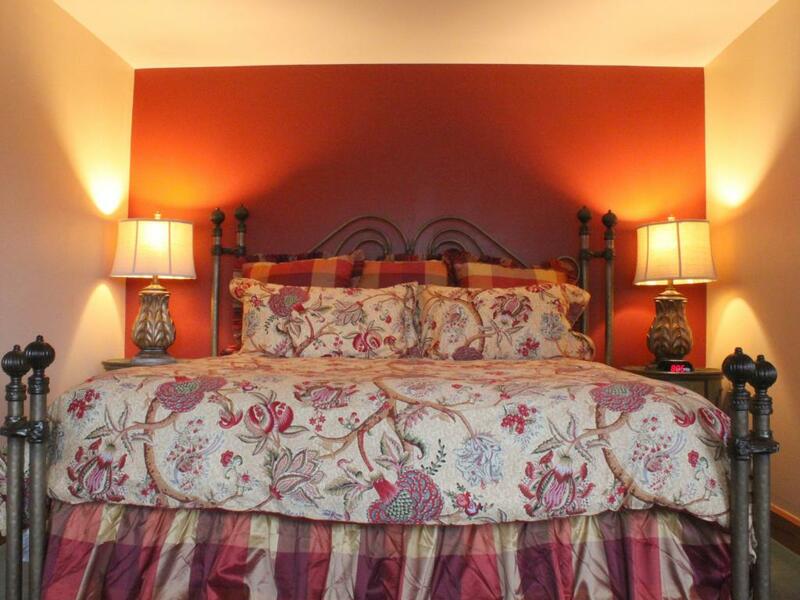 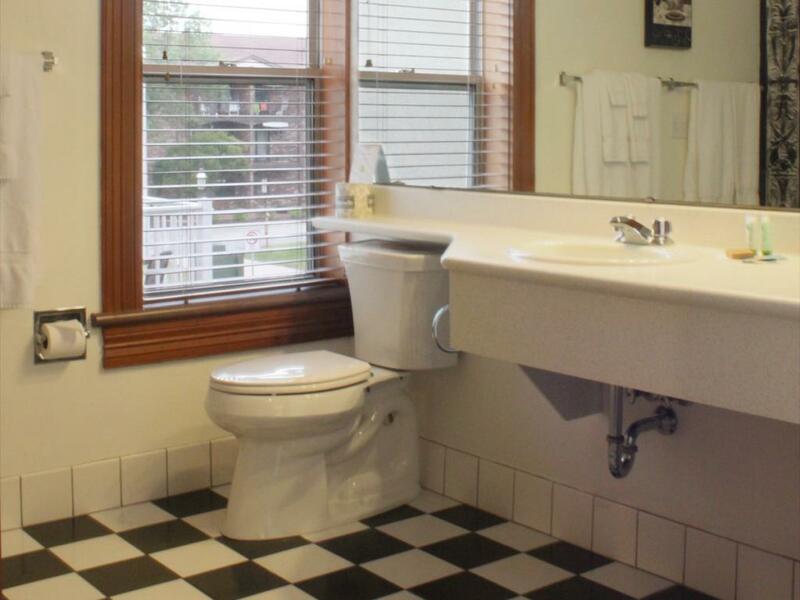 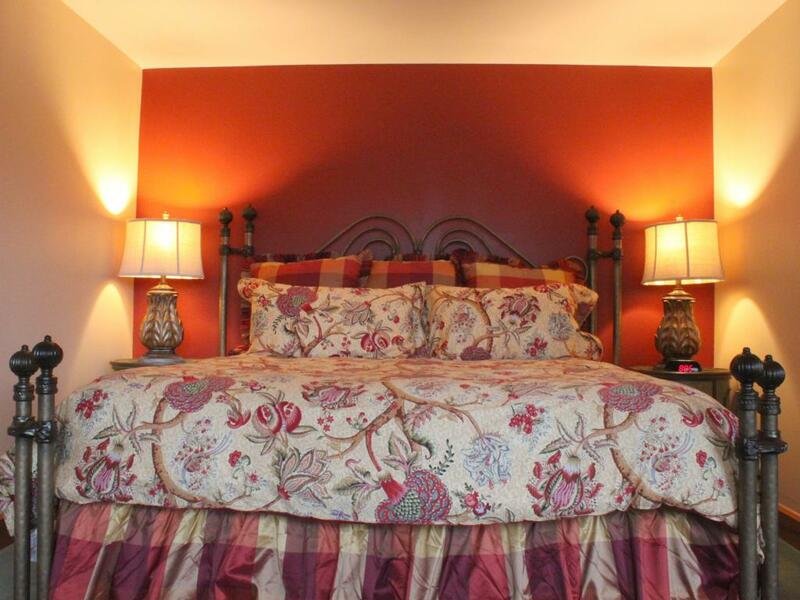 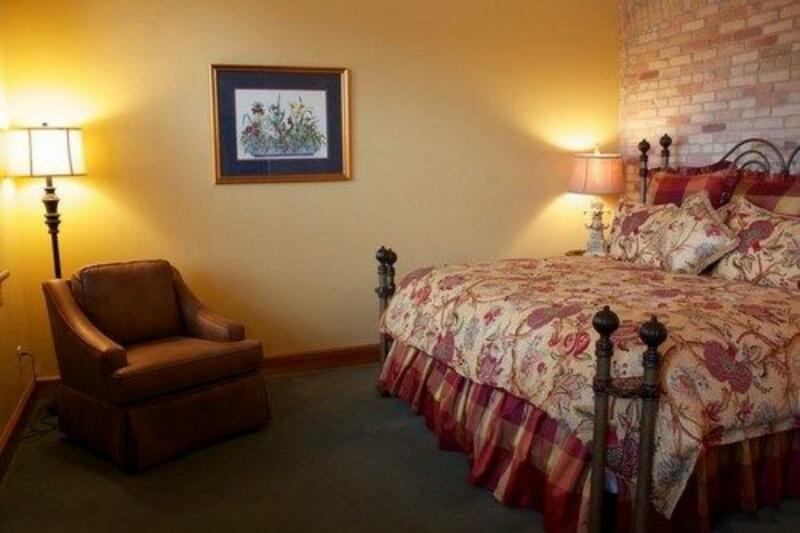 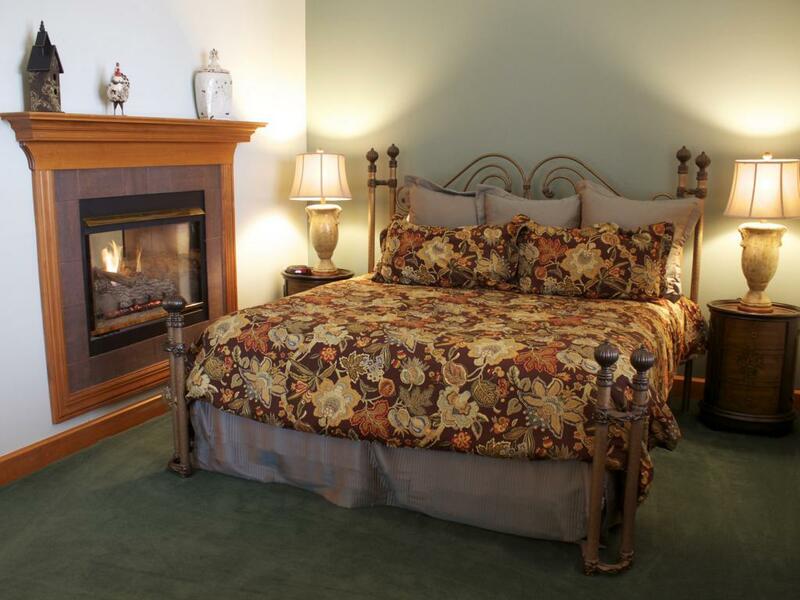 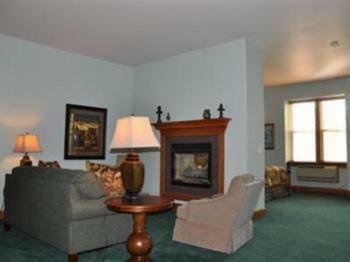 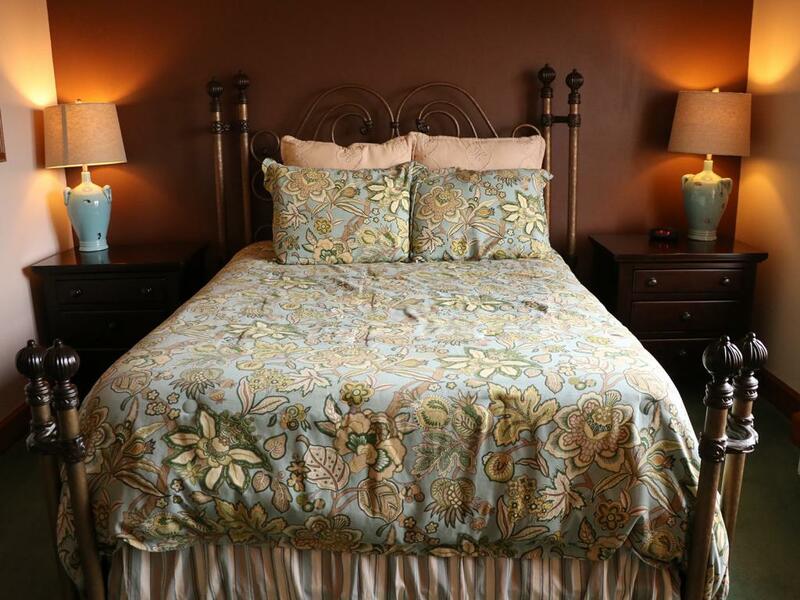 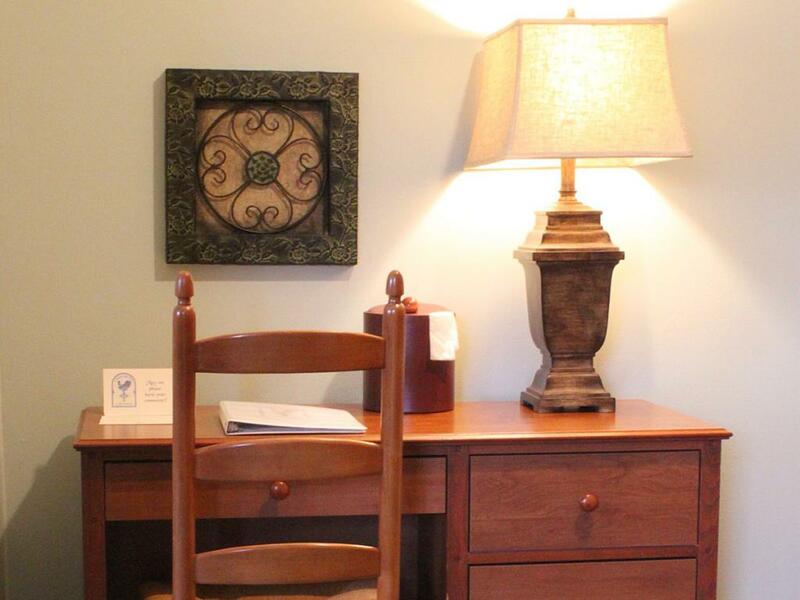 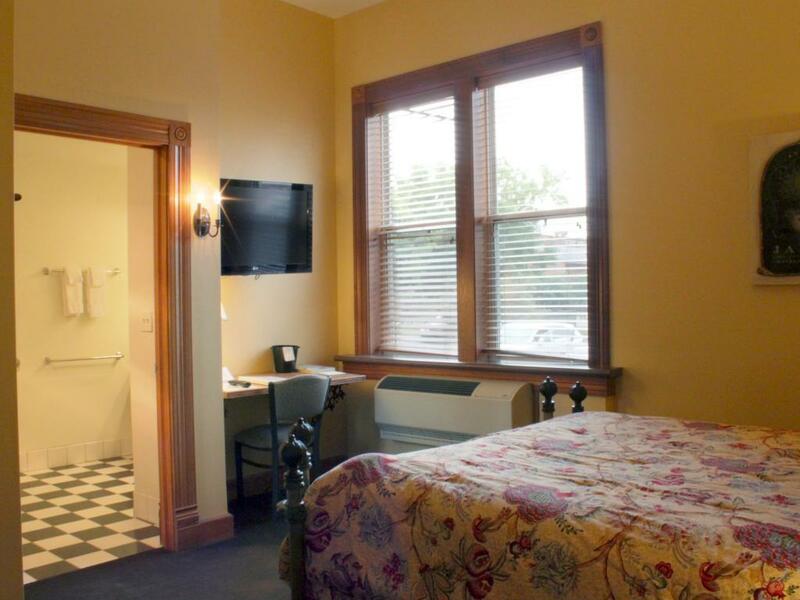 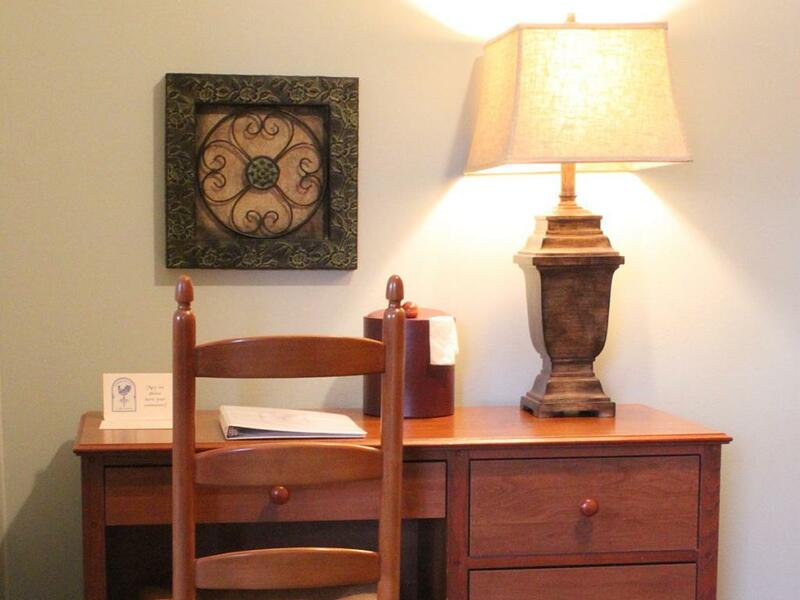 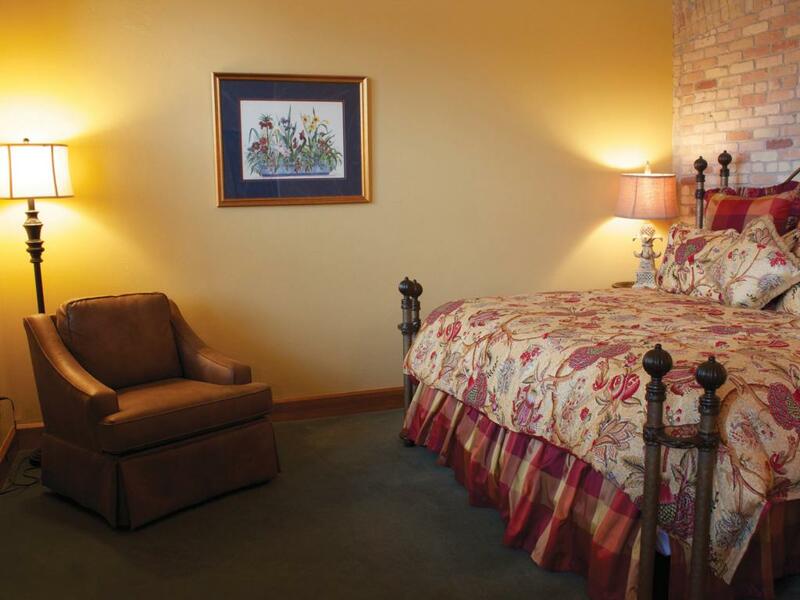 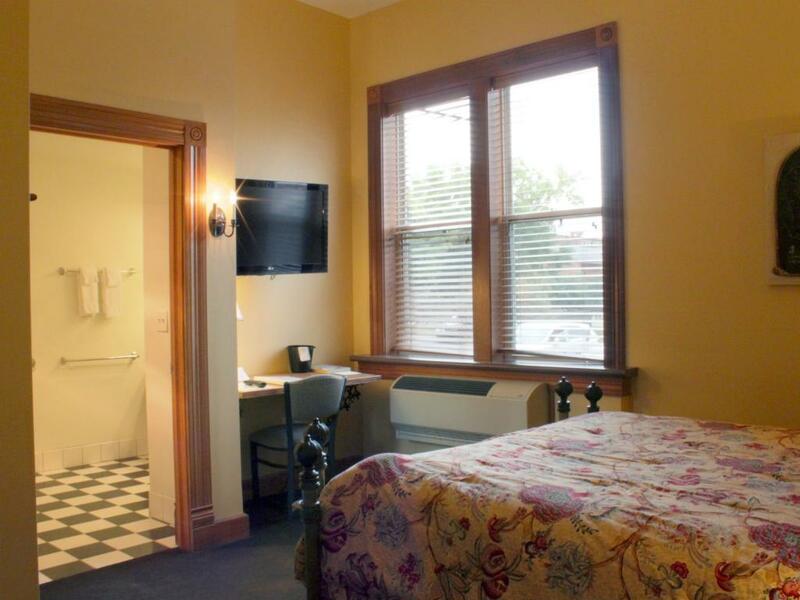 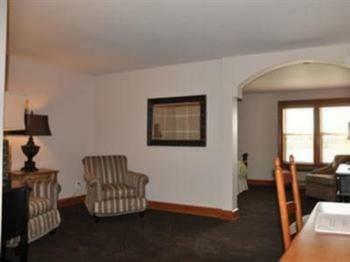 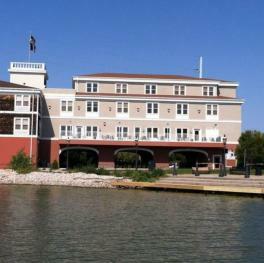 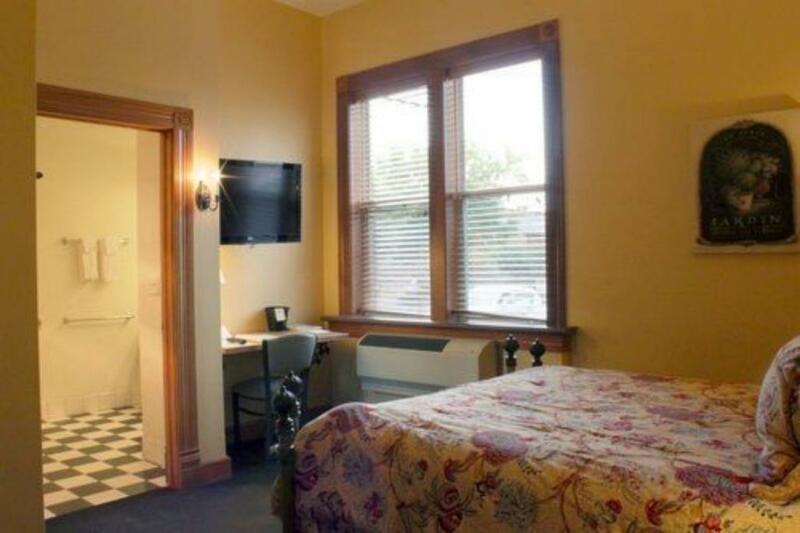 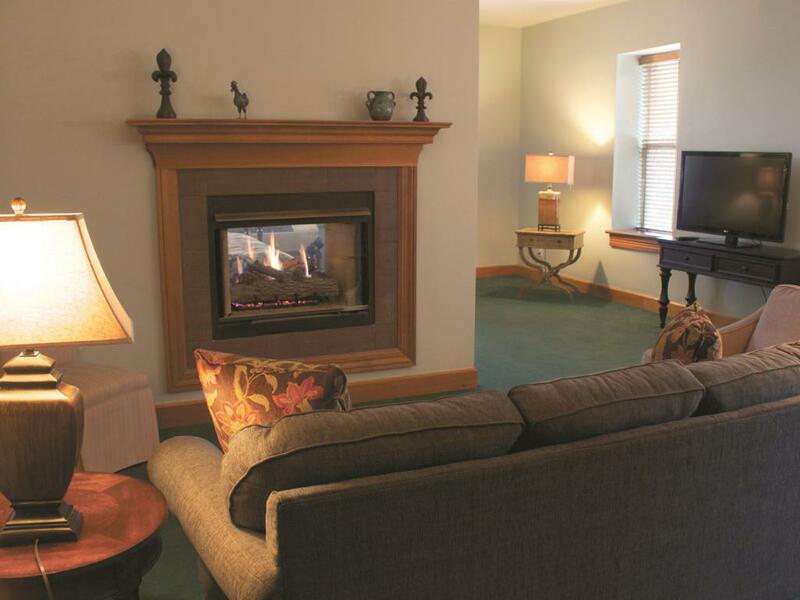 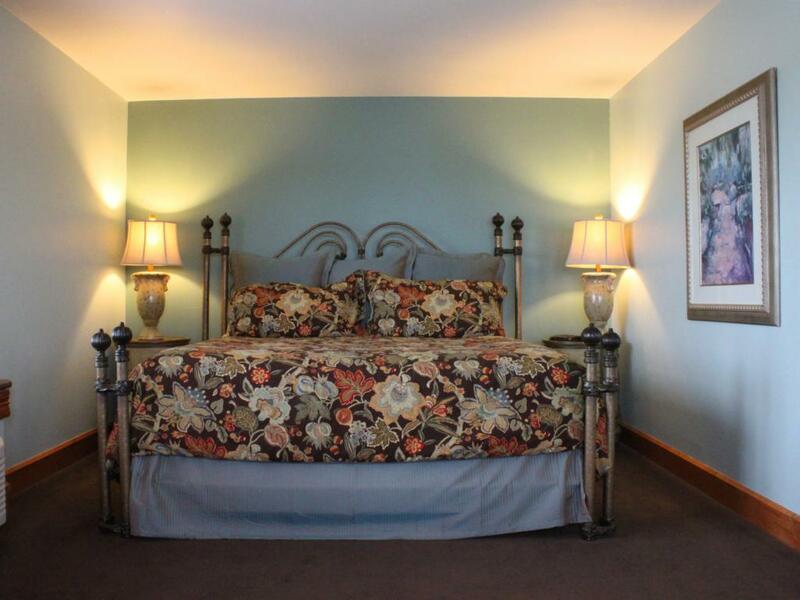 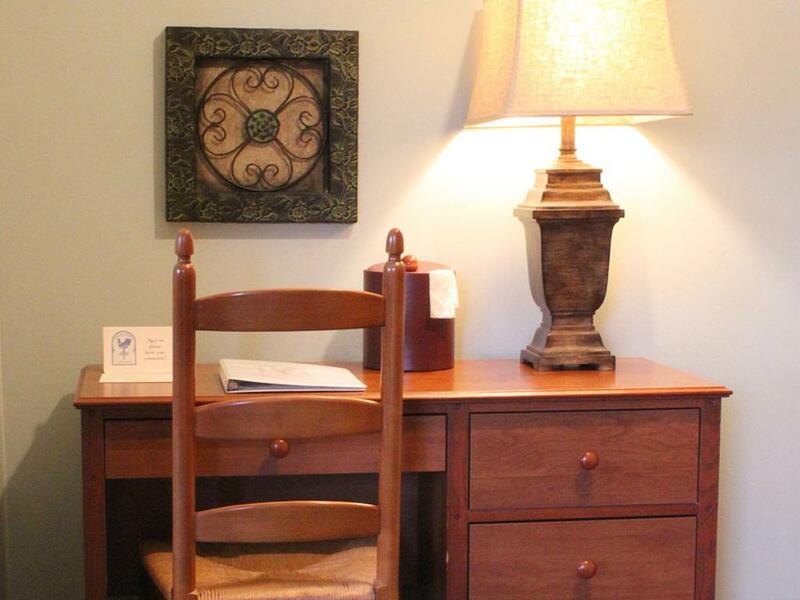 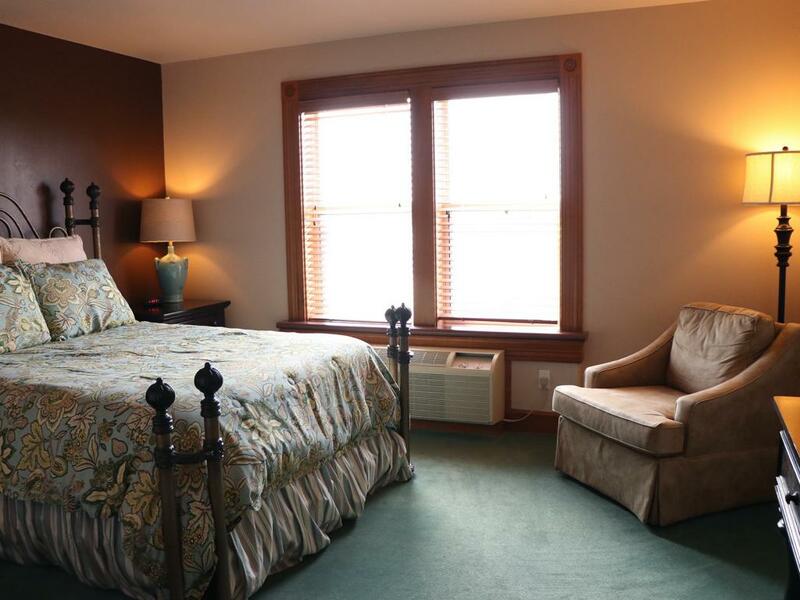 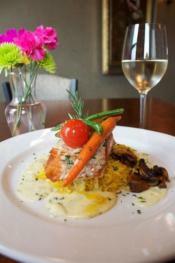 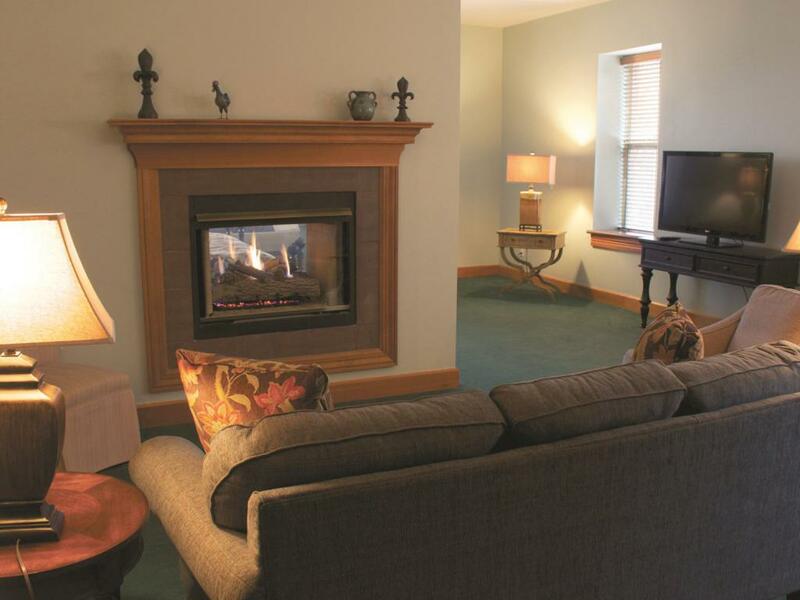 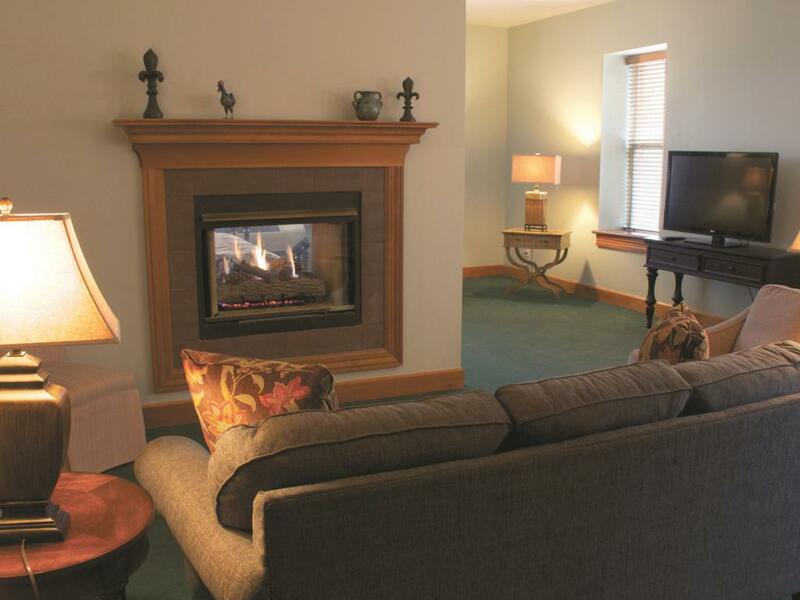 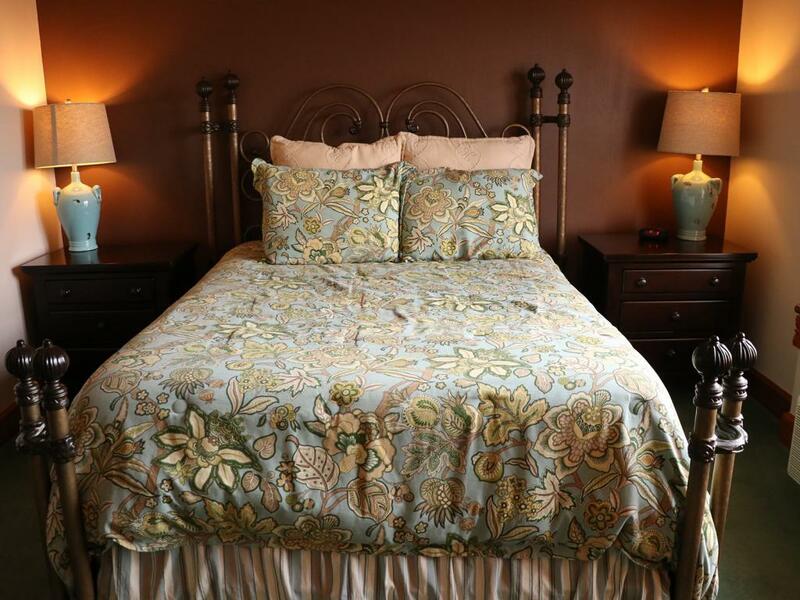 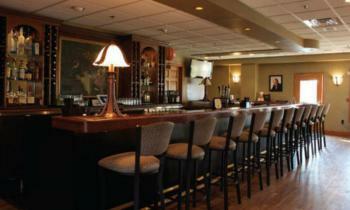 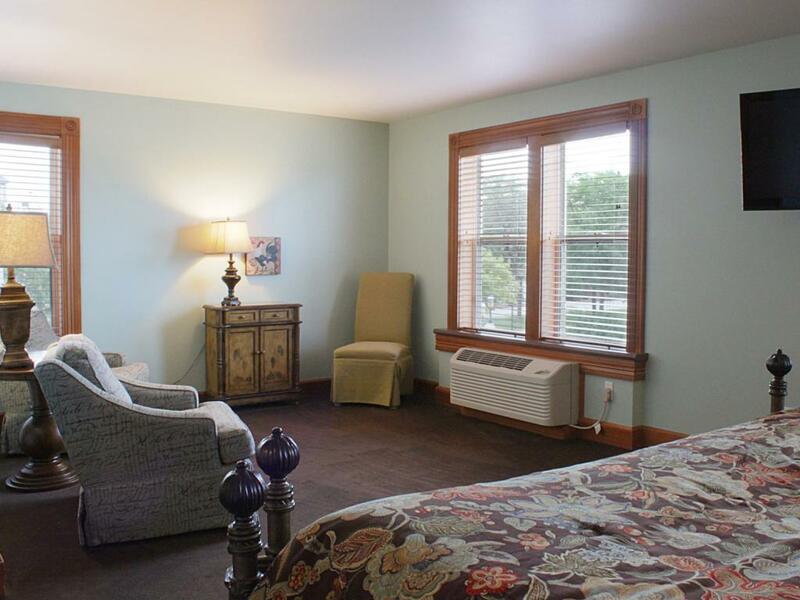 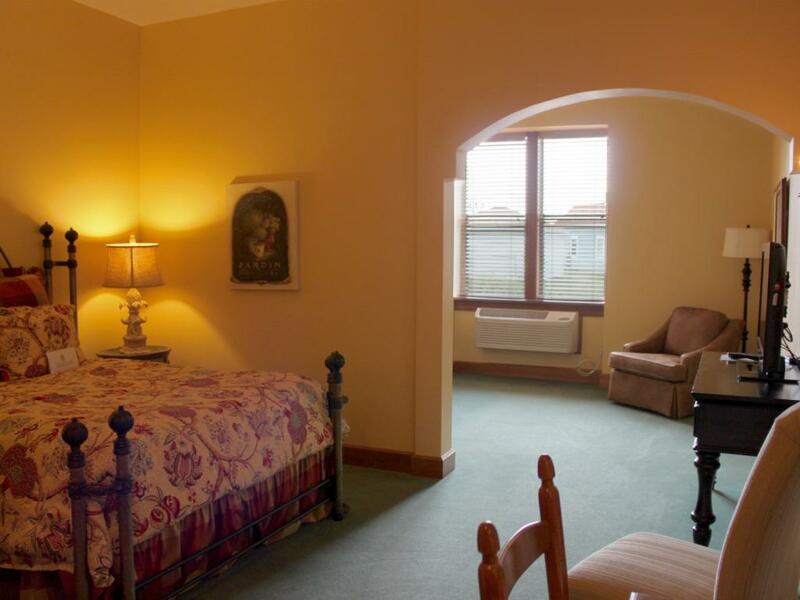 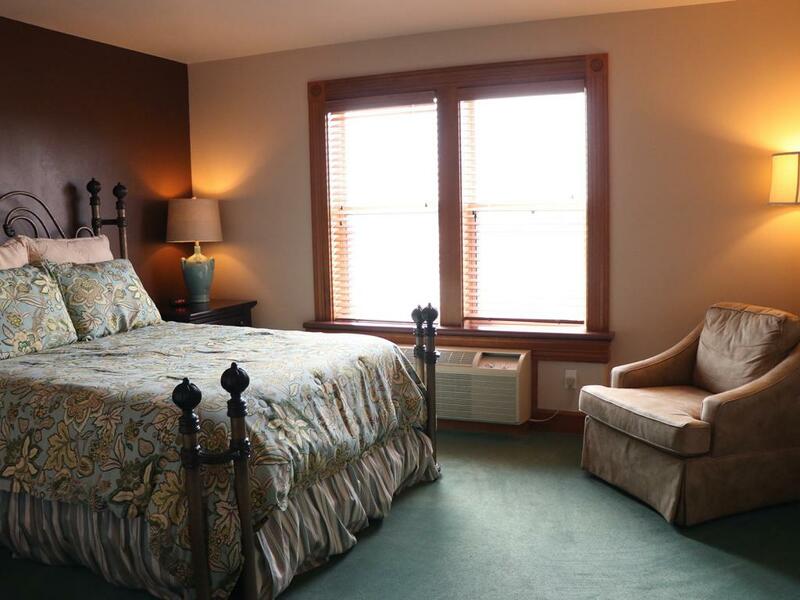 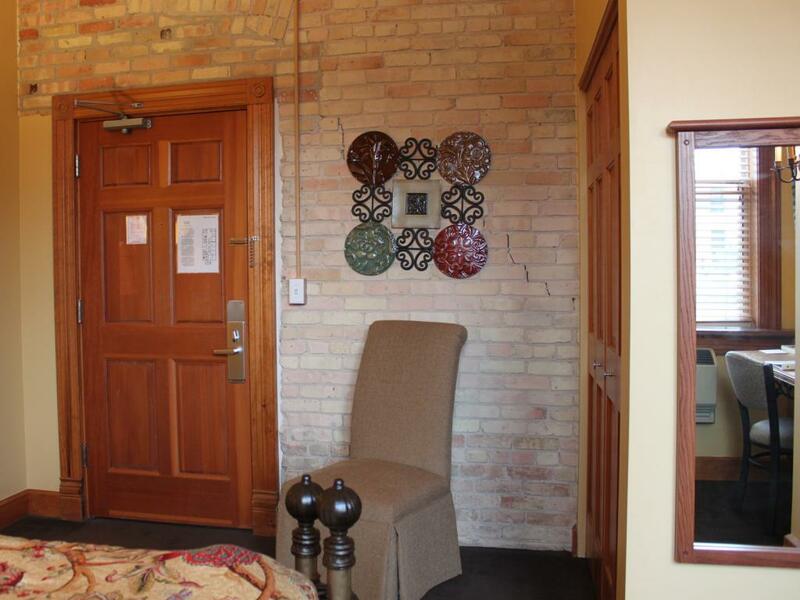 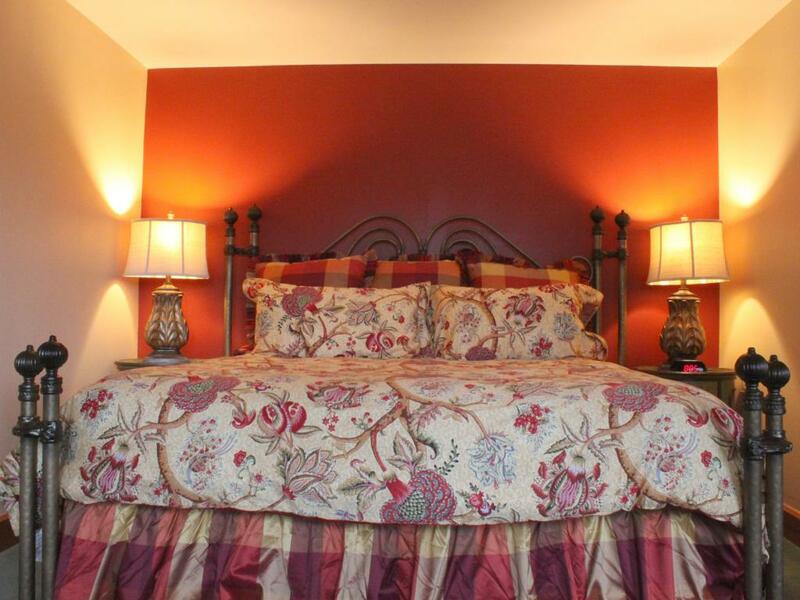 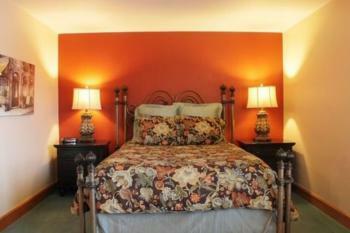 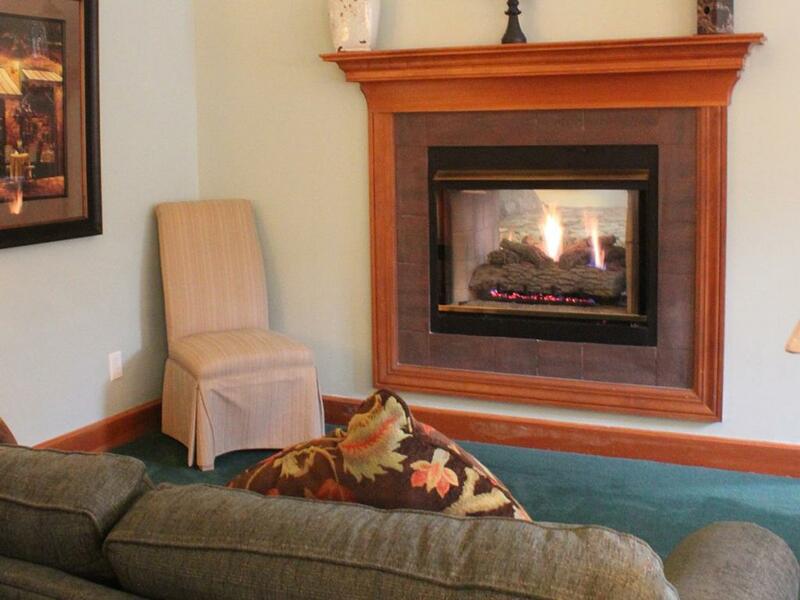 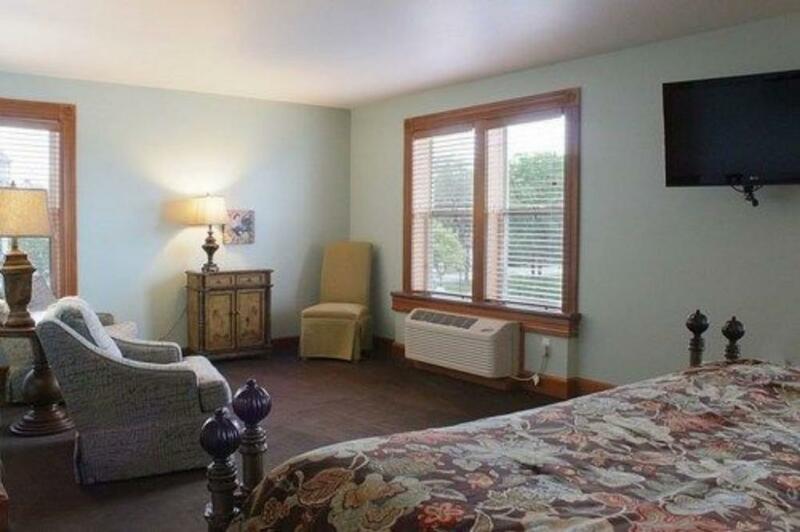 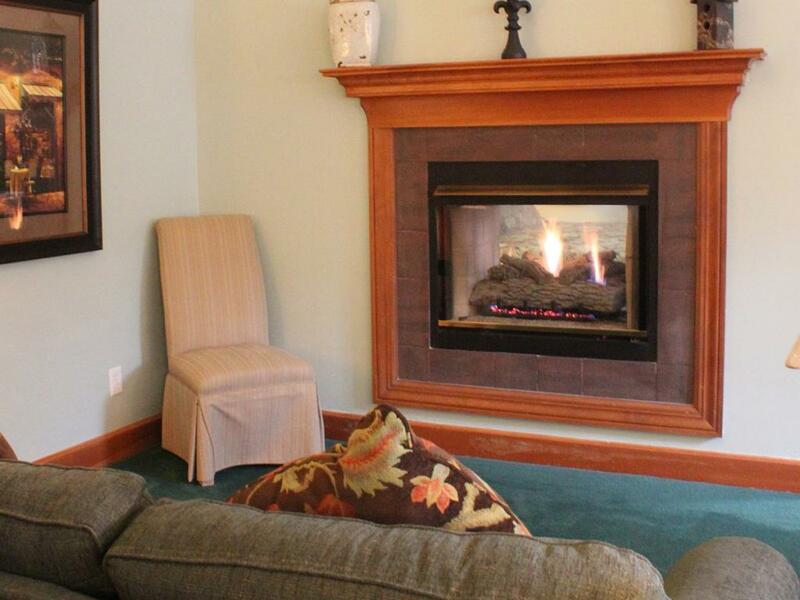 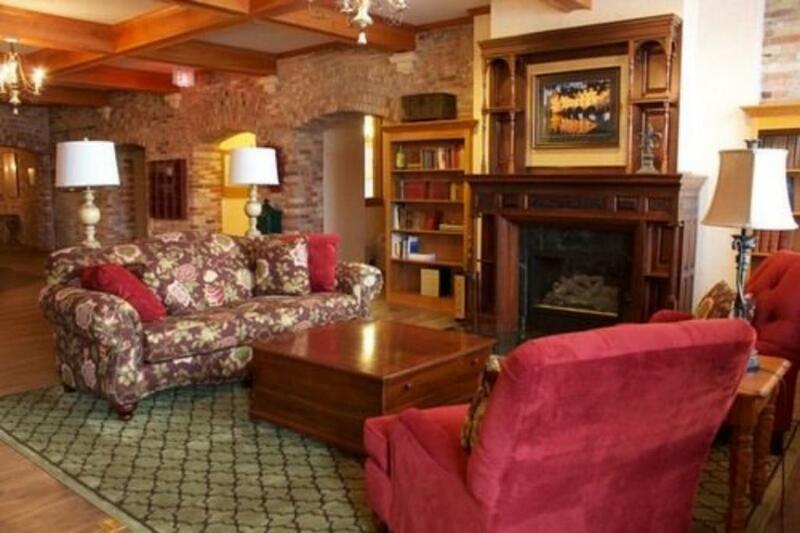 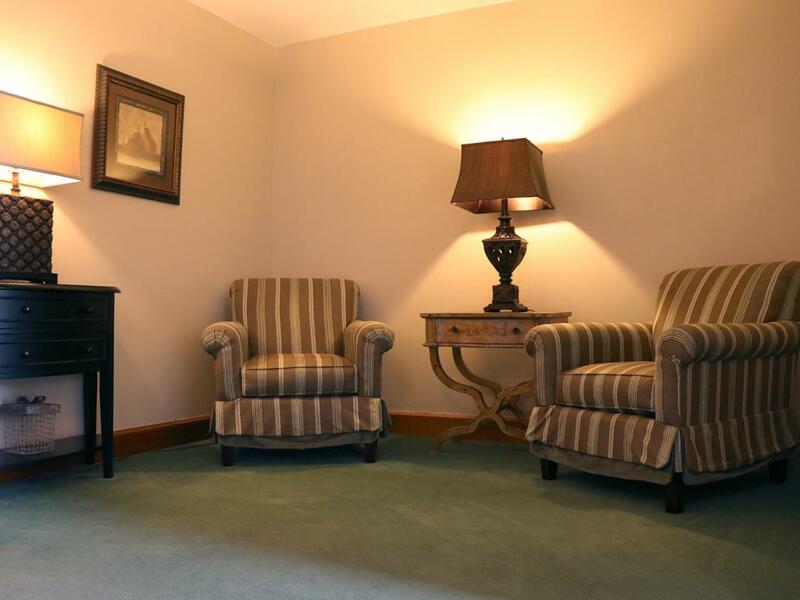 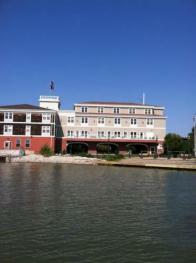 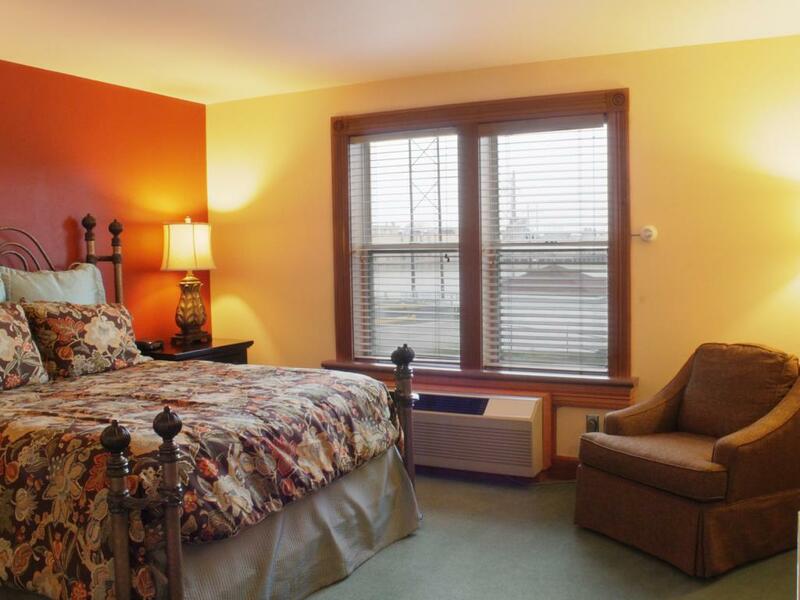 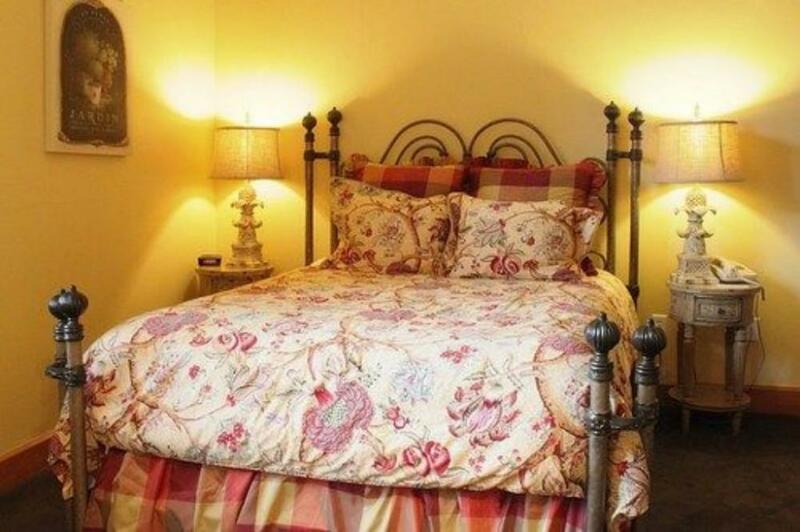 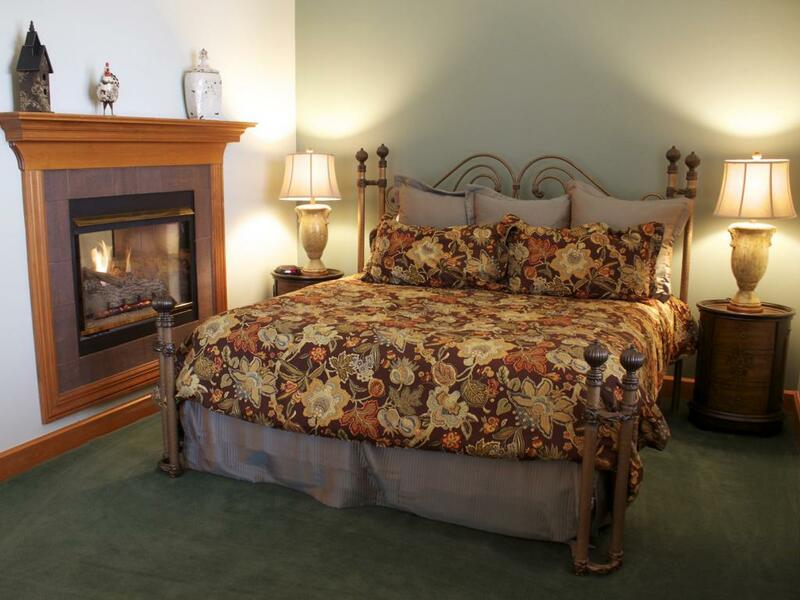 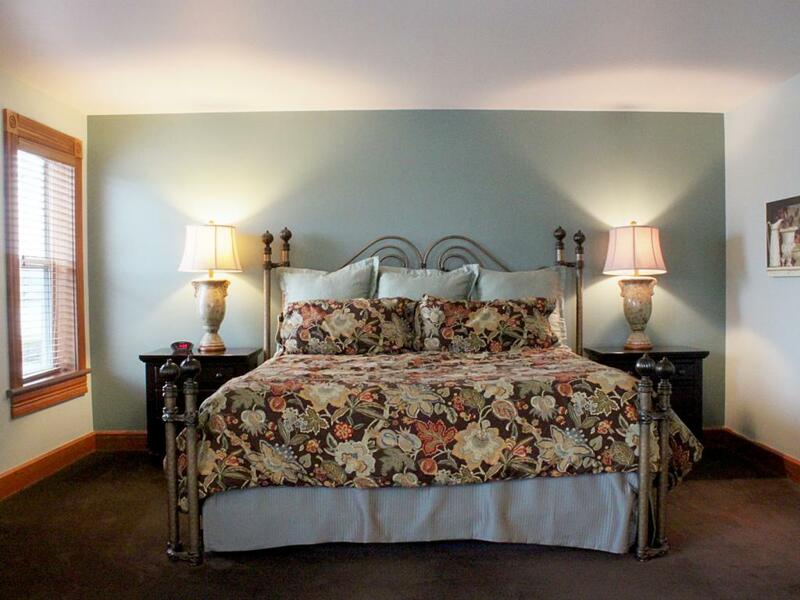 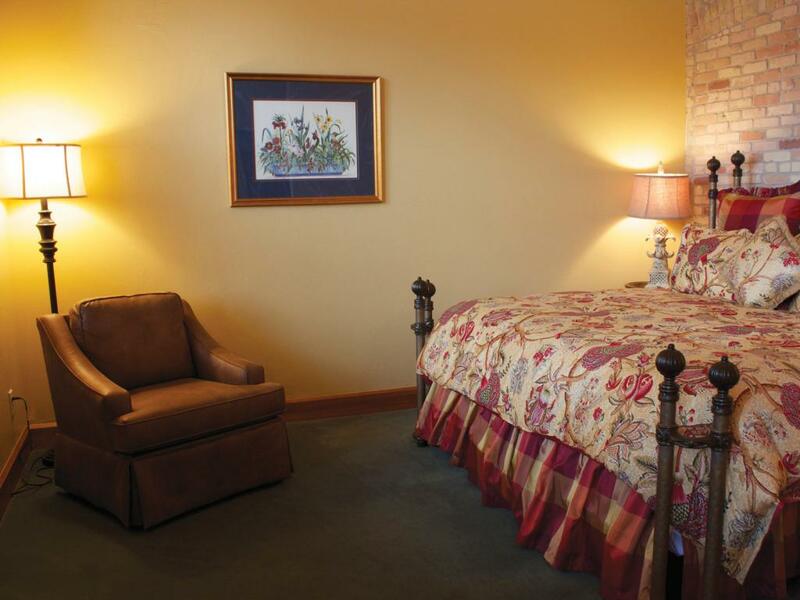 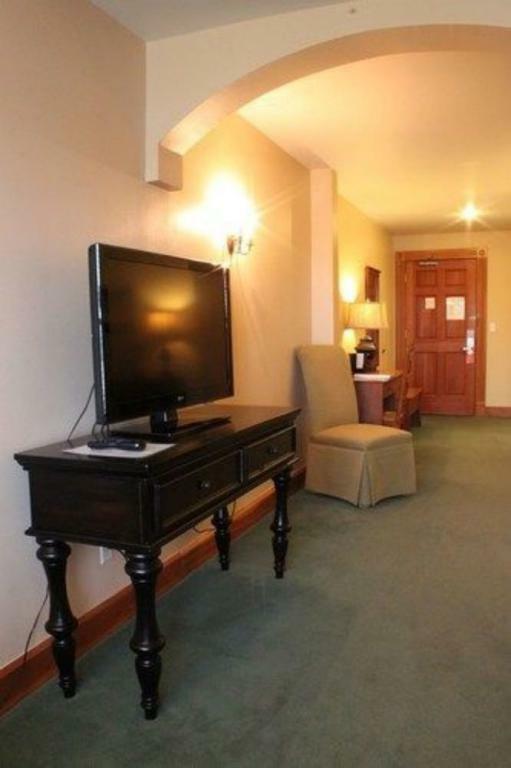 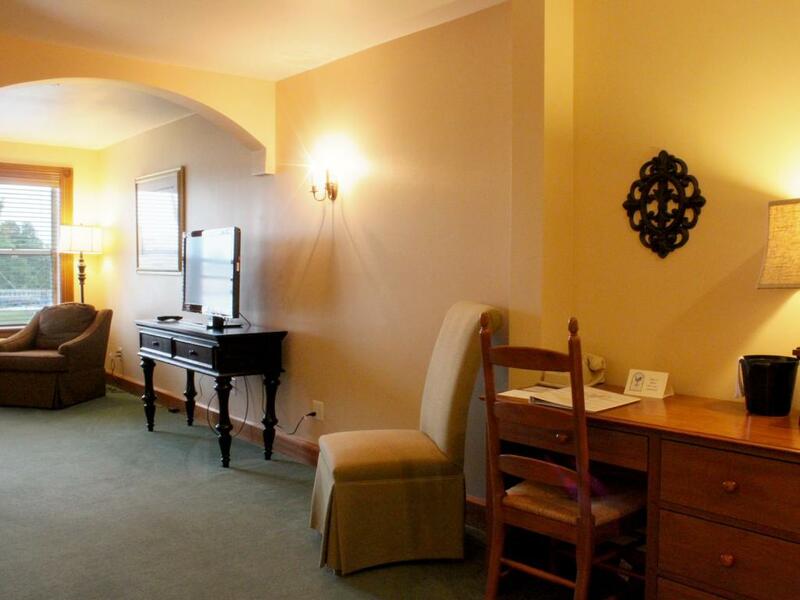 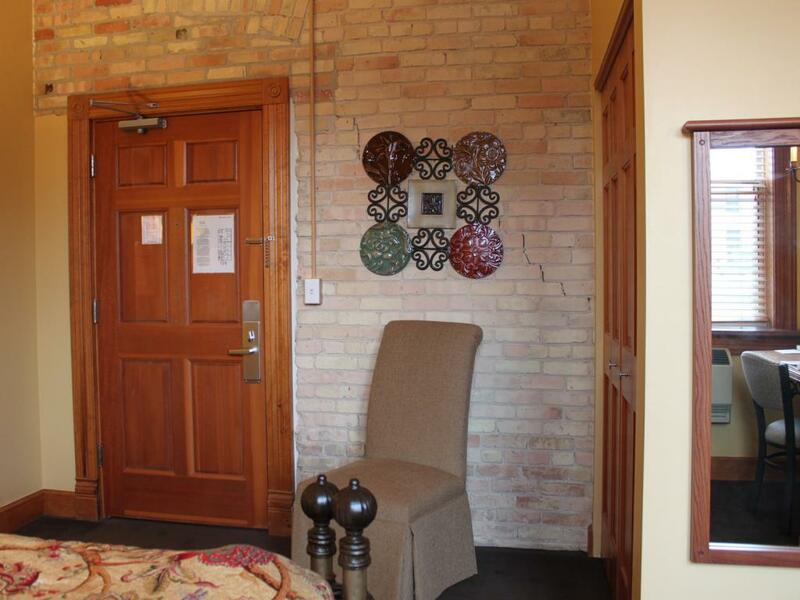 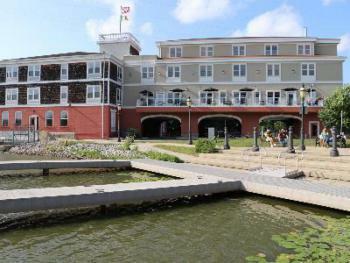 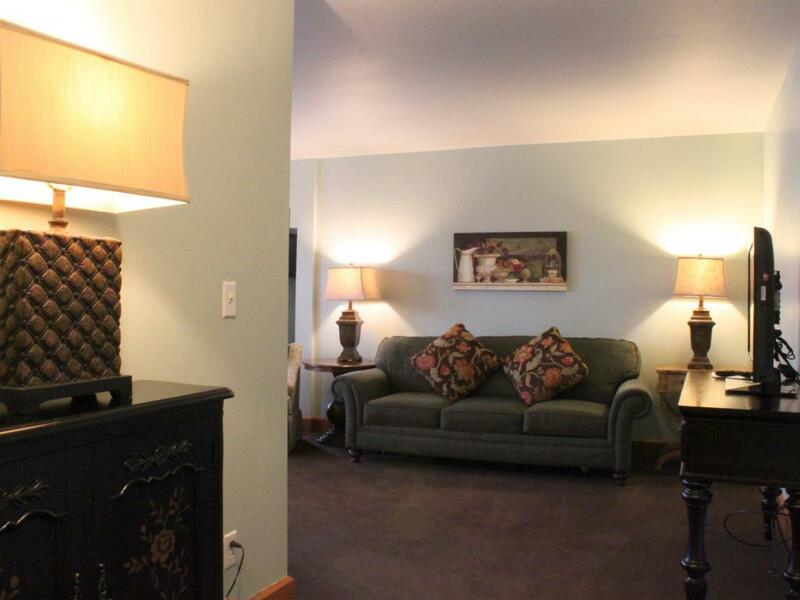 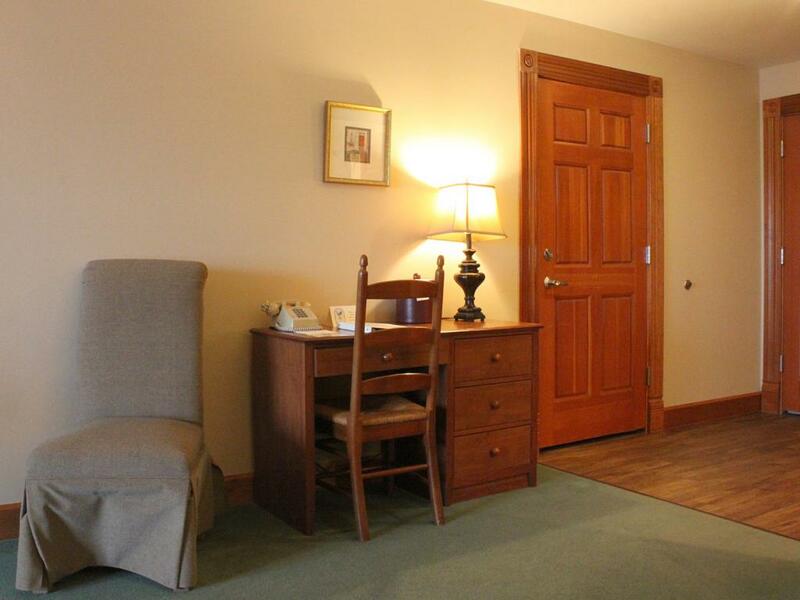 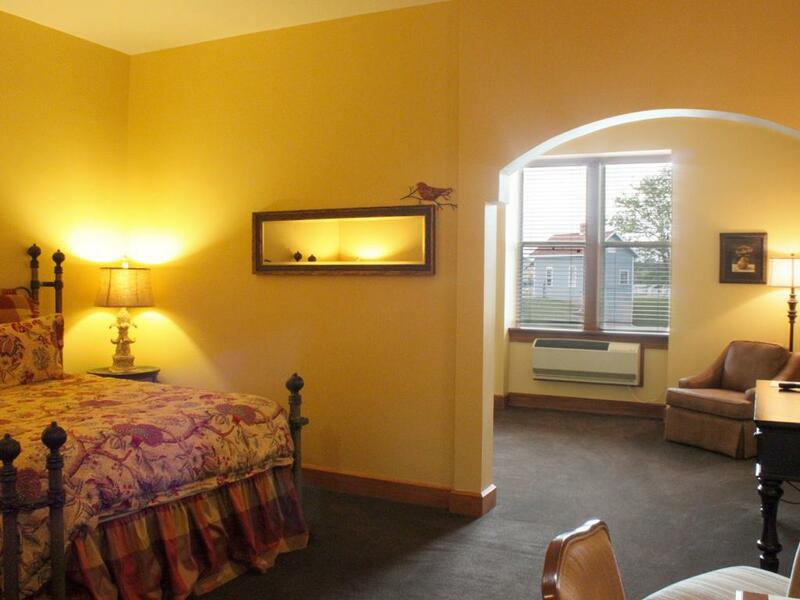 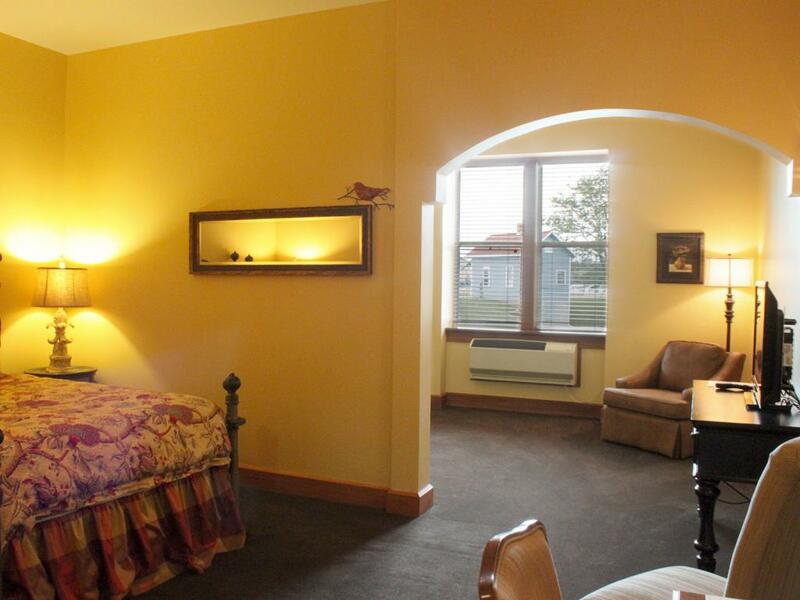 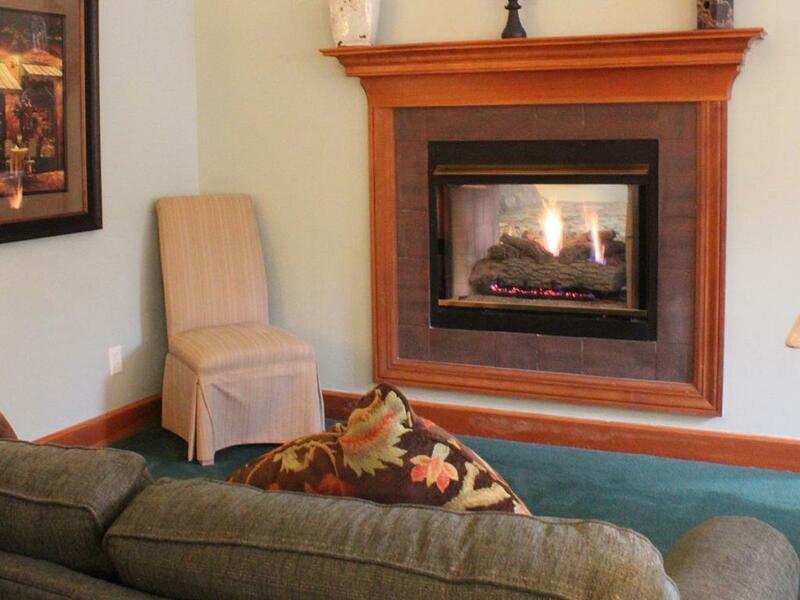 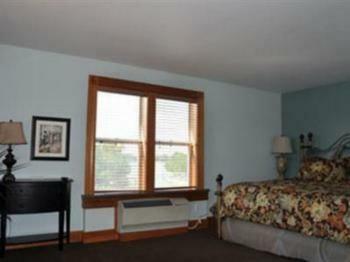 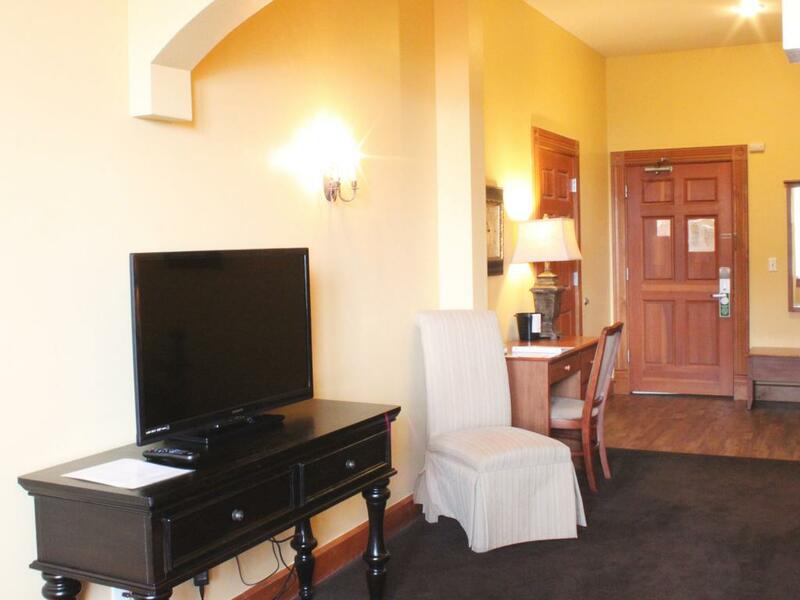 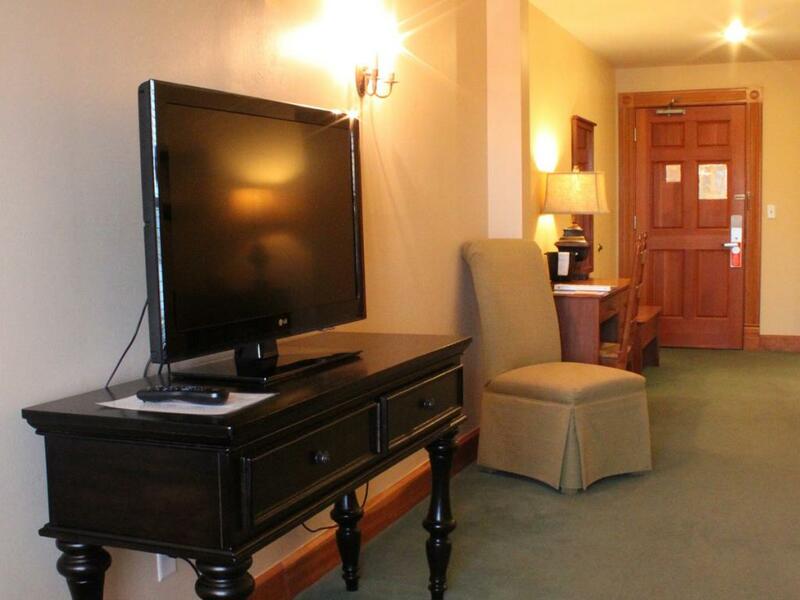 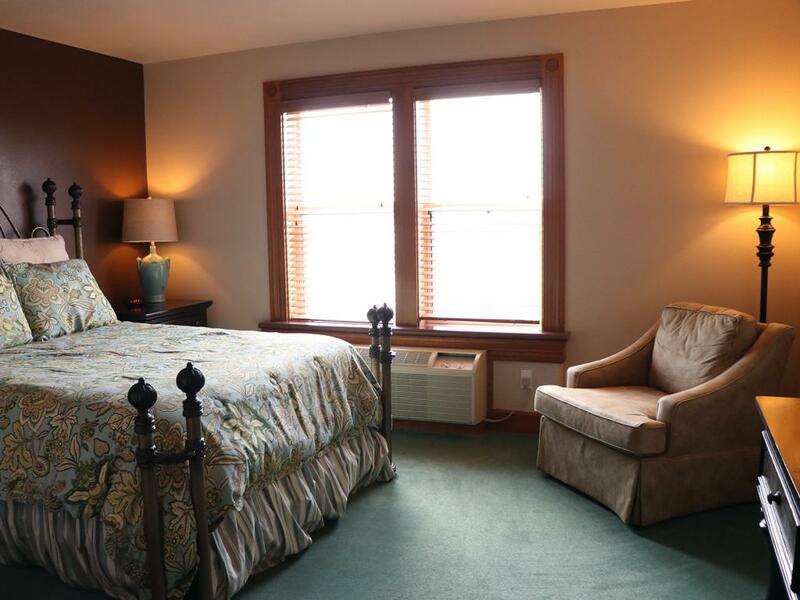 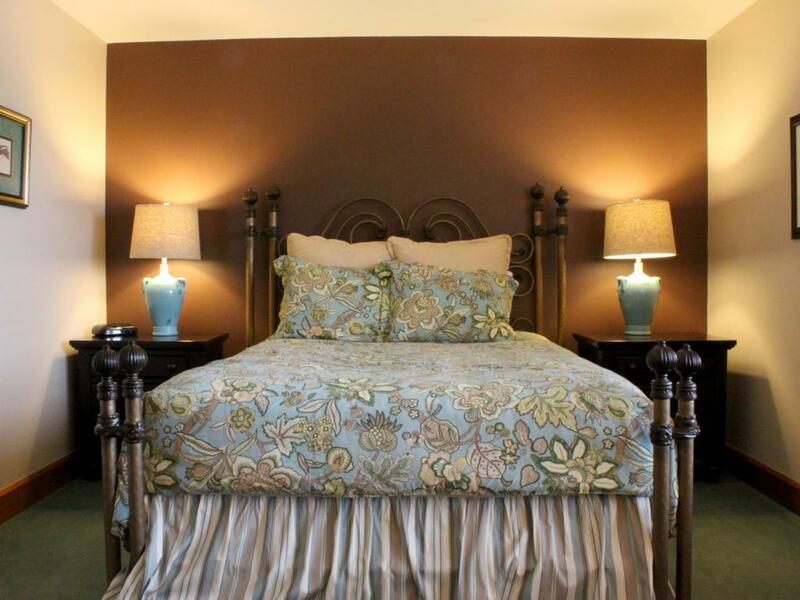 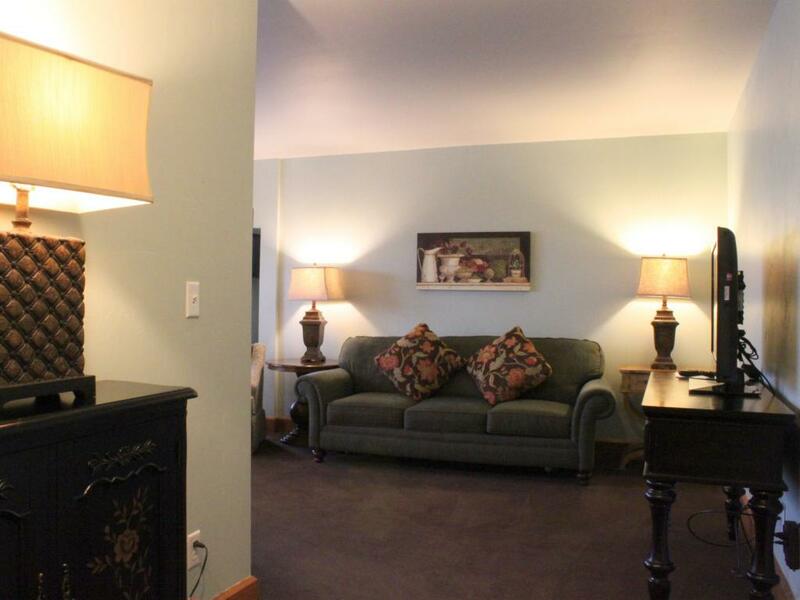 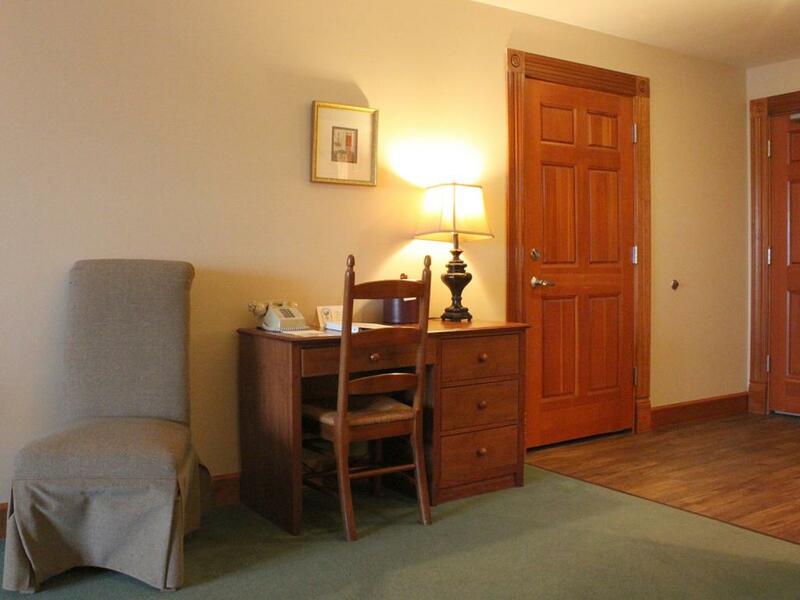 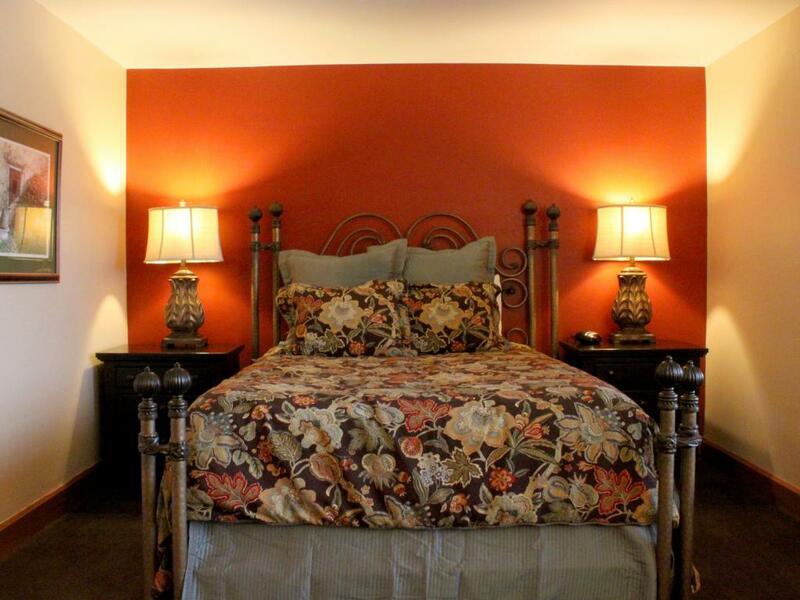 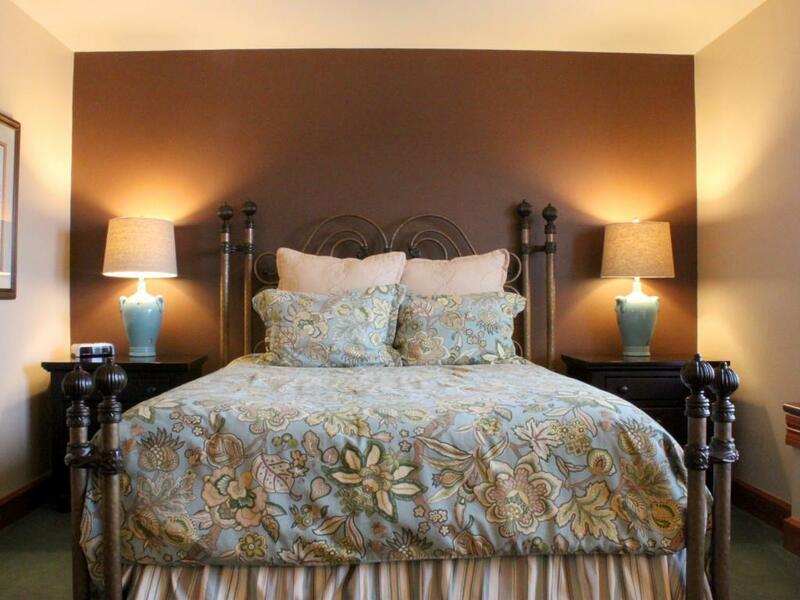 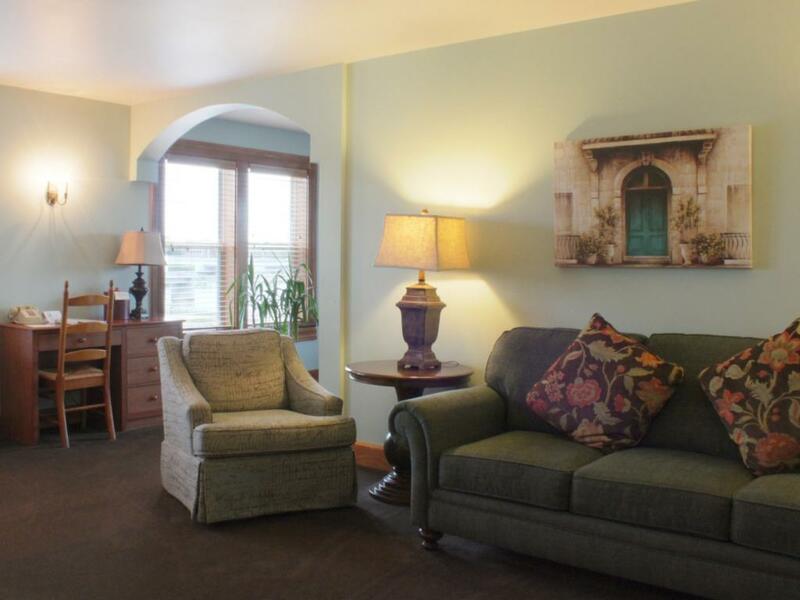 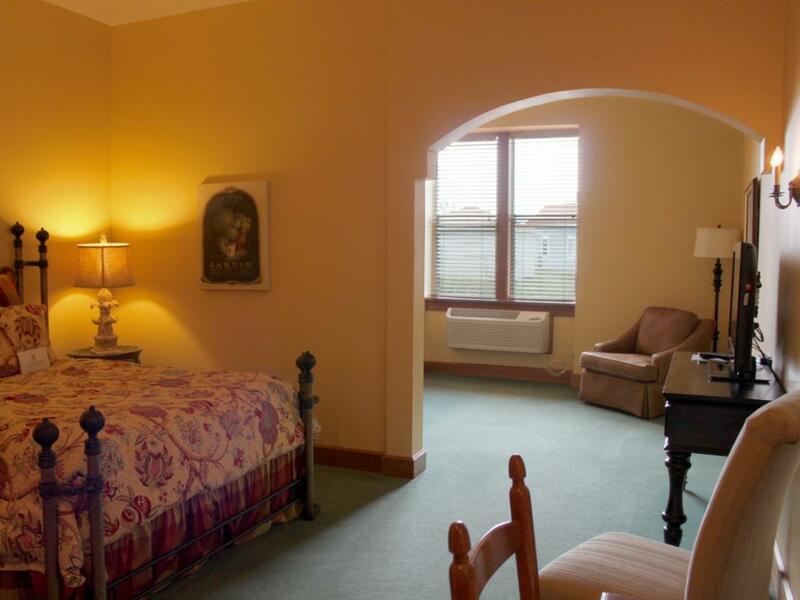 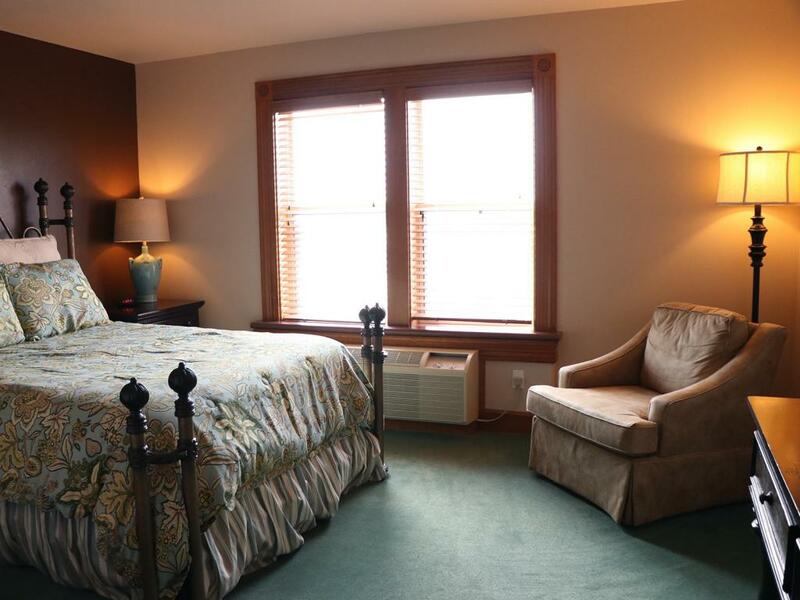 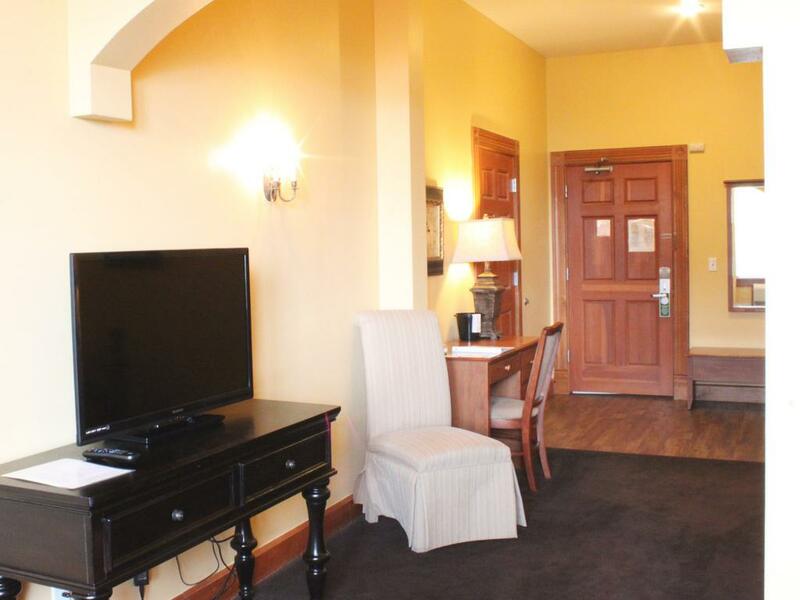 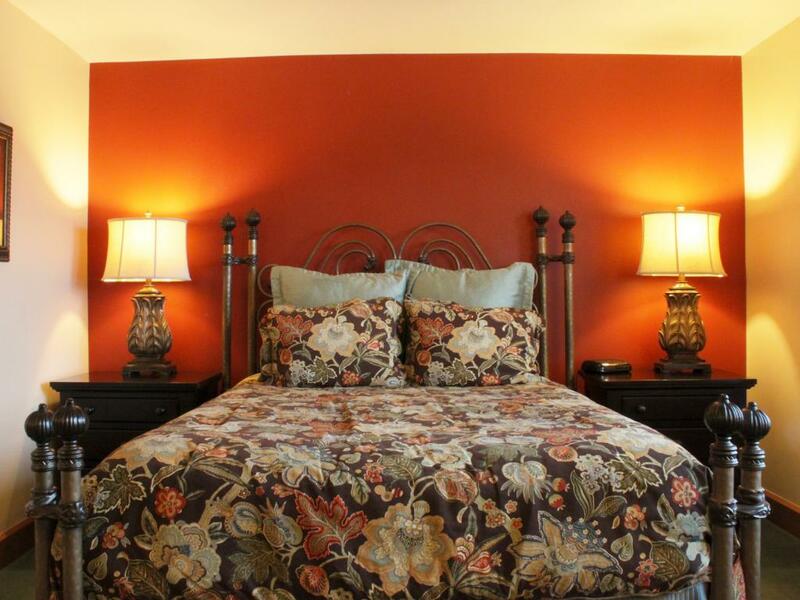 The Ennis Inn is just a short walk from Voyageur Park, the Fox River Trail, and numerous local boutiques. 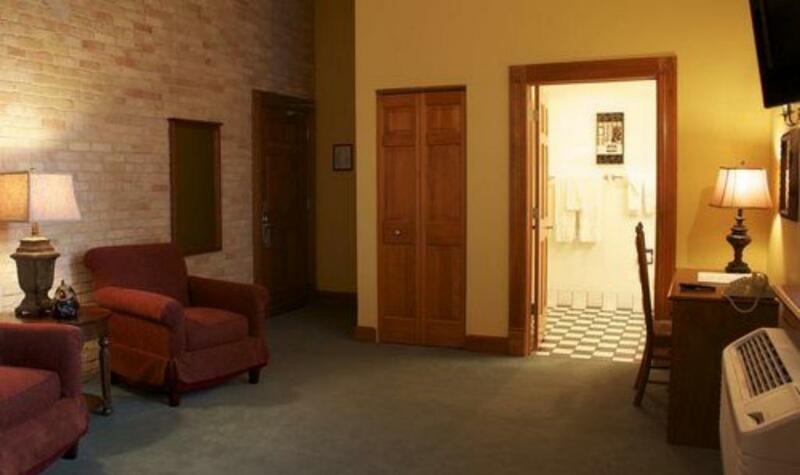 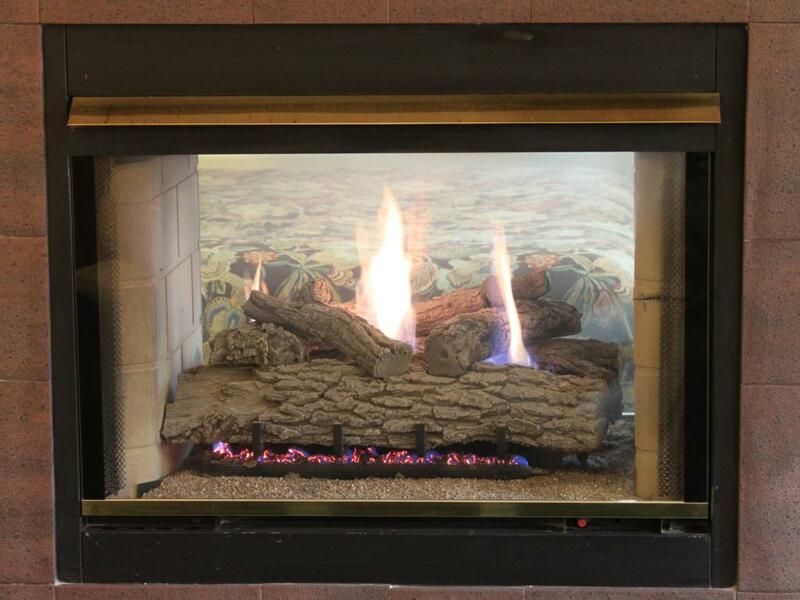 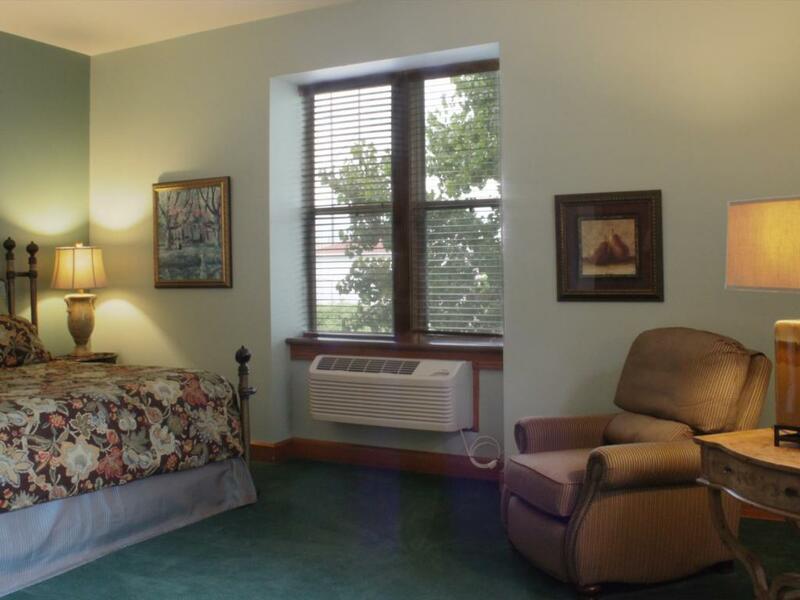 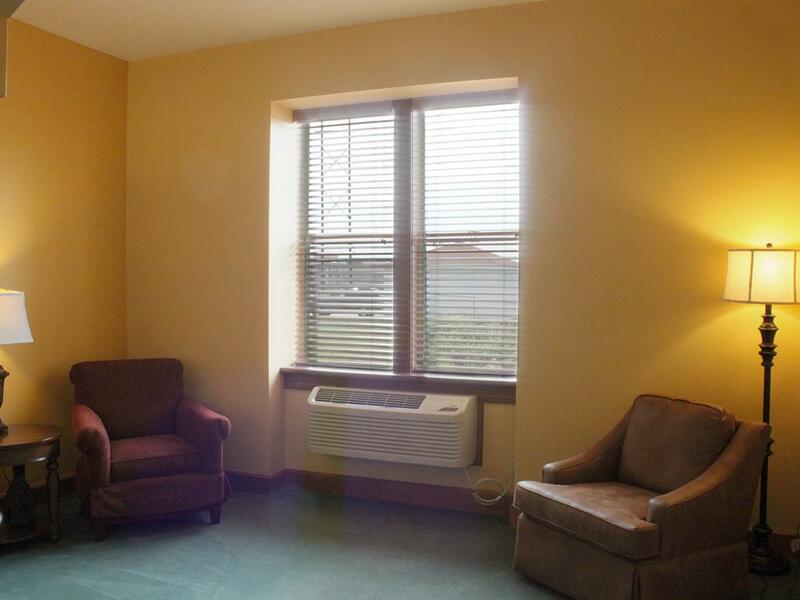 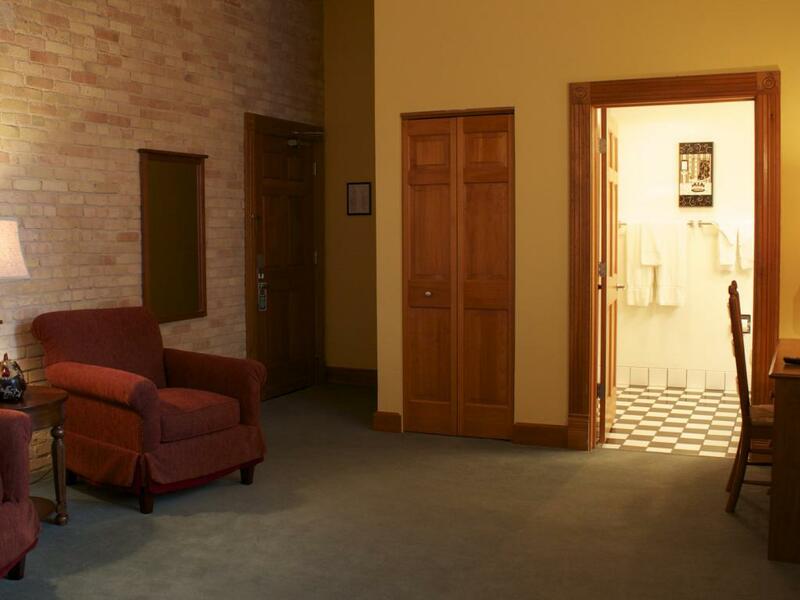 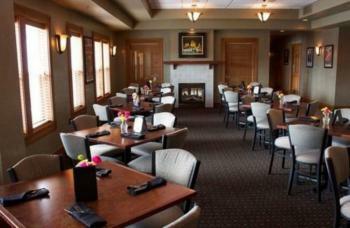 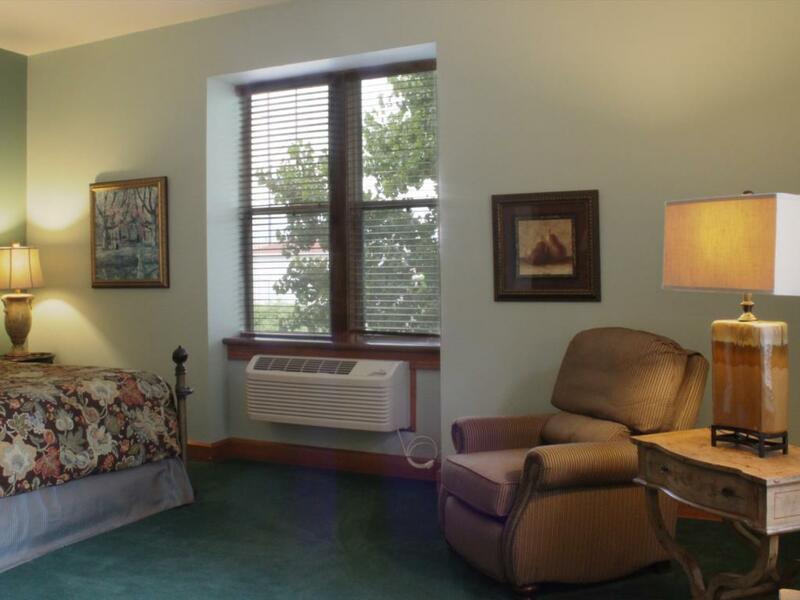 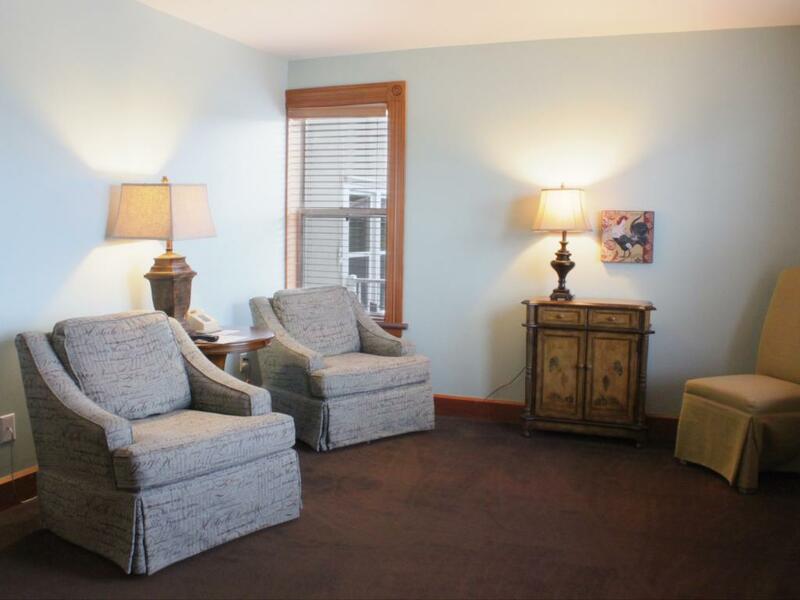 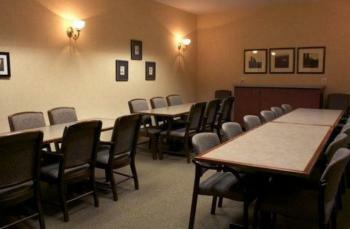 We are also a short drive from St. Norbert's college, Lambeau Field, and the Green Bay Parker Hall of Fame. 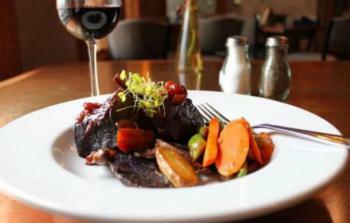 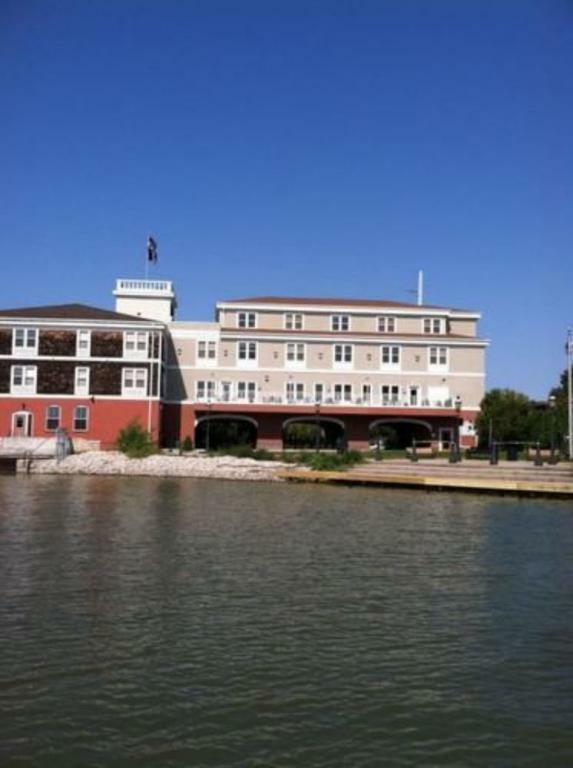 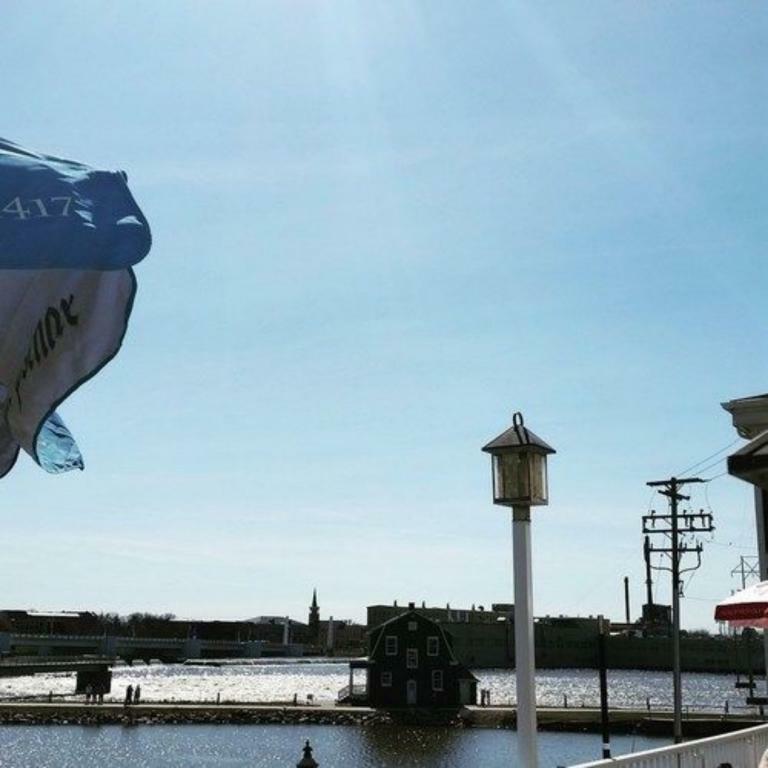 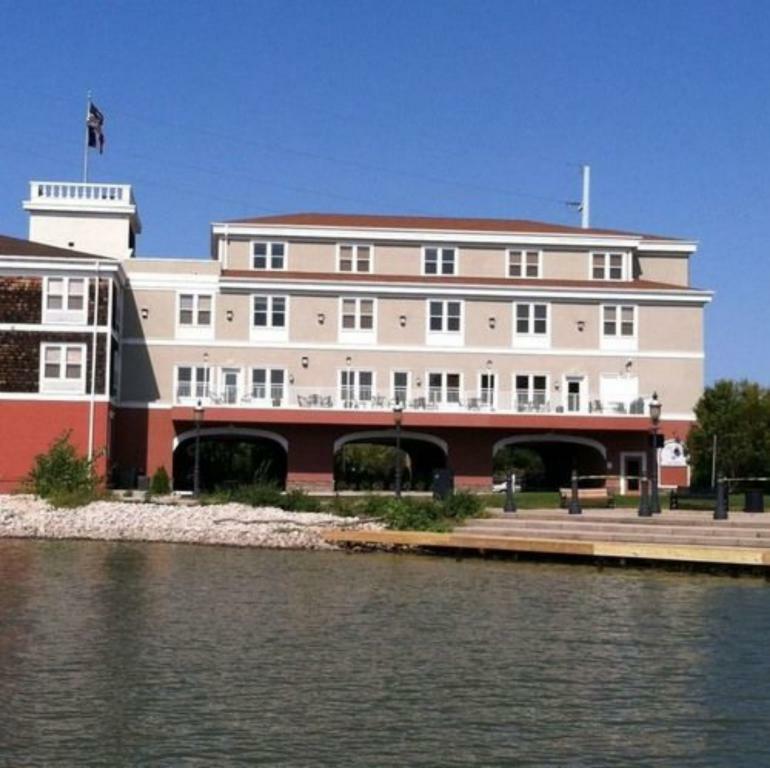 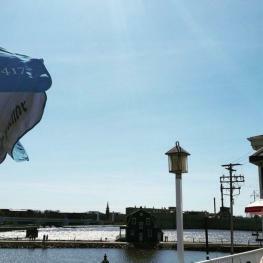 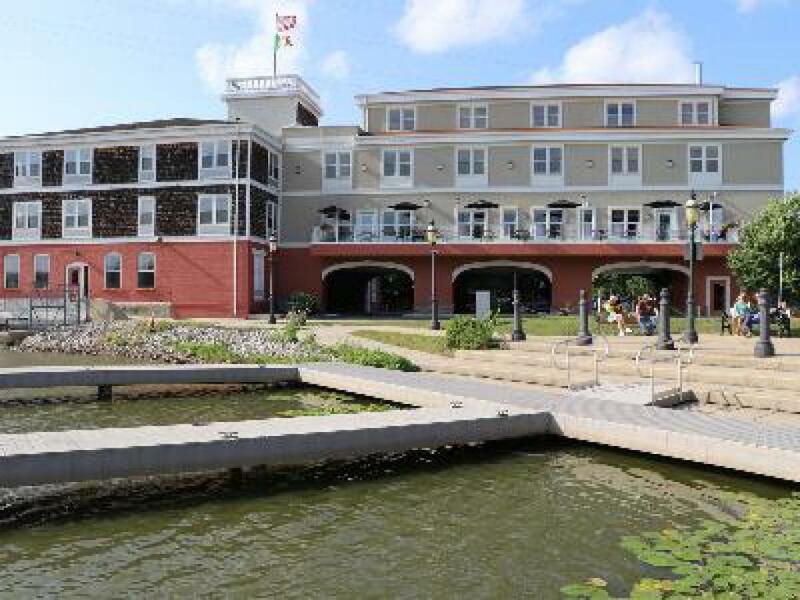 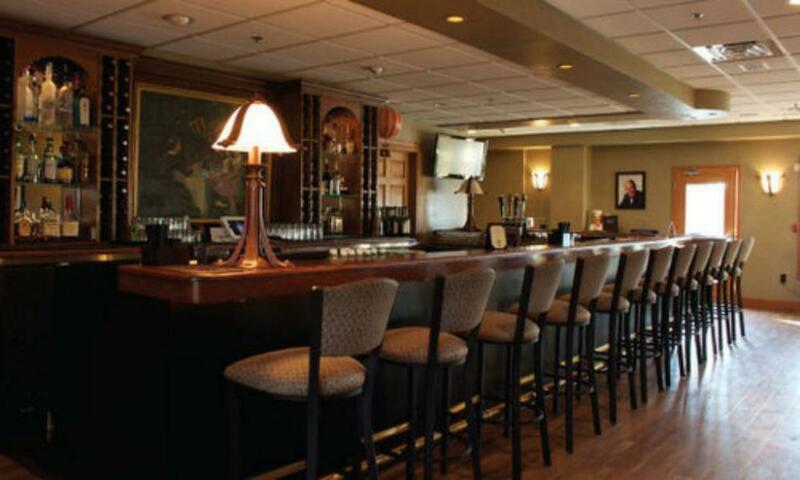 Our on-site Irish pub serves traditional dishes and in warmer weather guests can enjoy dinner on the patio-balcony while taking in the surrounding beauty of the Fox River and the charming town of De Pere.